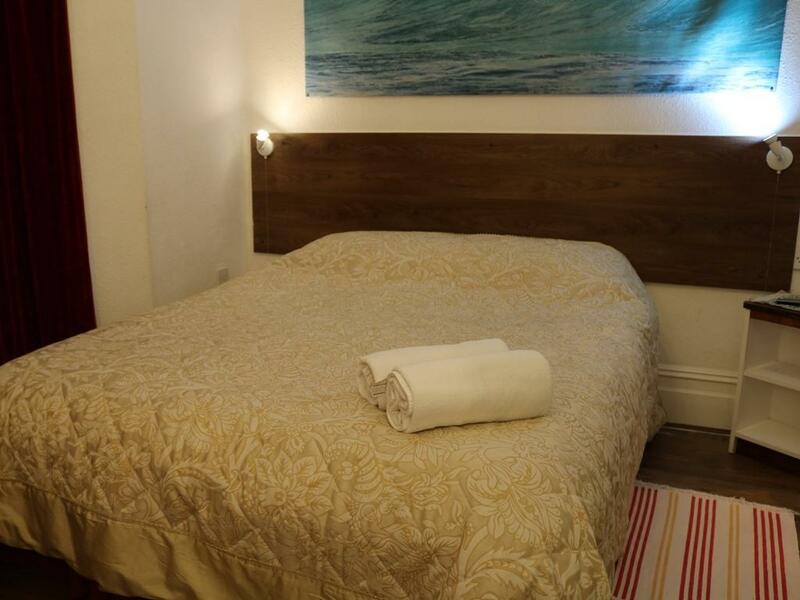 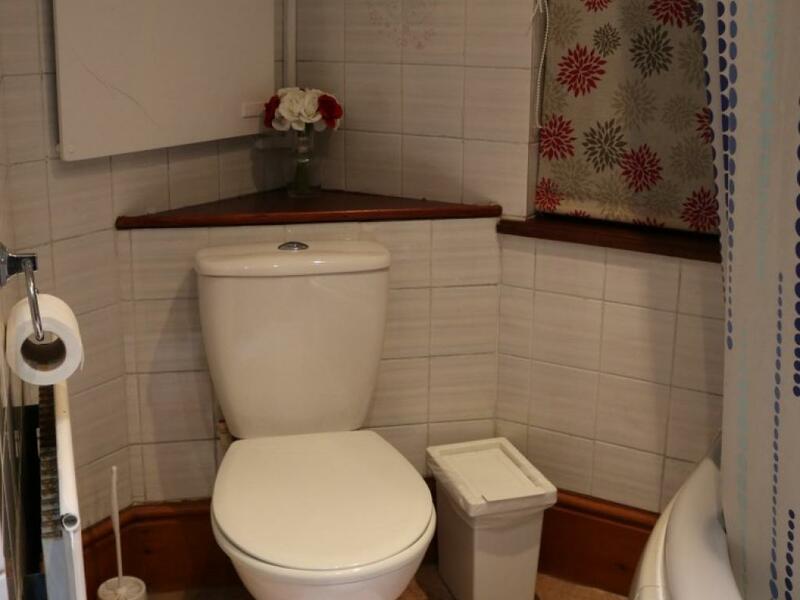 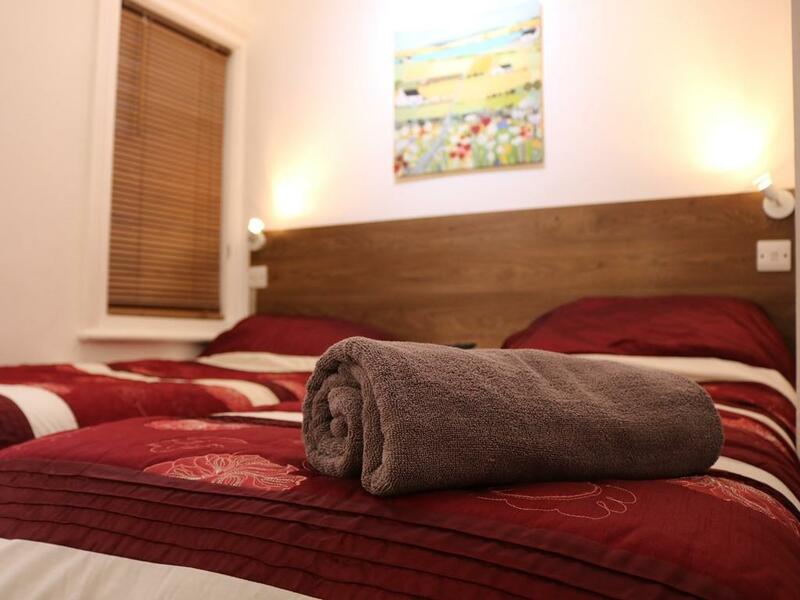 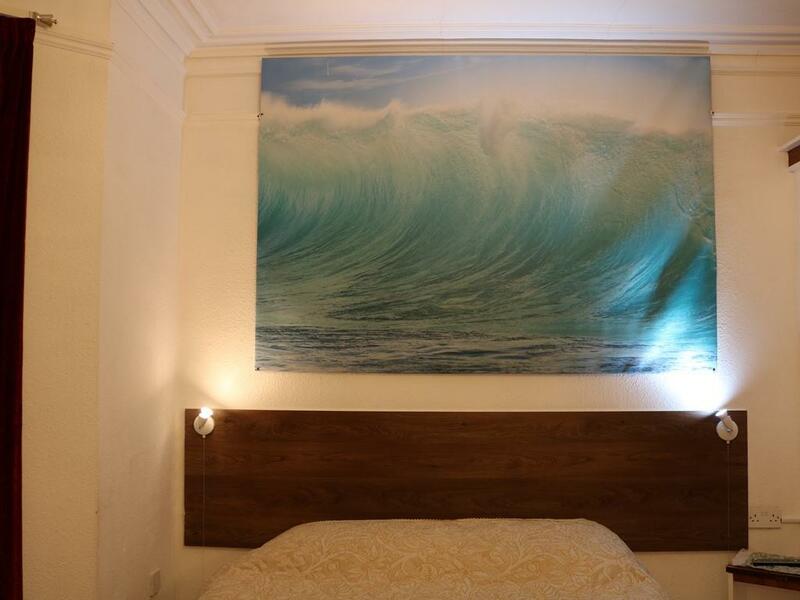 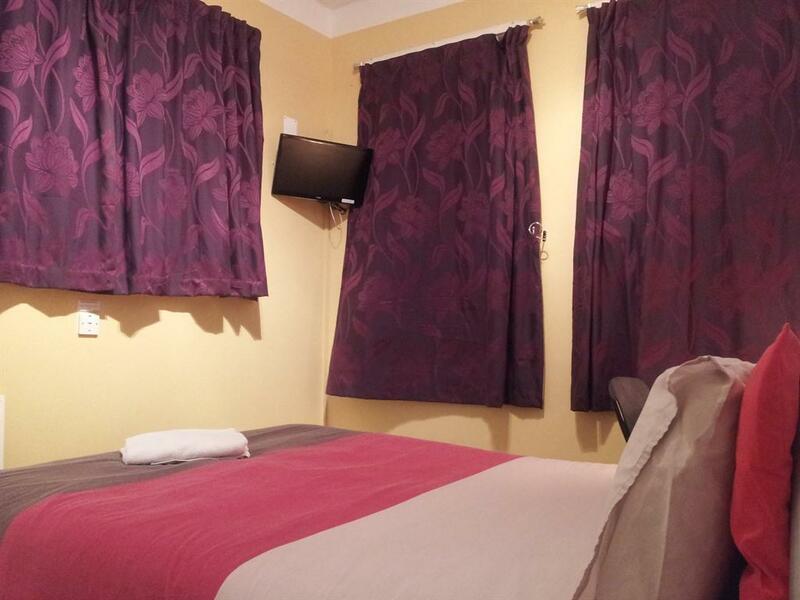 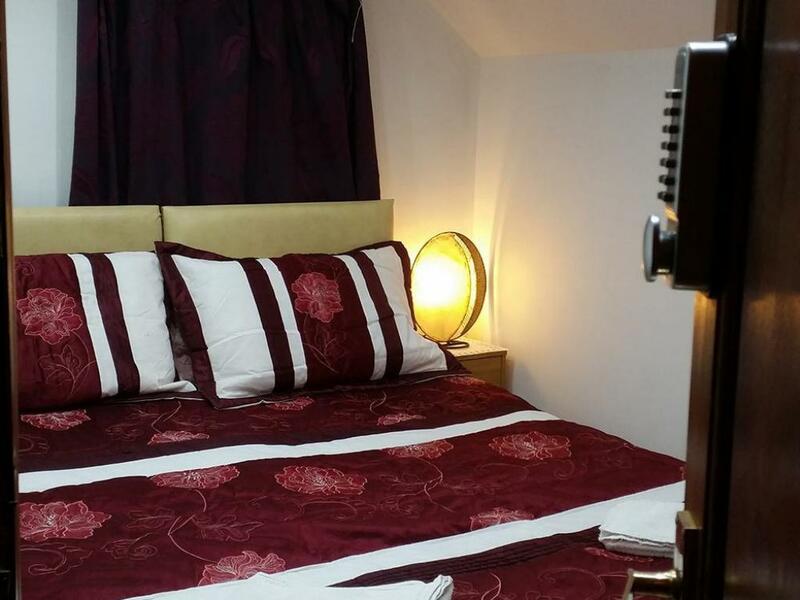 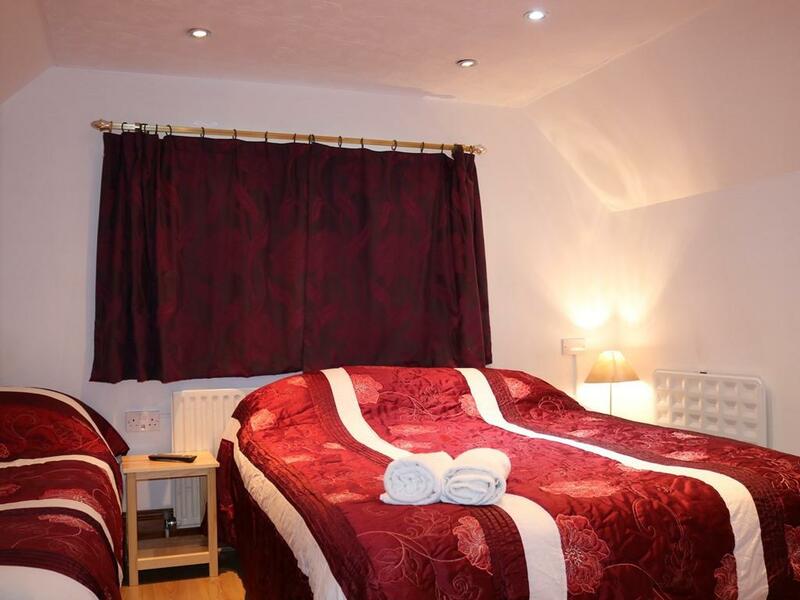 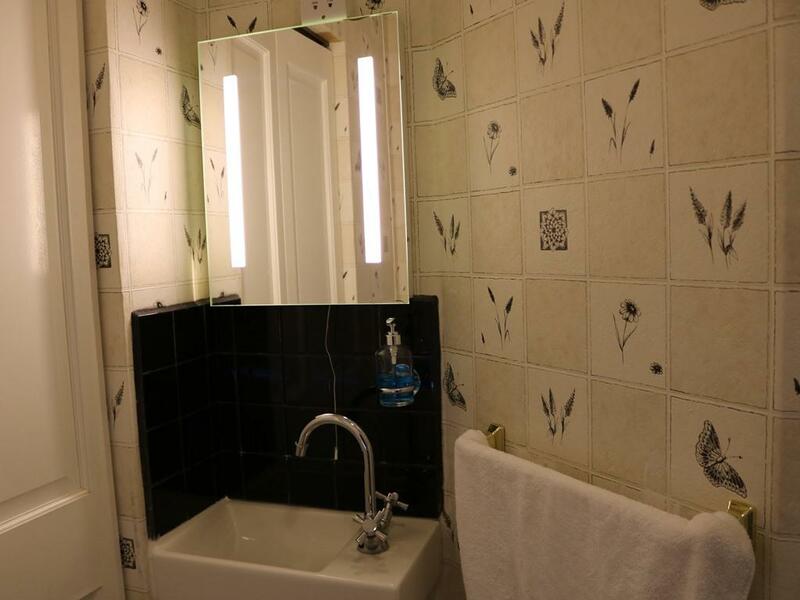 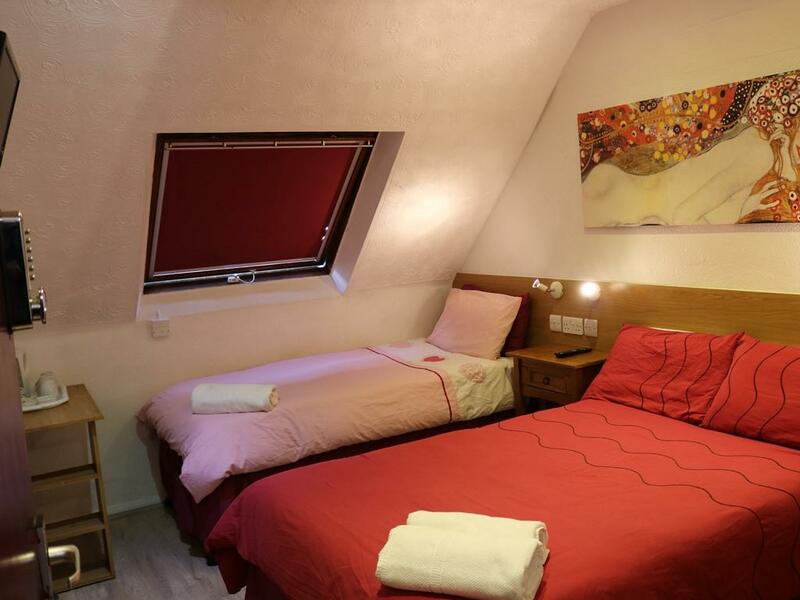 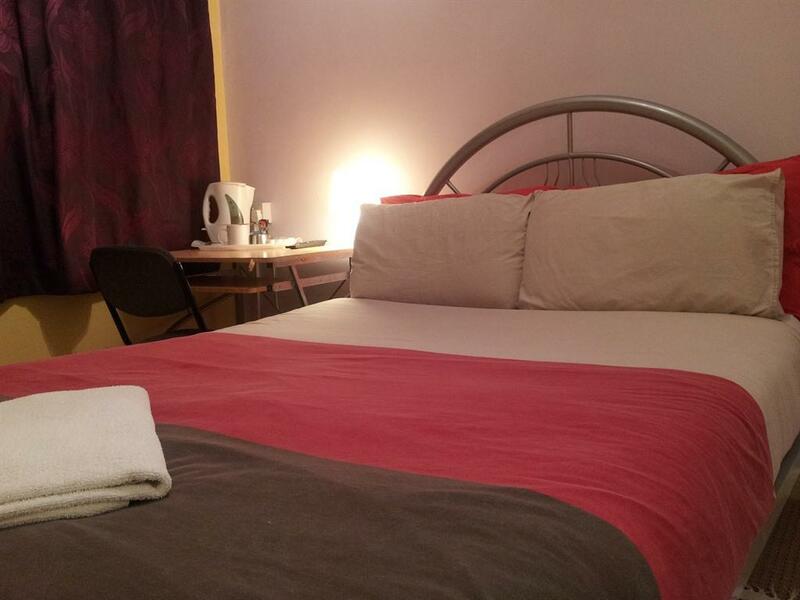 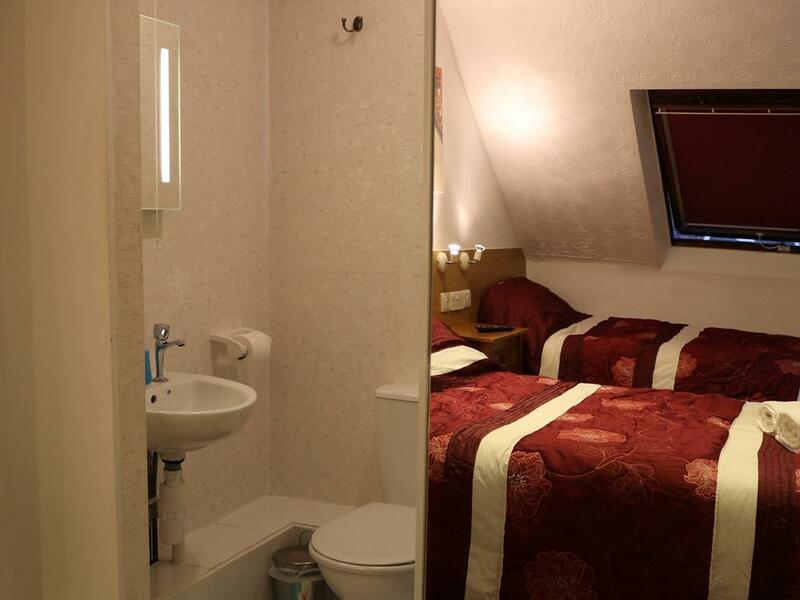 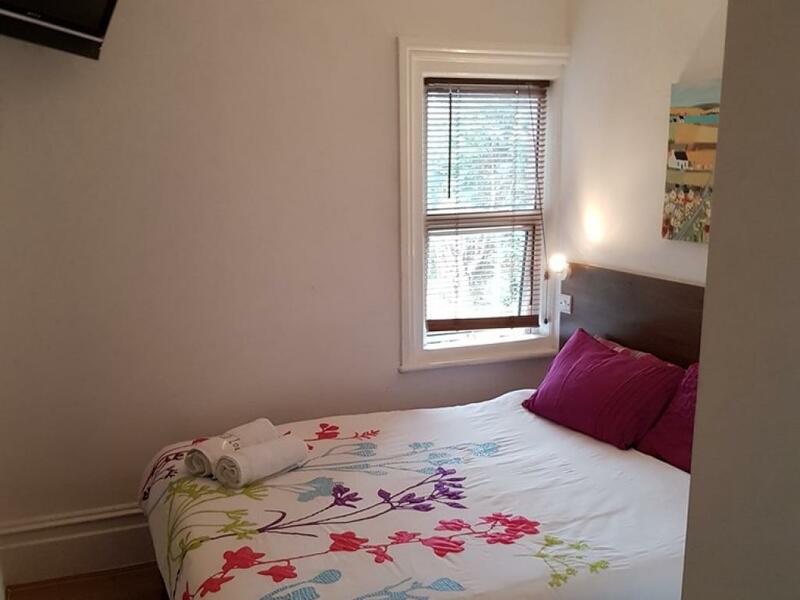 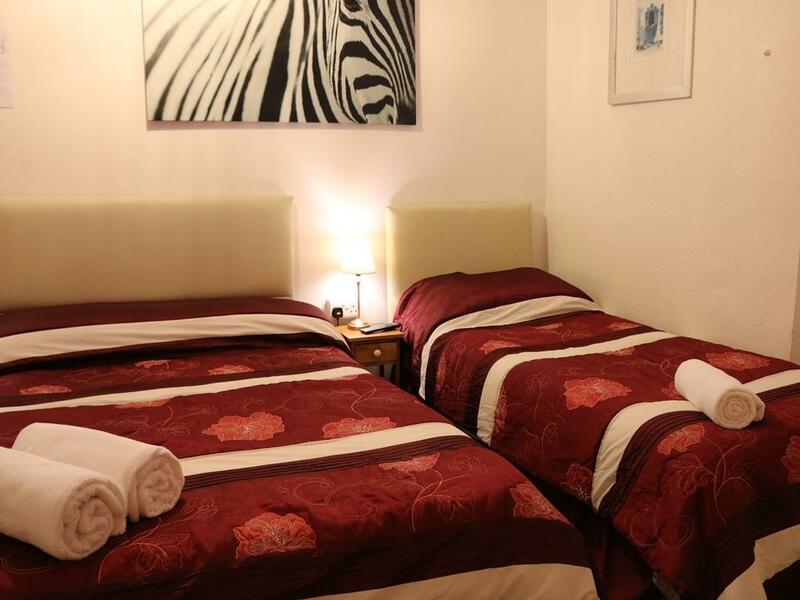 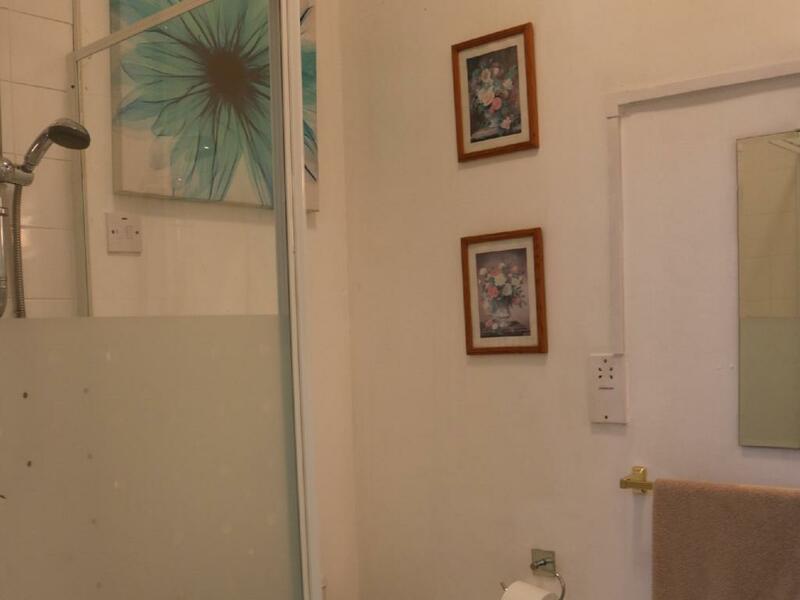 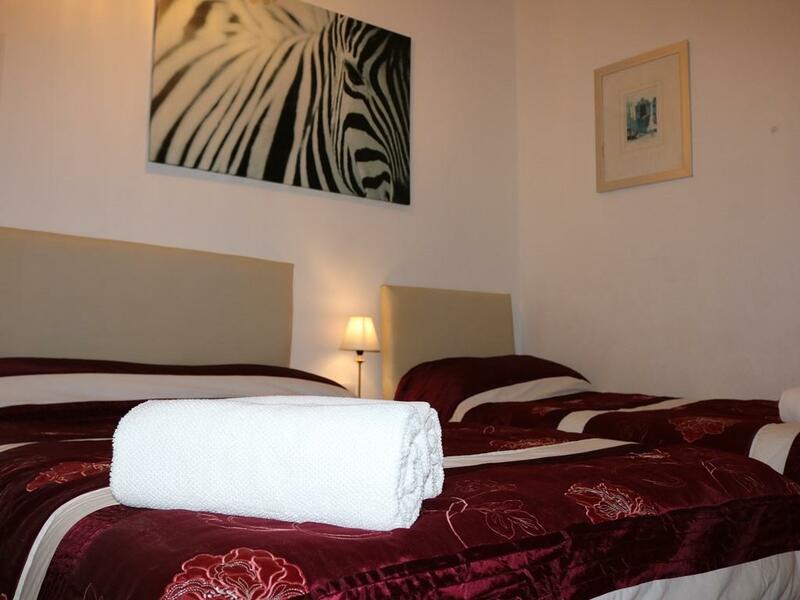 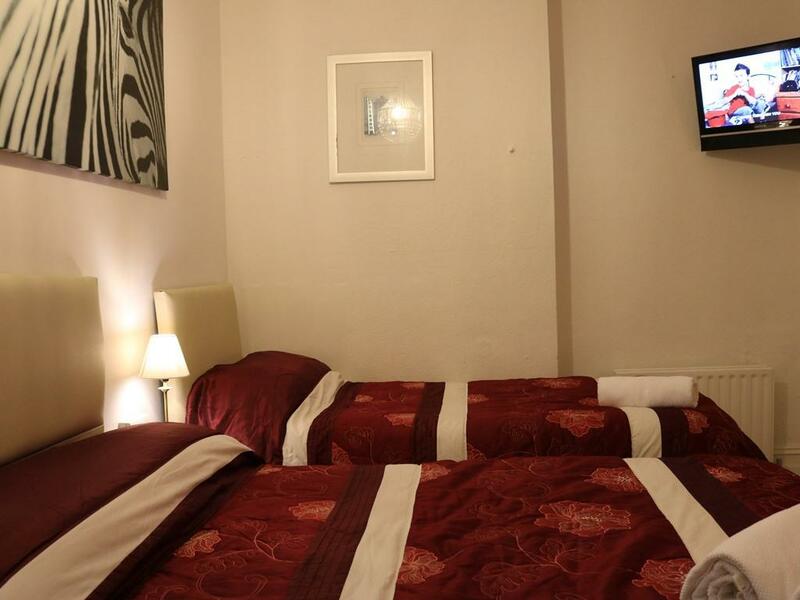 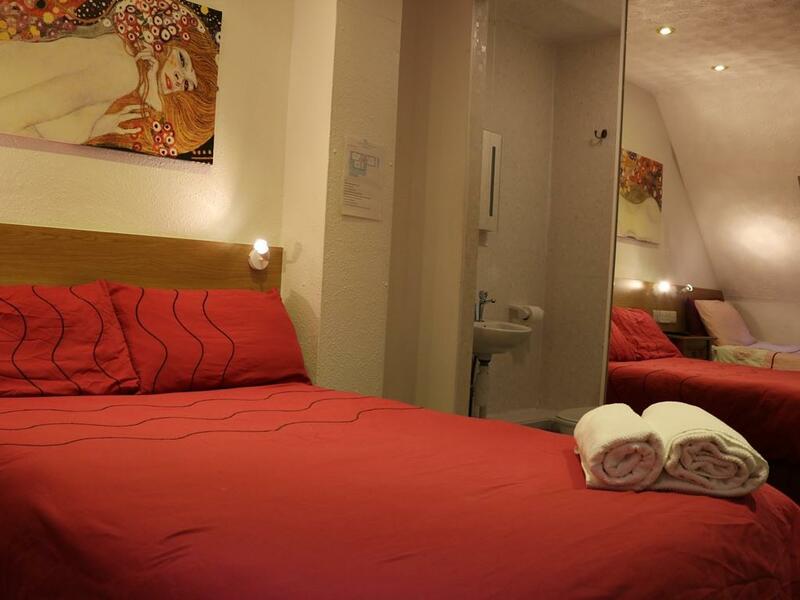 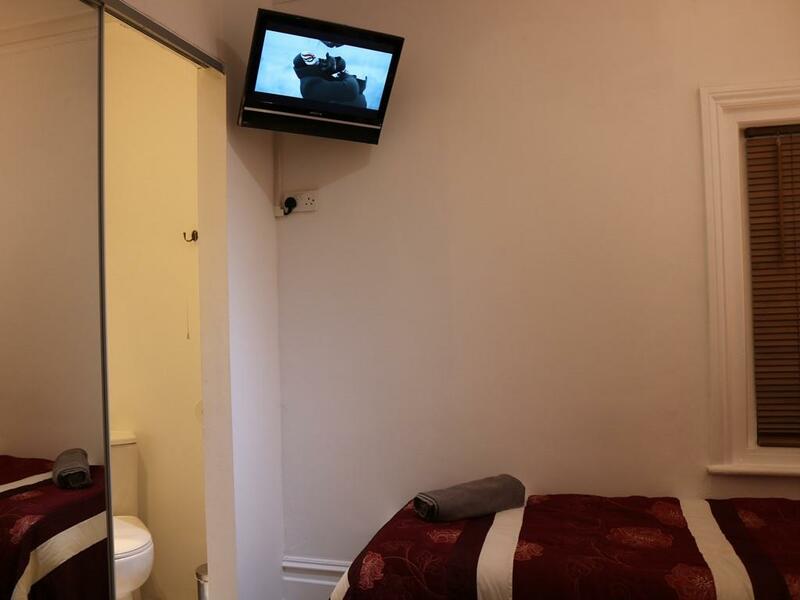 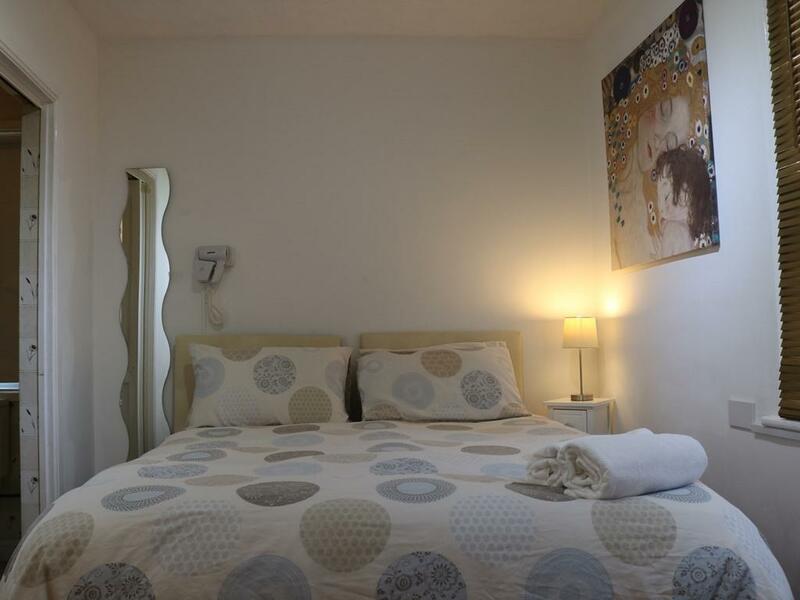 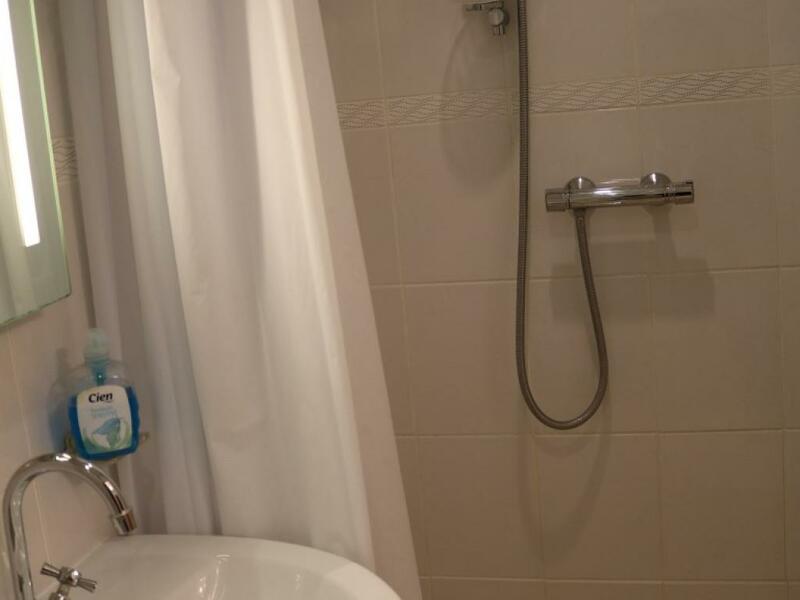 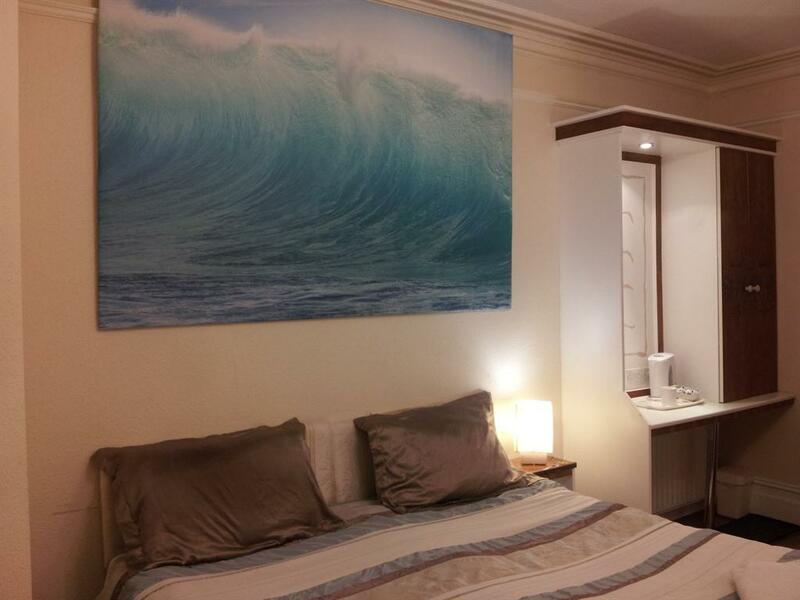 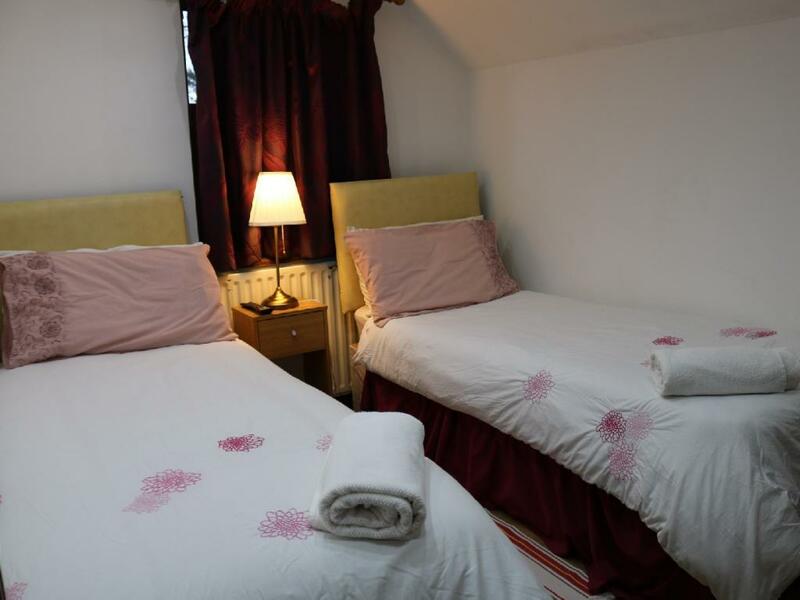 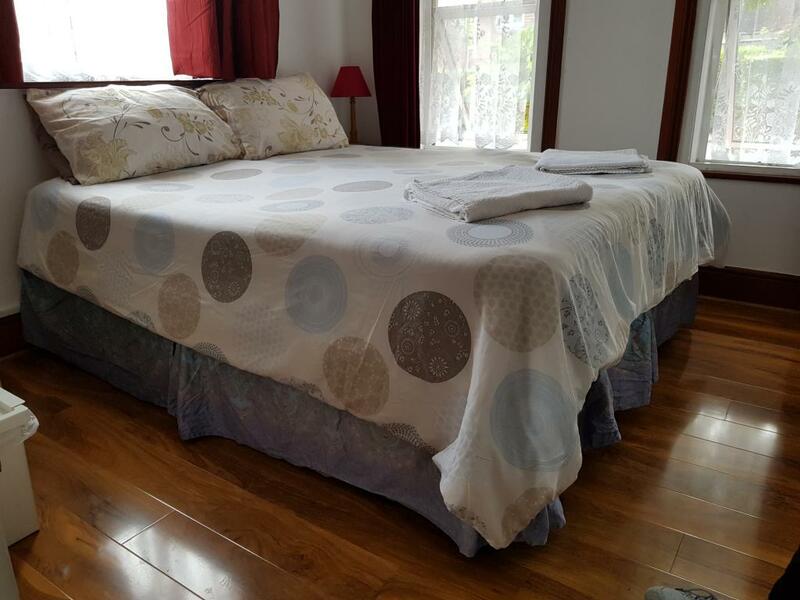 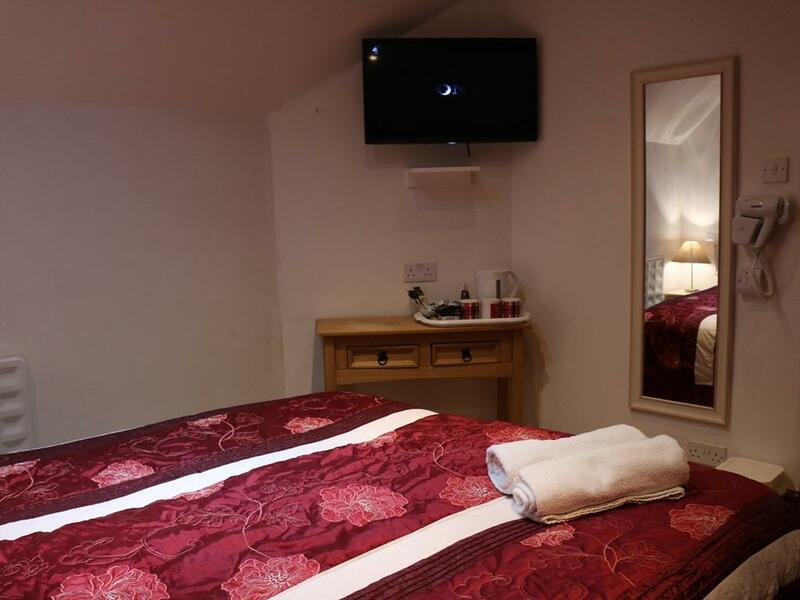 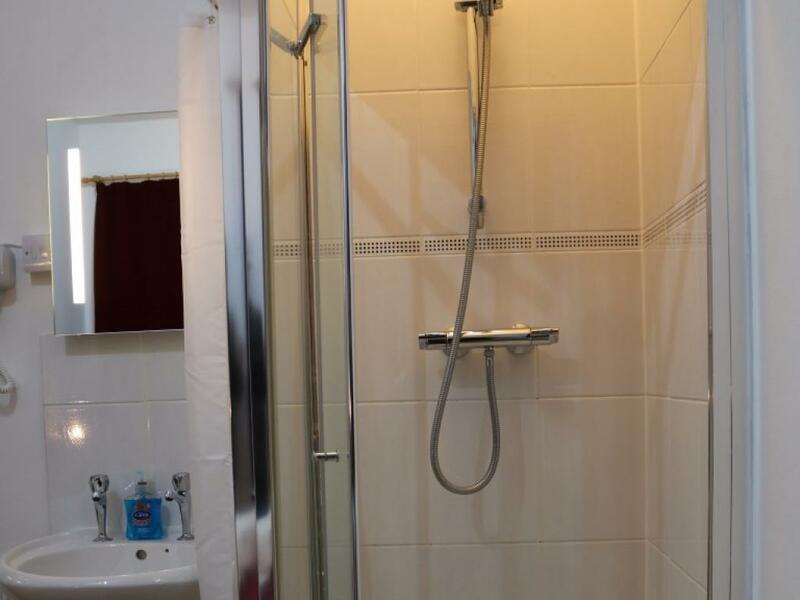 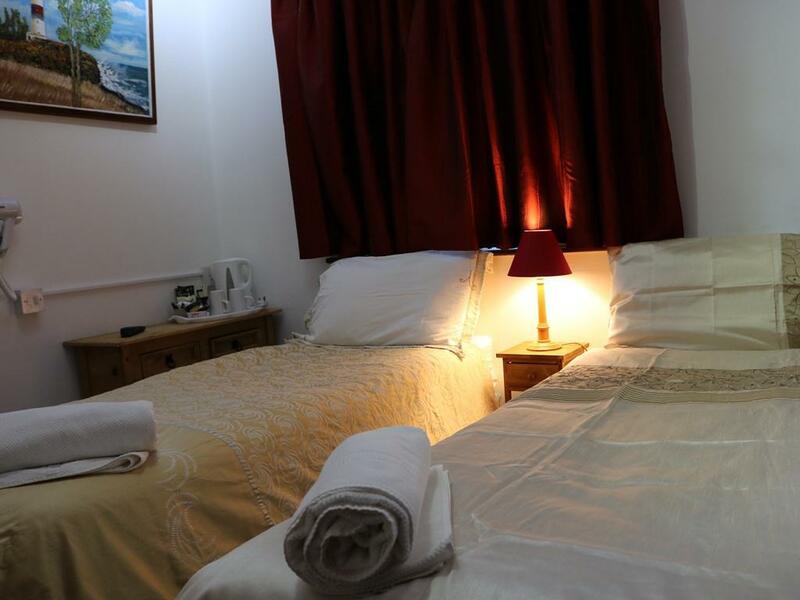 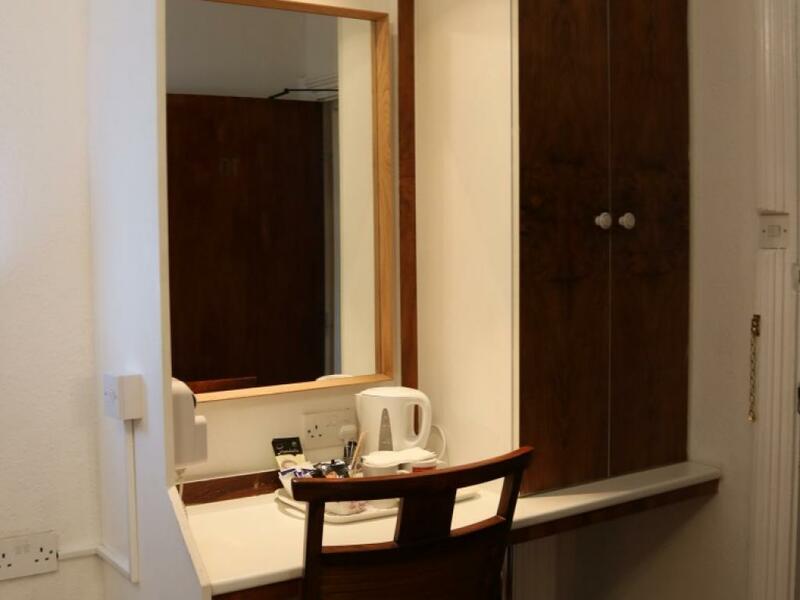 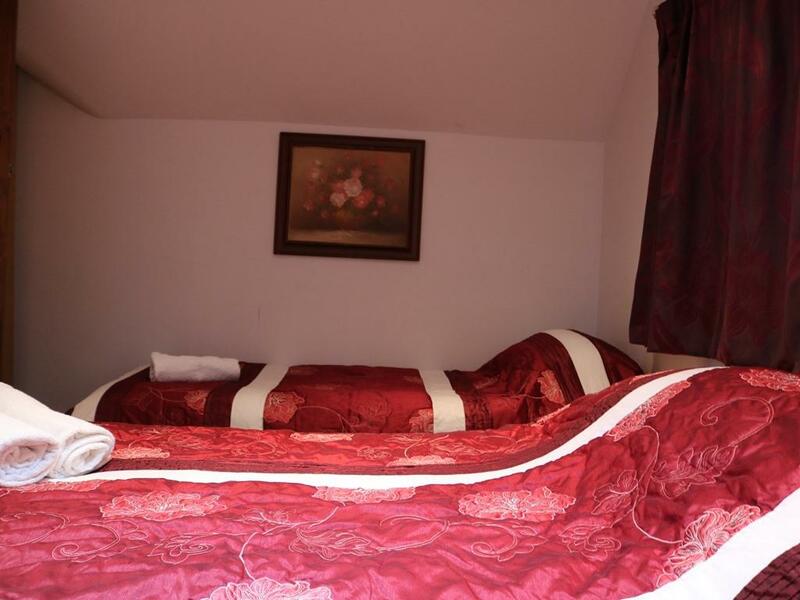 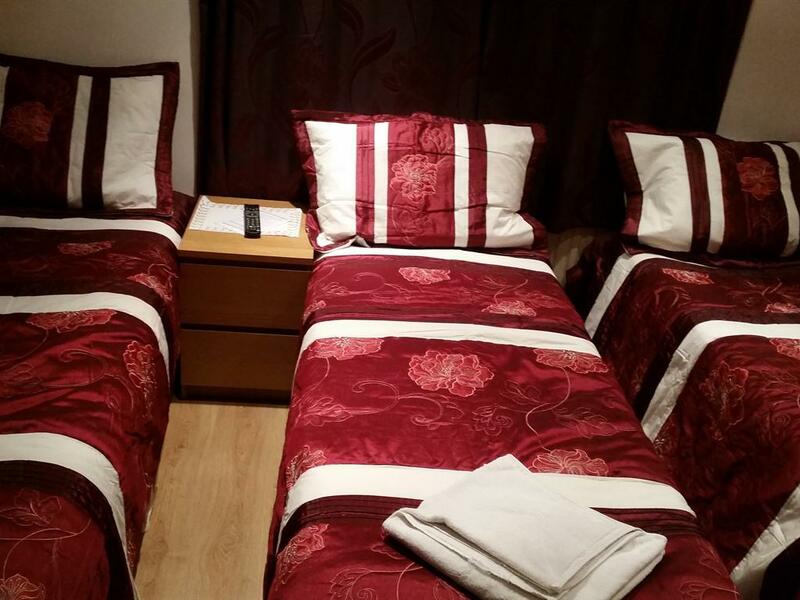 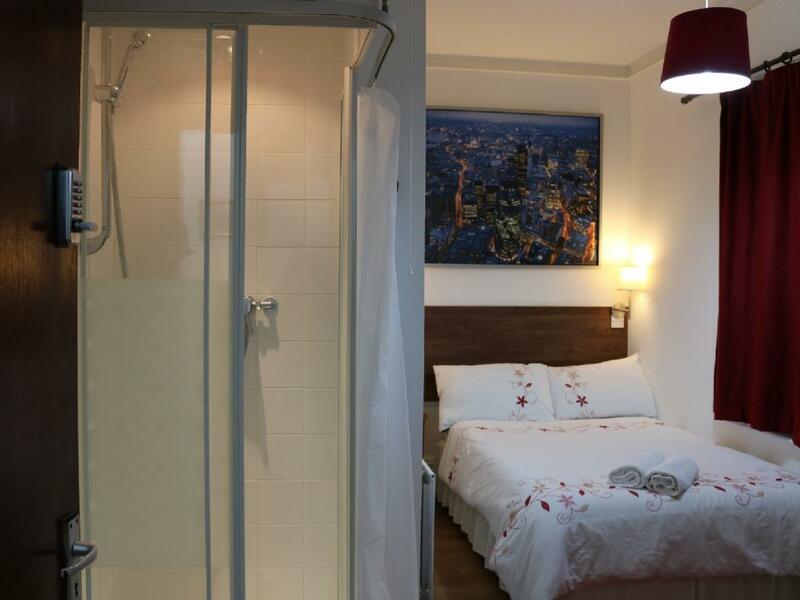 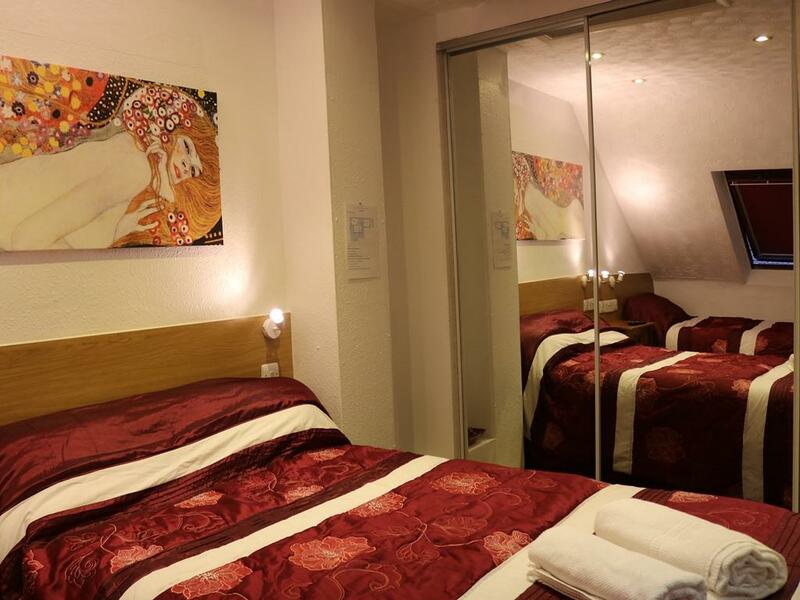 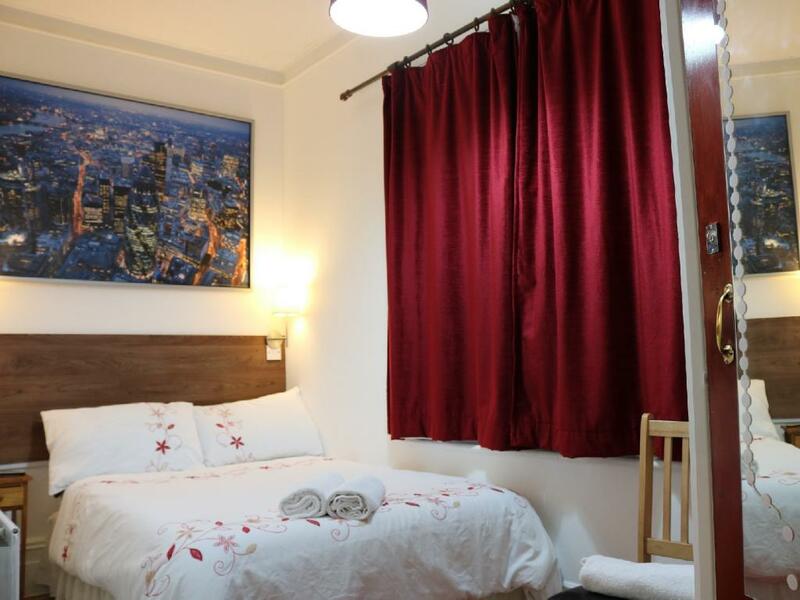 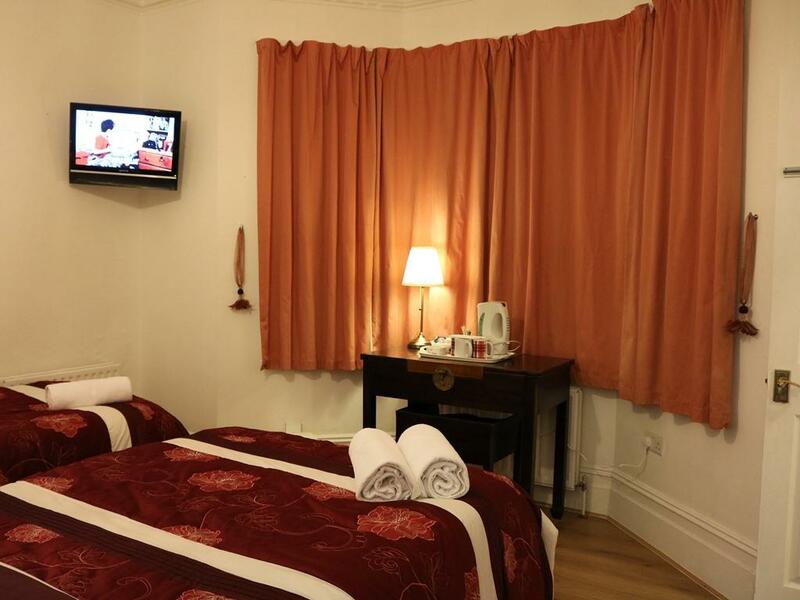 A comfortable double room with an ensuite shower in the room. 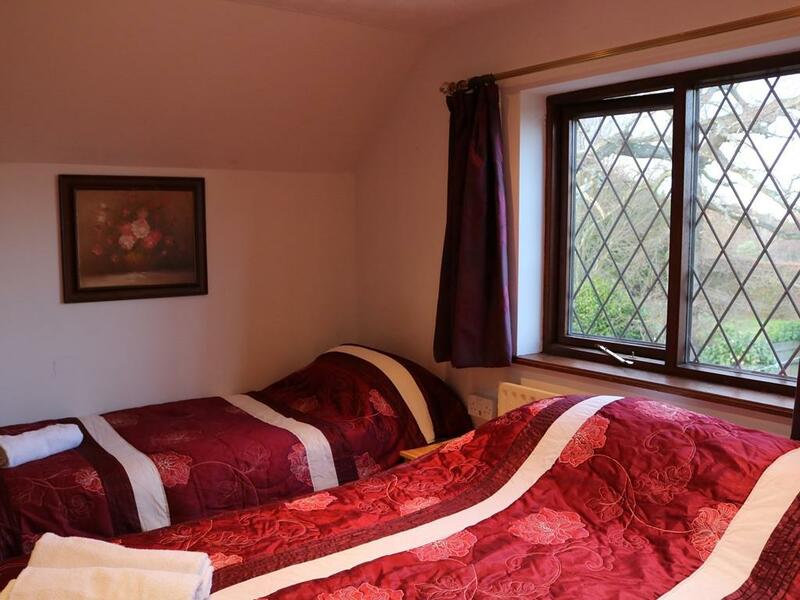 Hill view with horses on hill can be seen, from the window of the room. 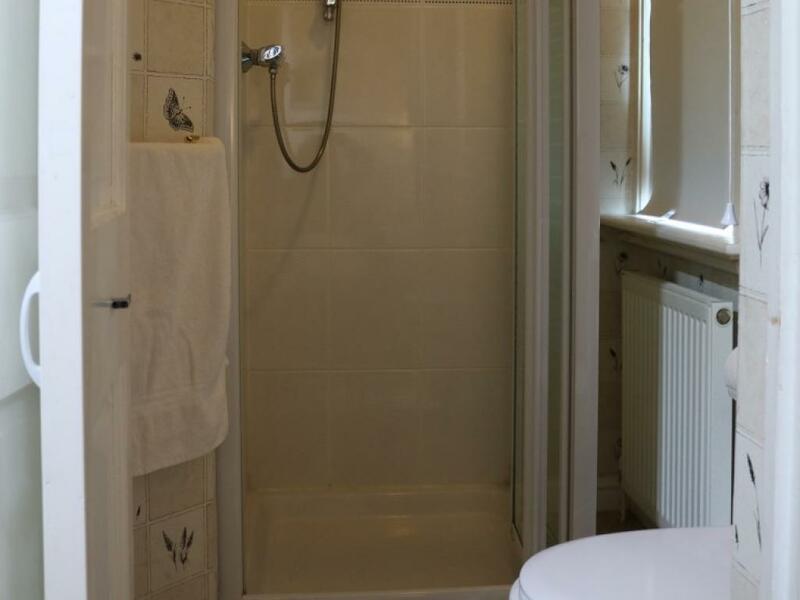 This room has got a shower and a sink inside the room. 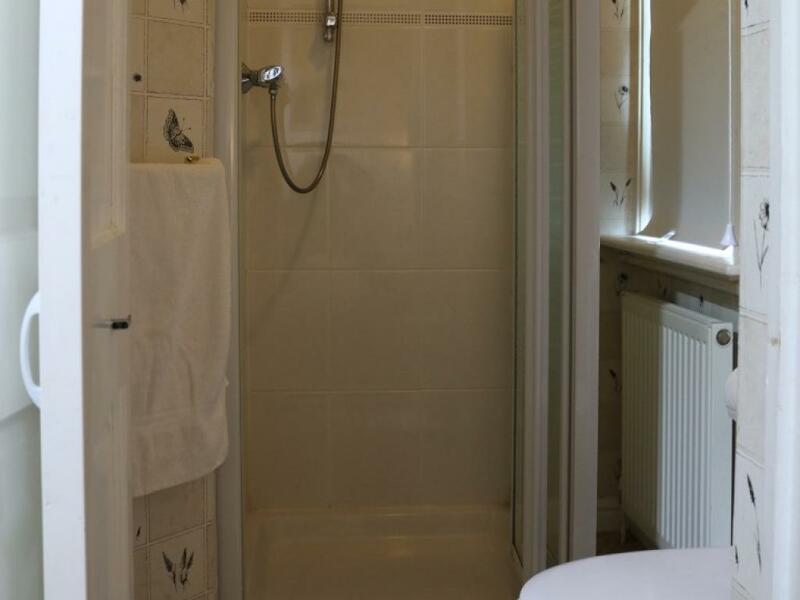 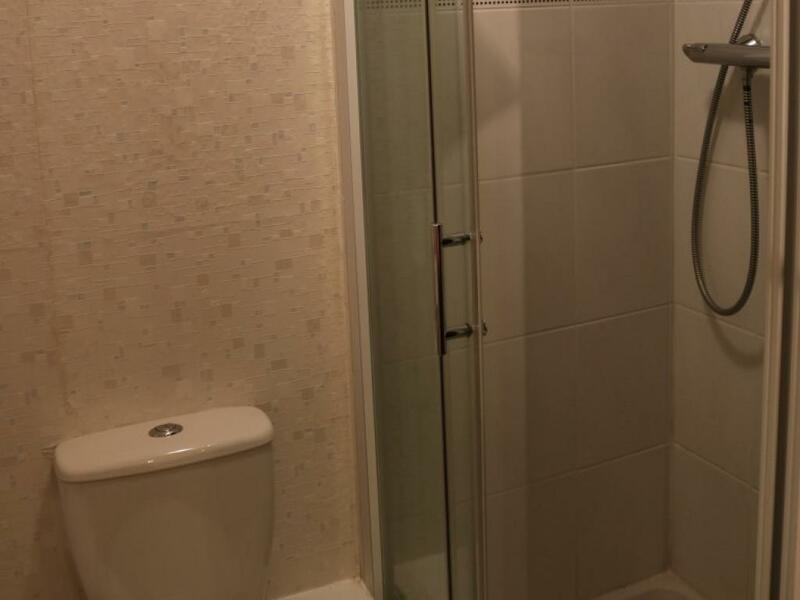 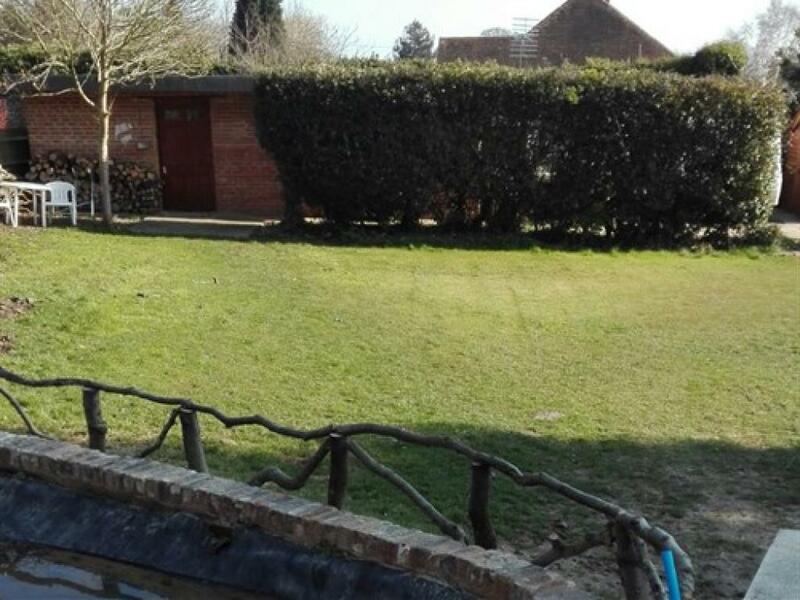 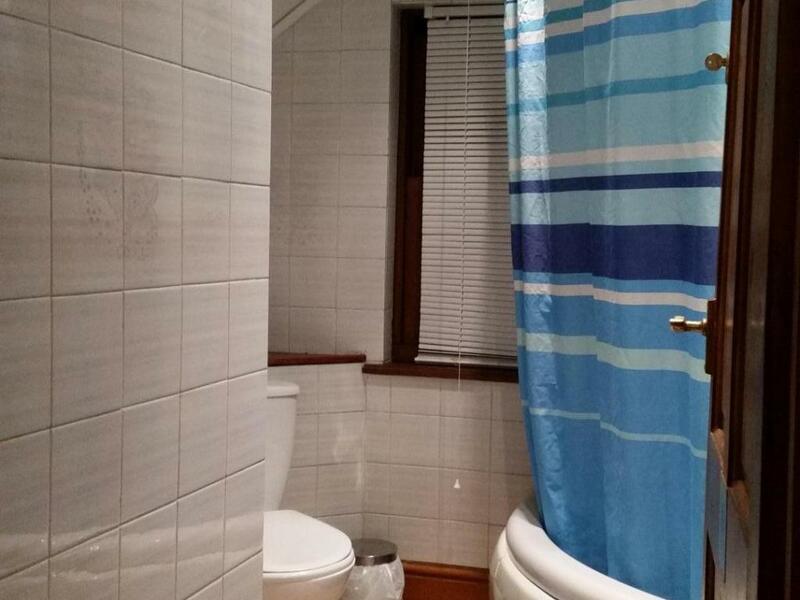 It also has an attached shower en-suite which comprise of a sink, shower and a toilet. 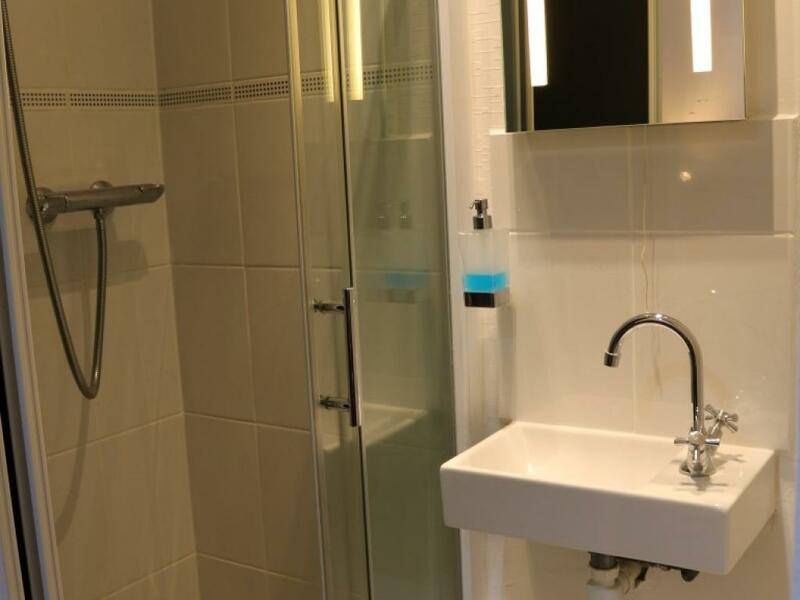 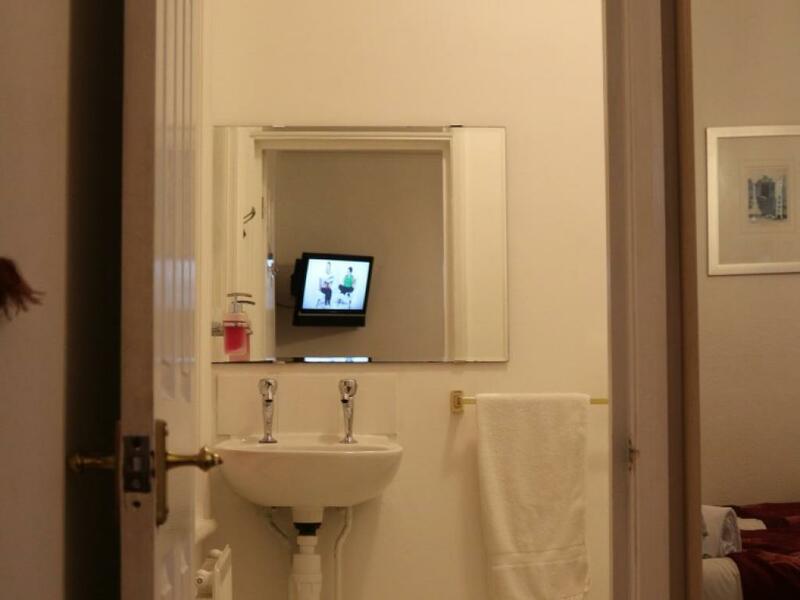 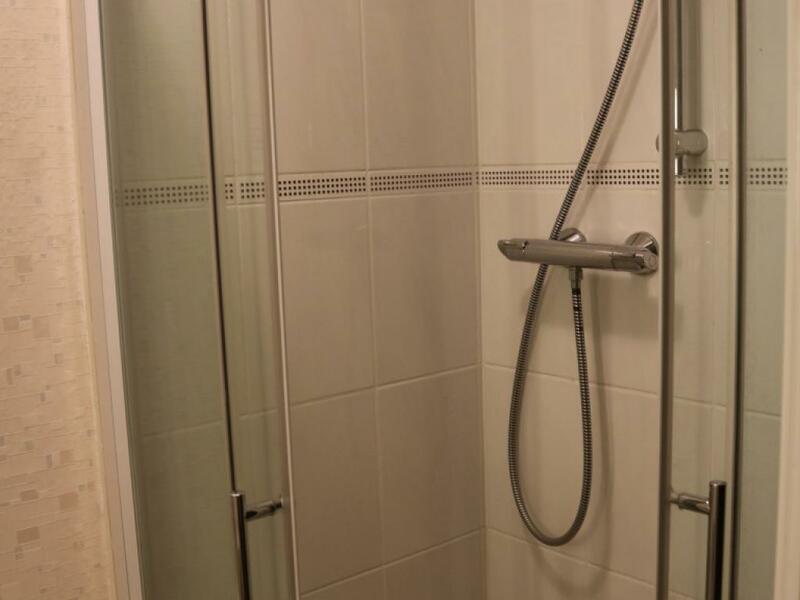 The shower en-suite is not shared with any other room and have accessed only via a coded entry key pad. 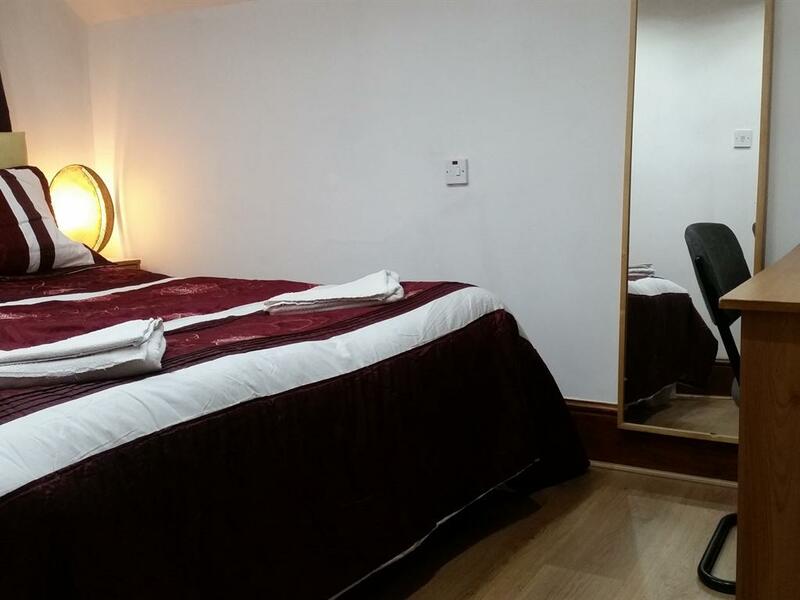 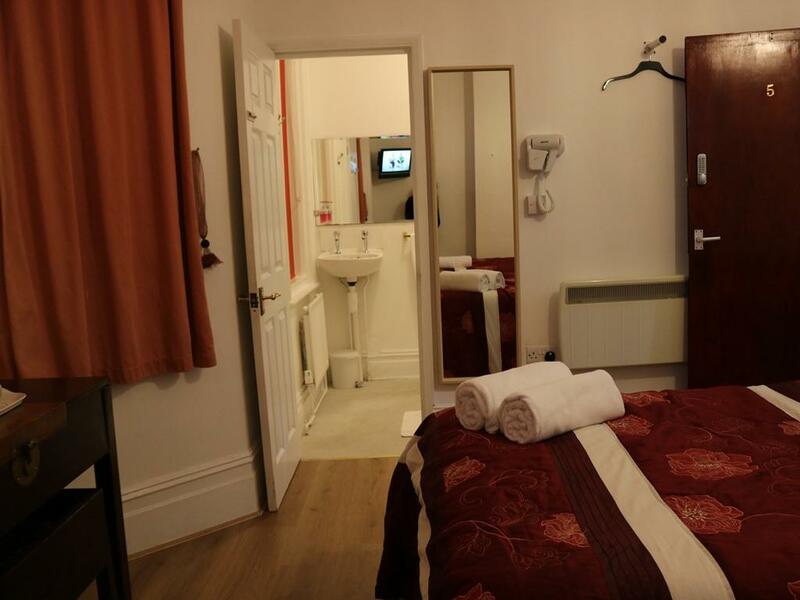 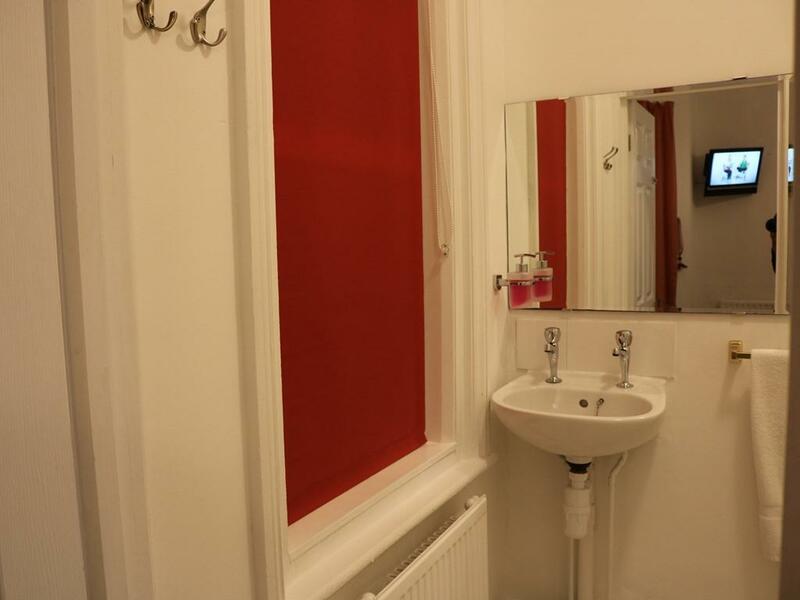 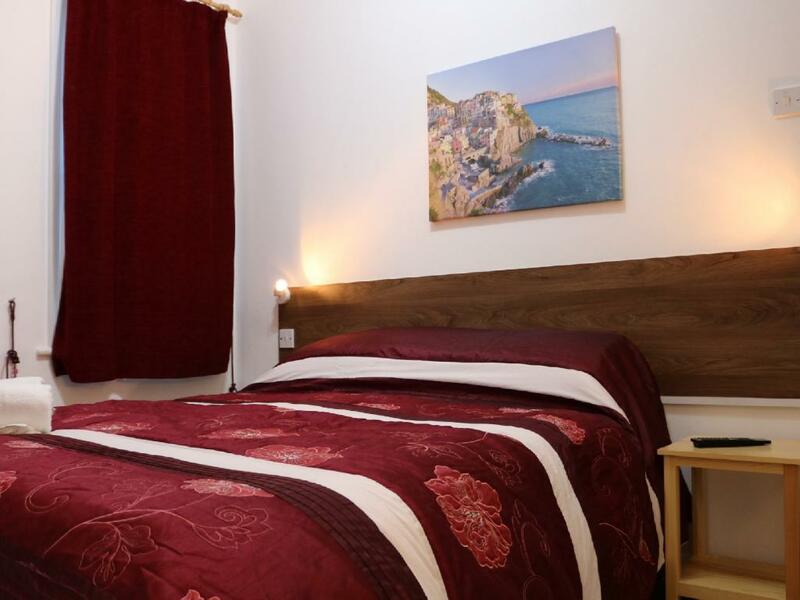 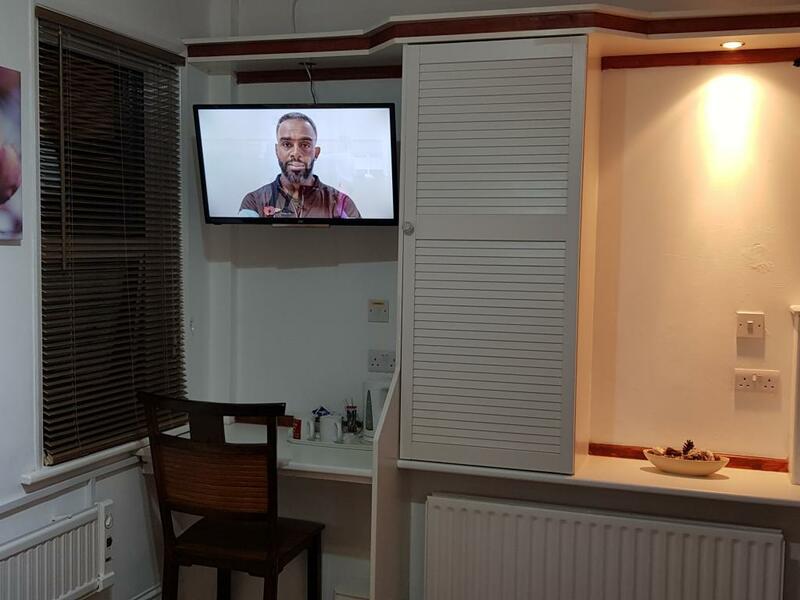 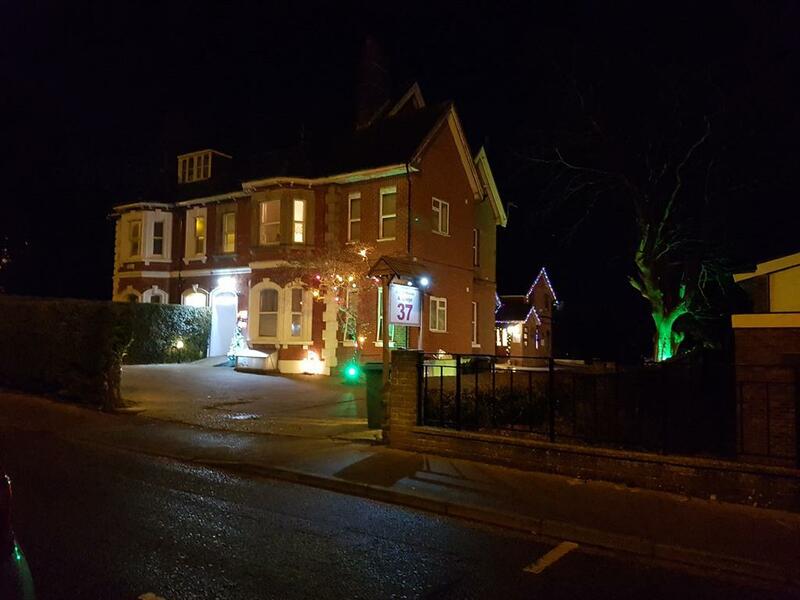 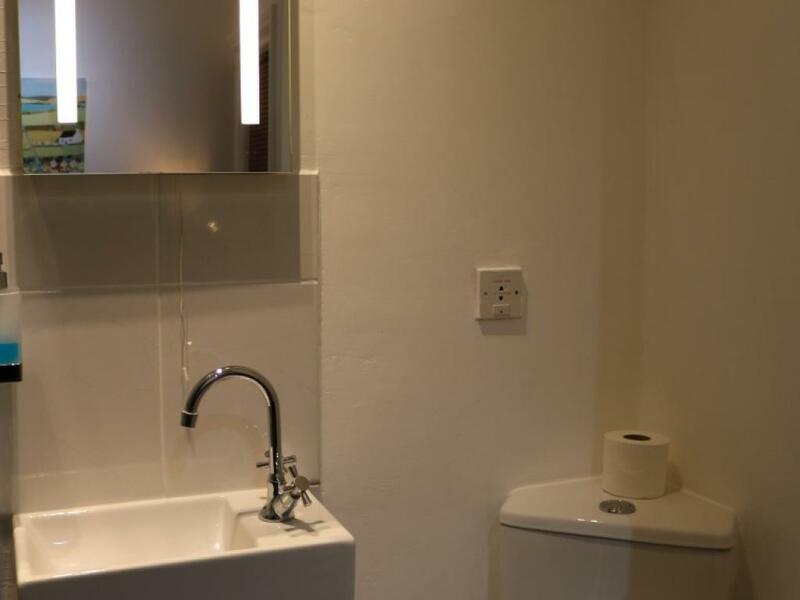 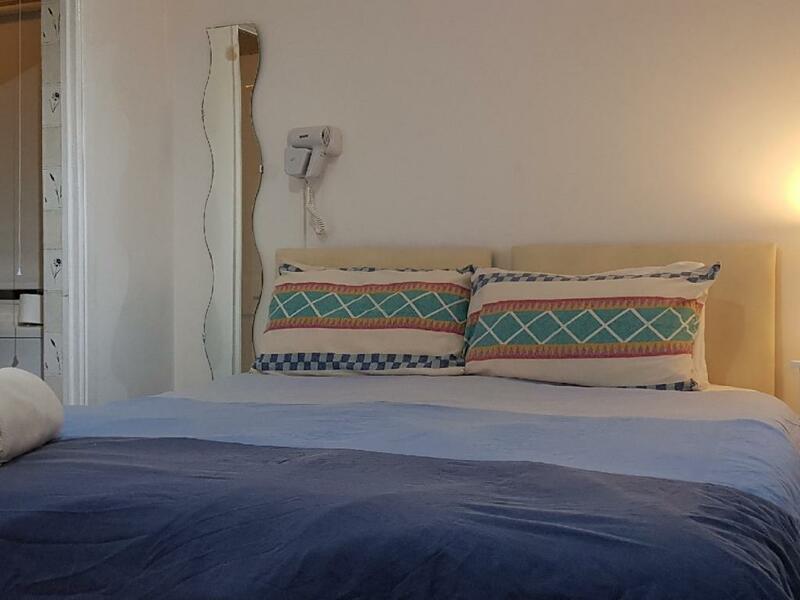 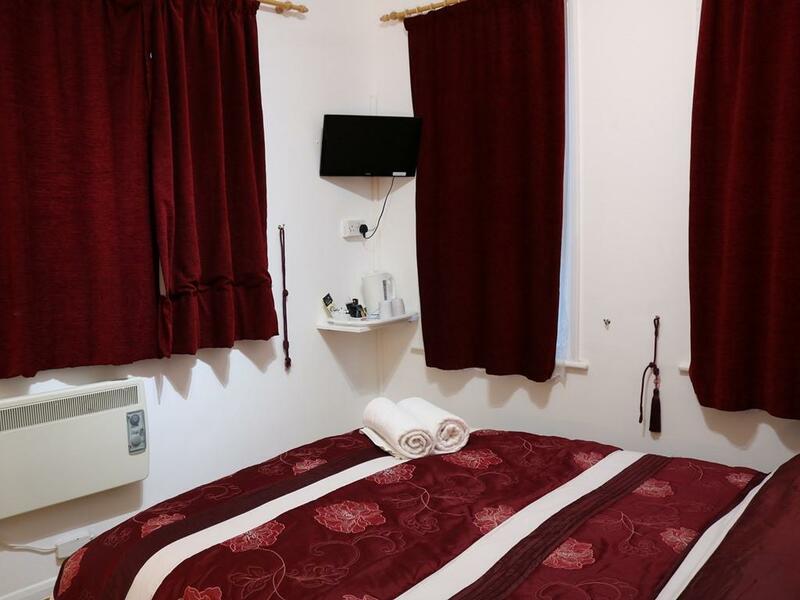 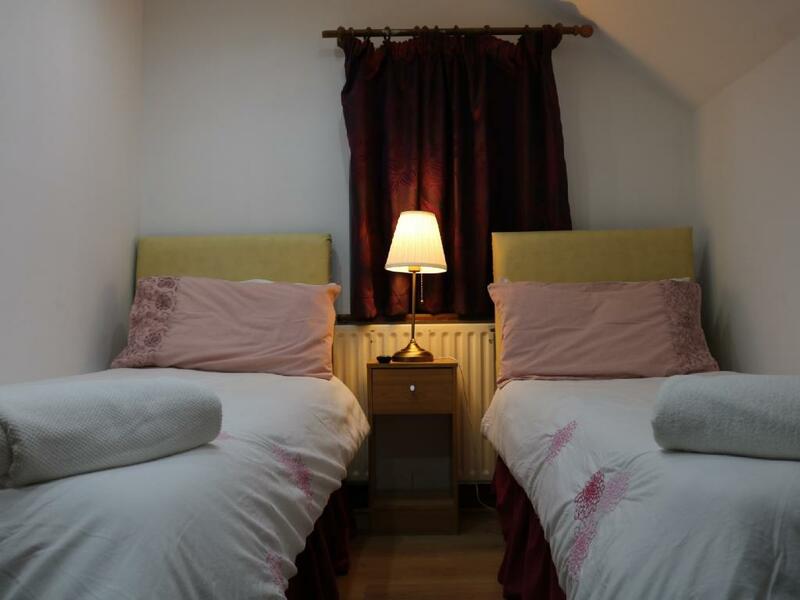 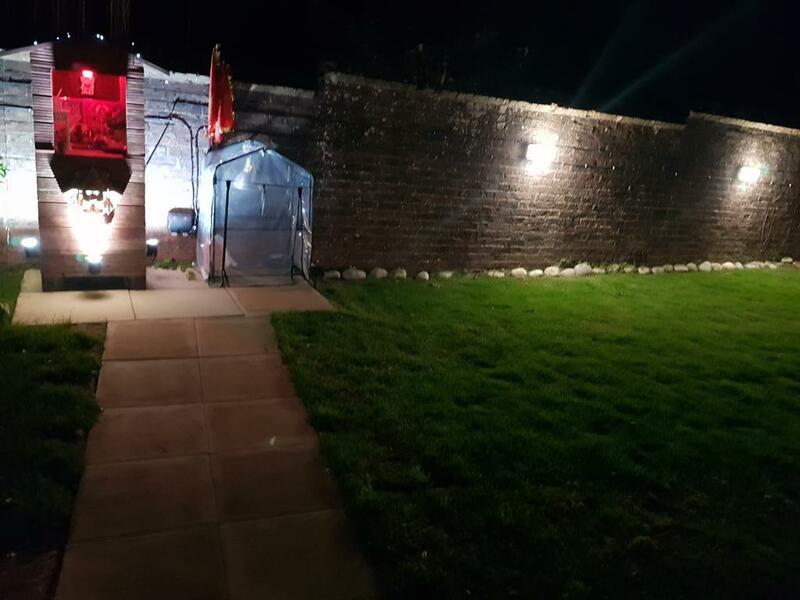 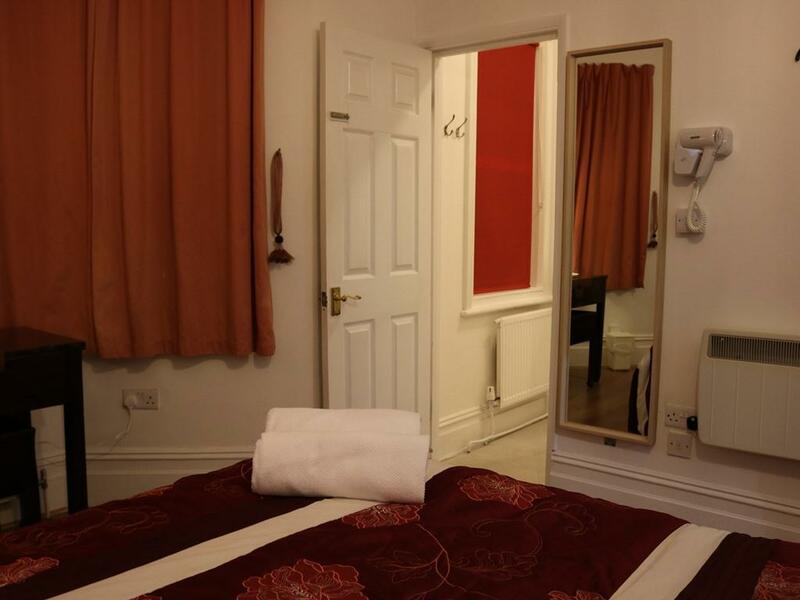 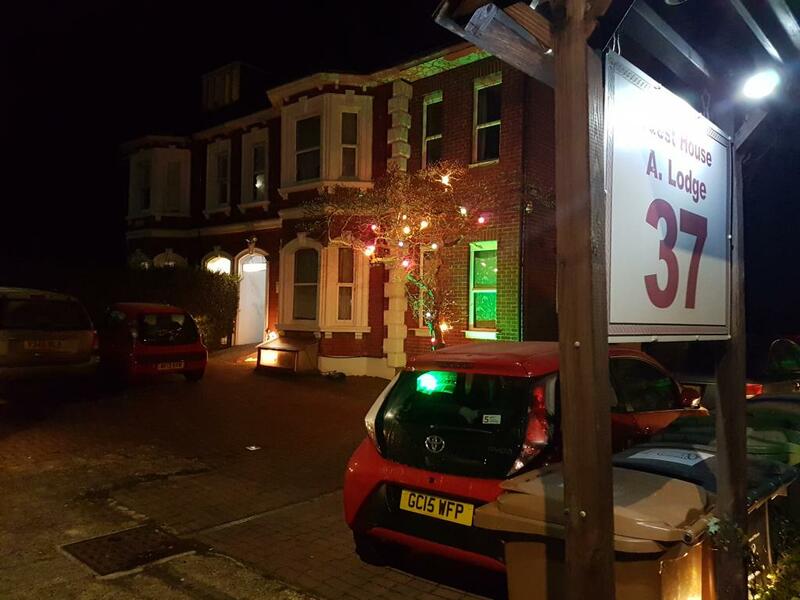 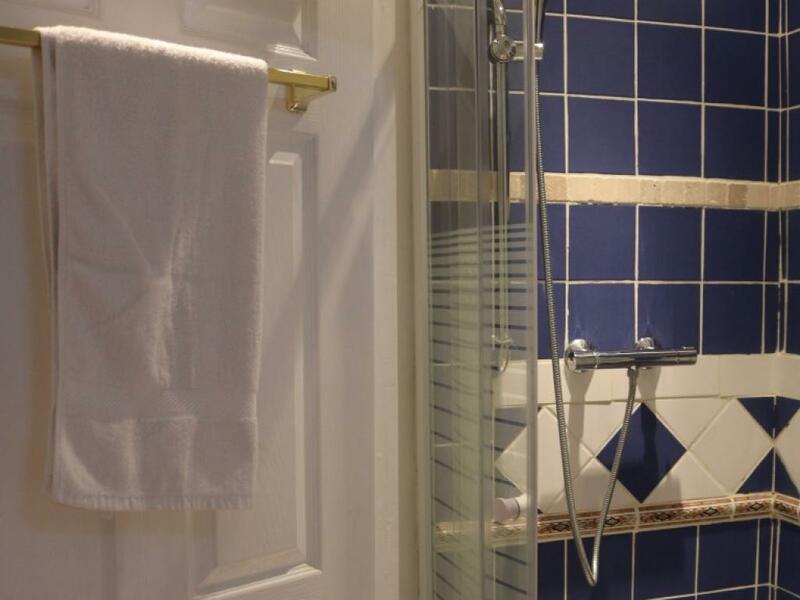 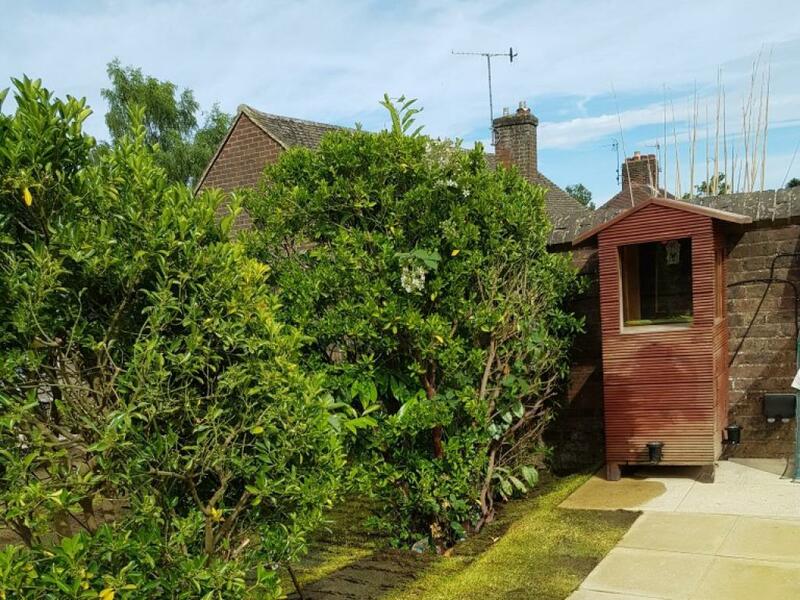 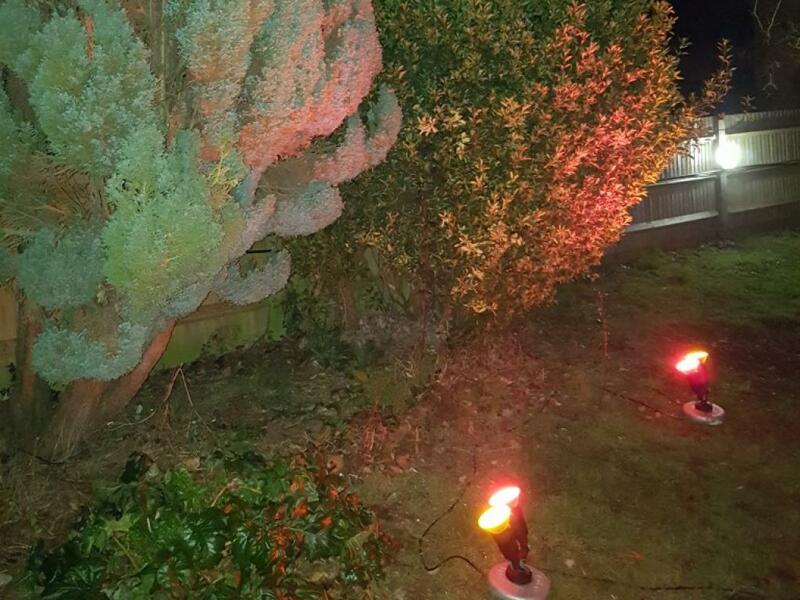 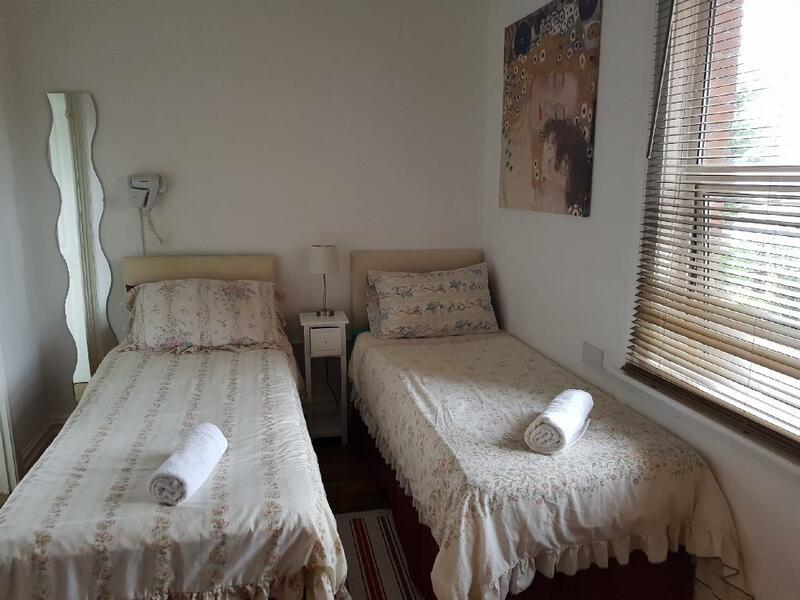 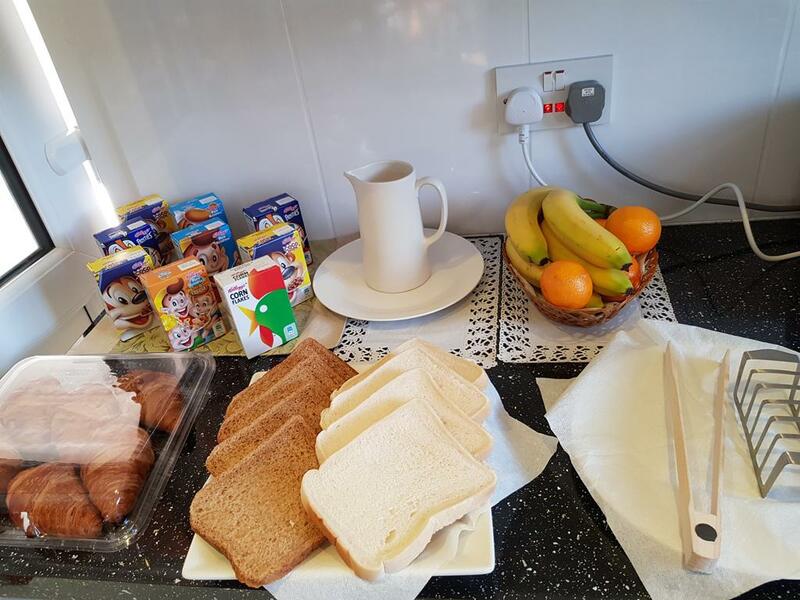 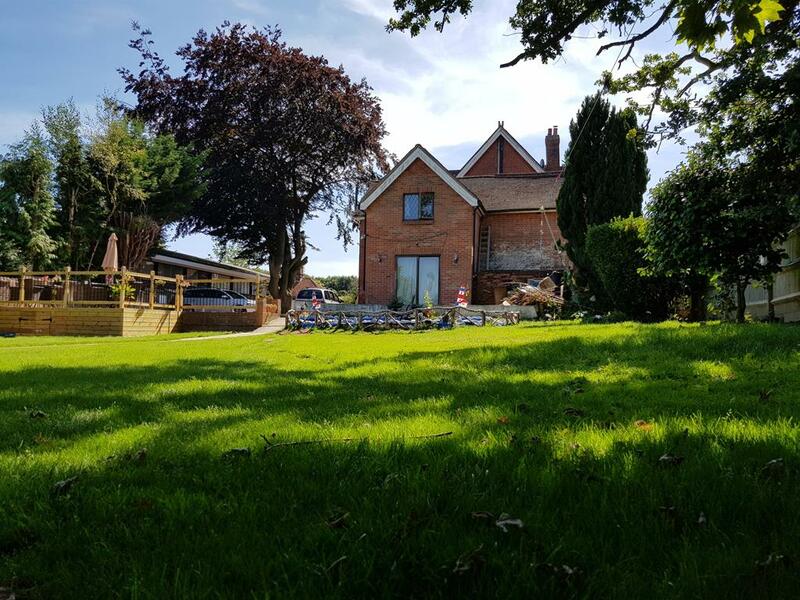 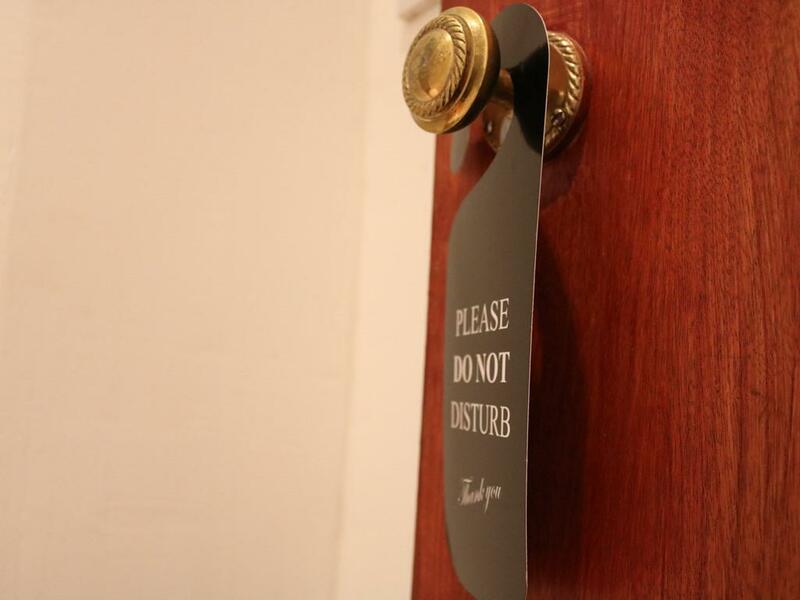 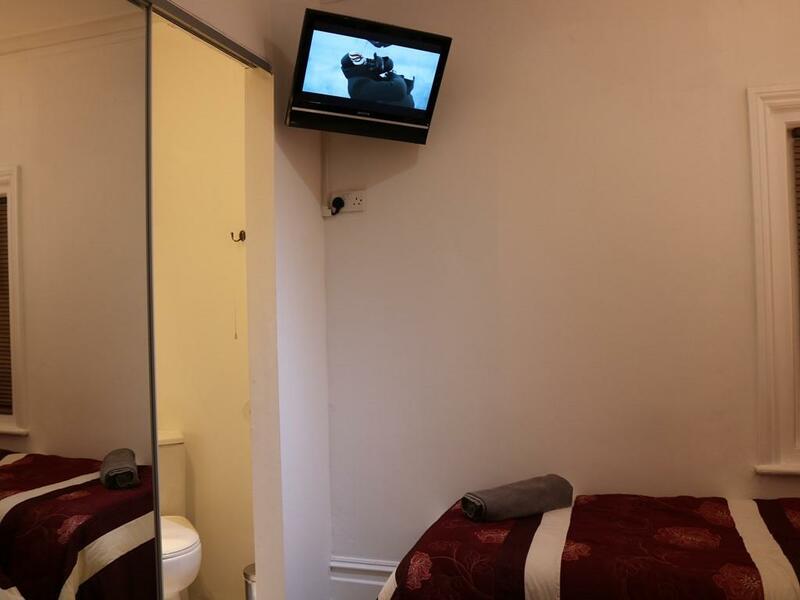 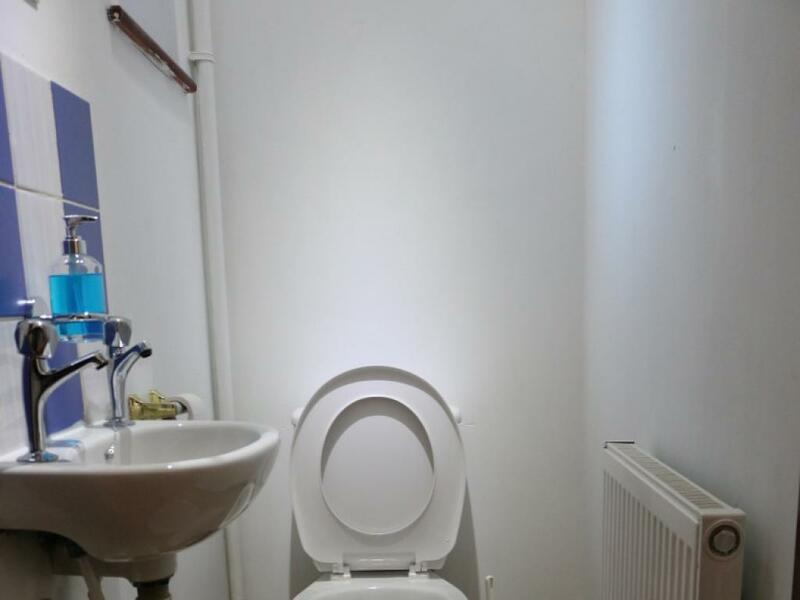 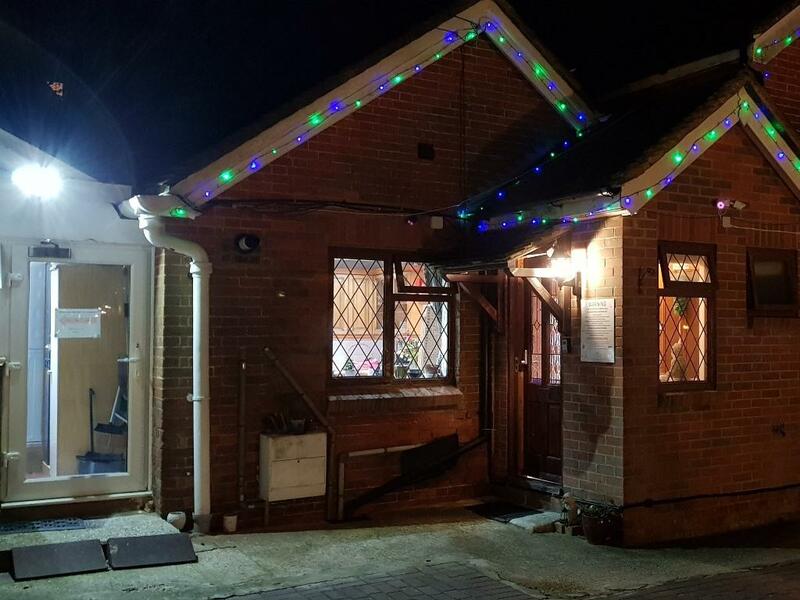 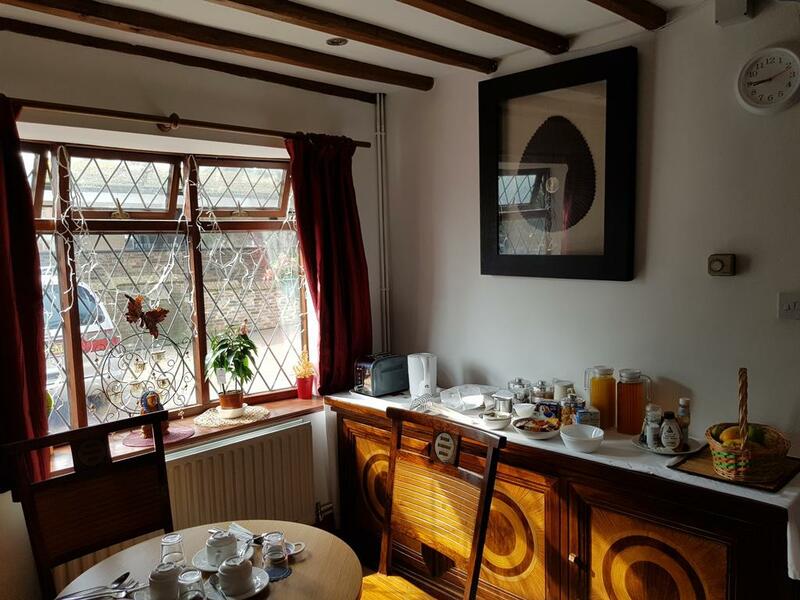 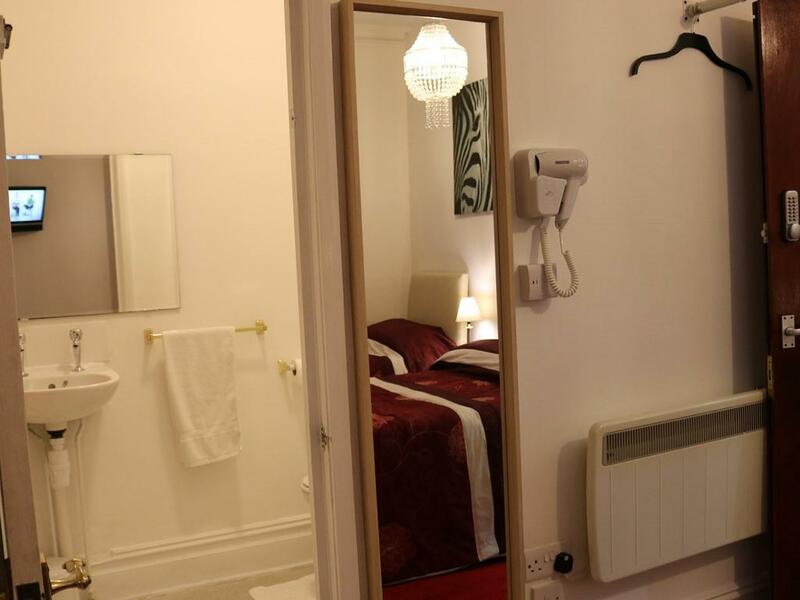 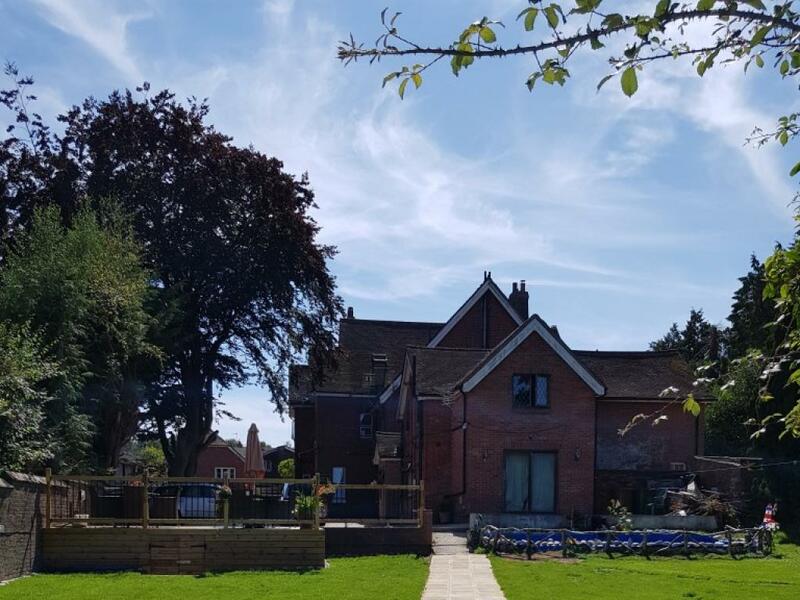 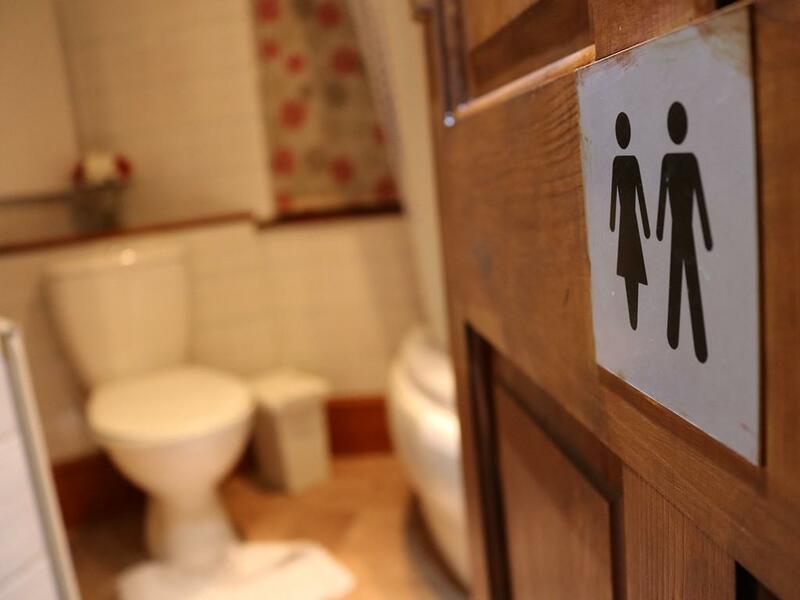 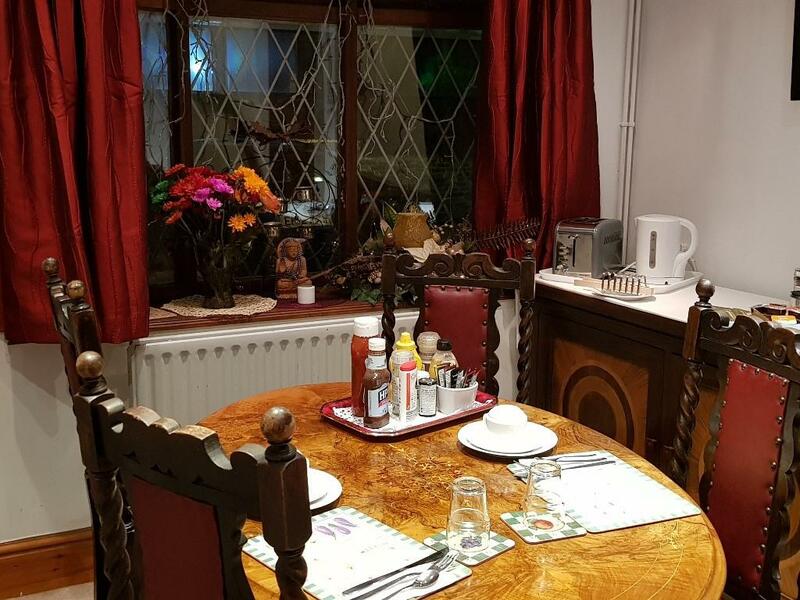 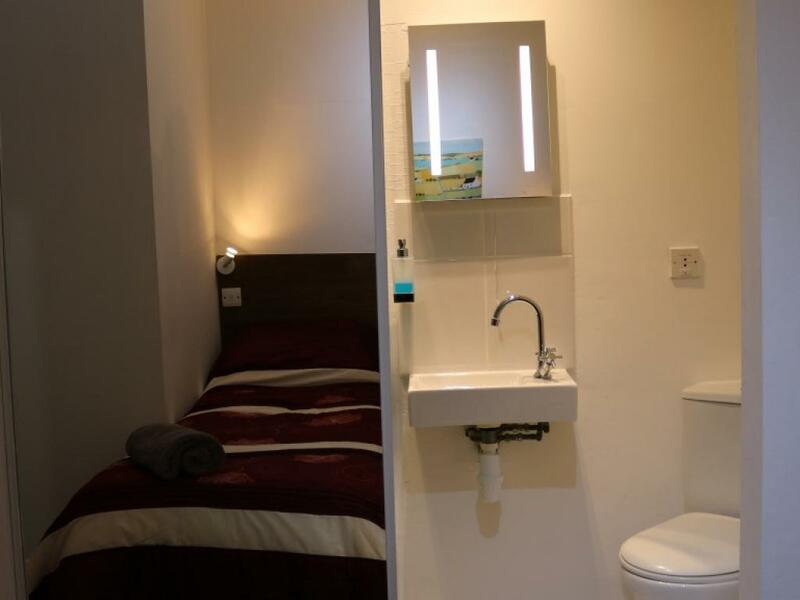 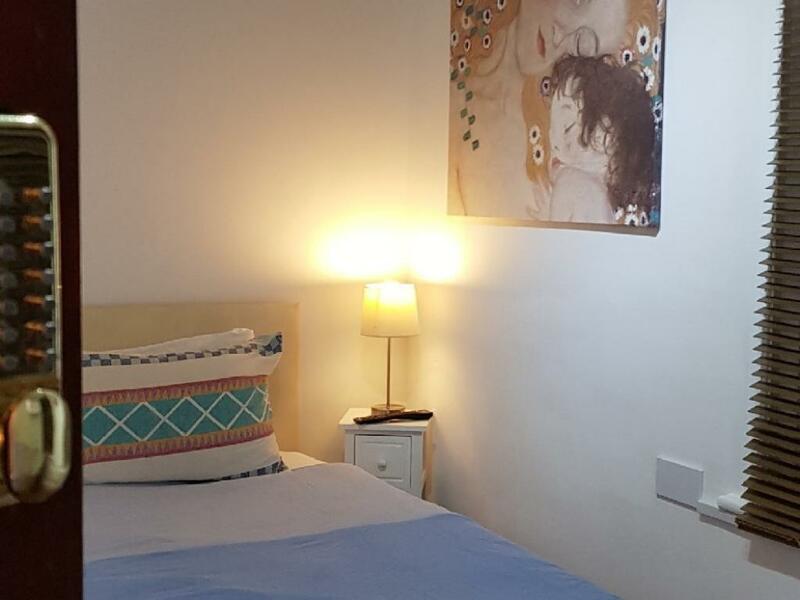 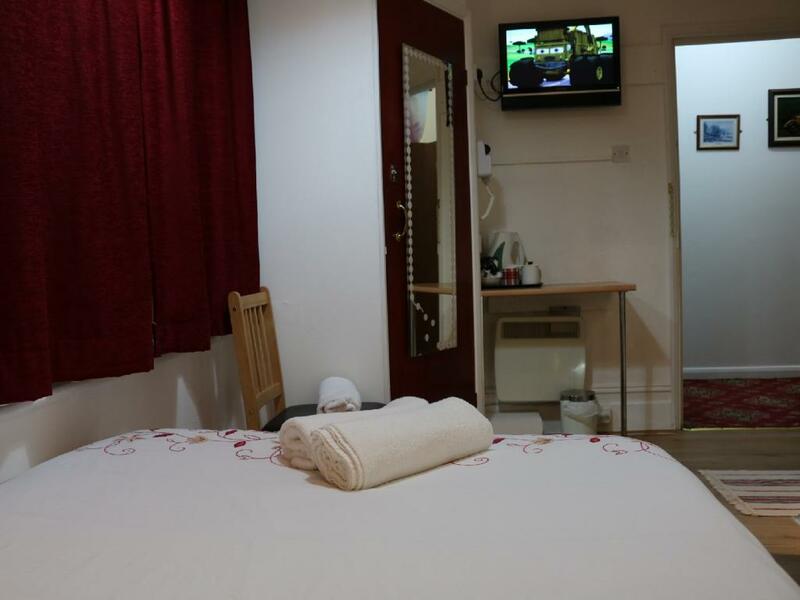 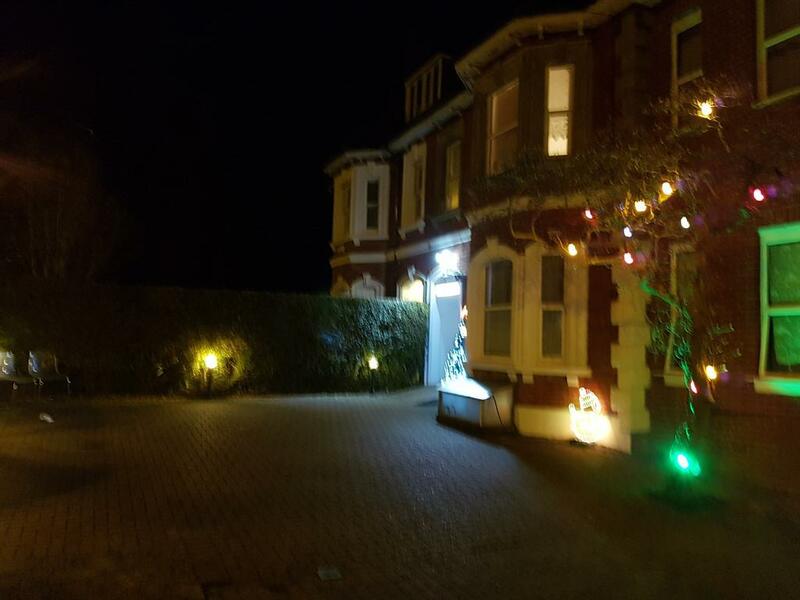 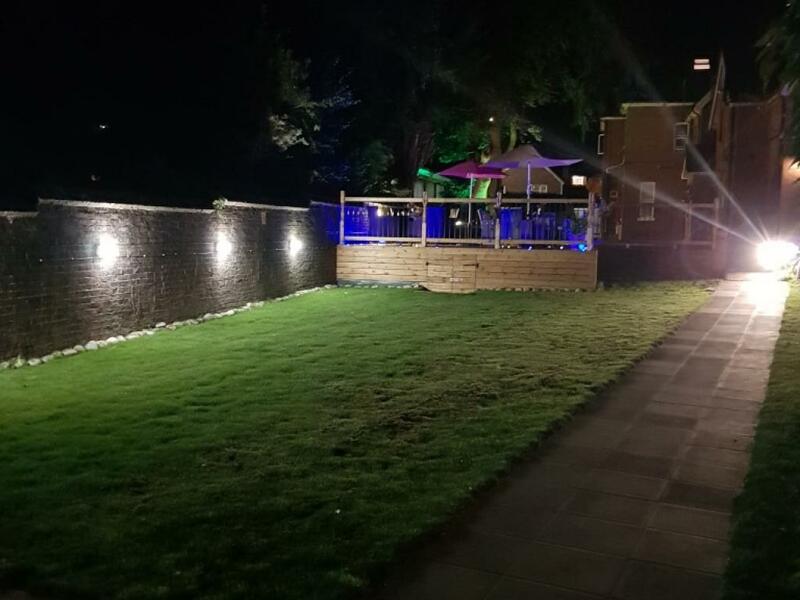 The benefit of this room is that one person can have a shower in the room while the other can also use the en-suite facilities which is located just opposite the room. 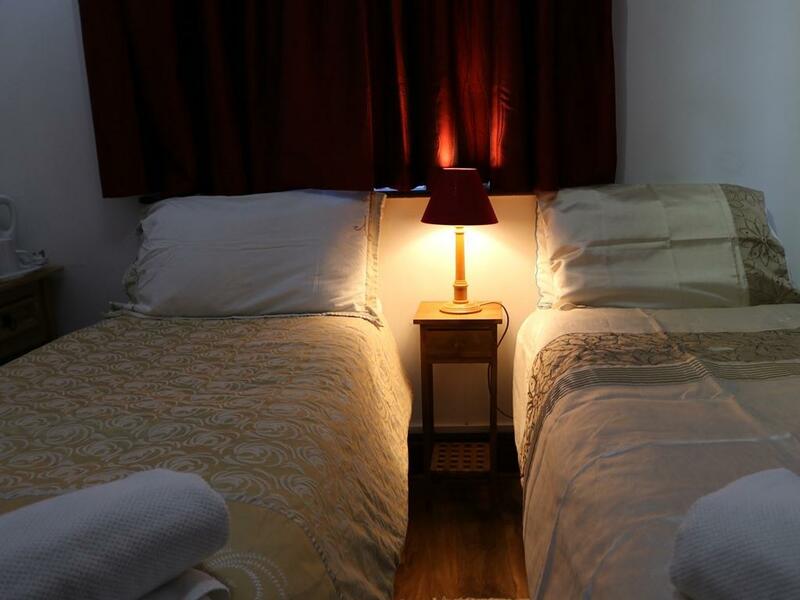 This room can be set up as two twin beds or comfortable king size bed. 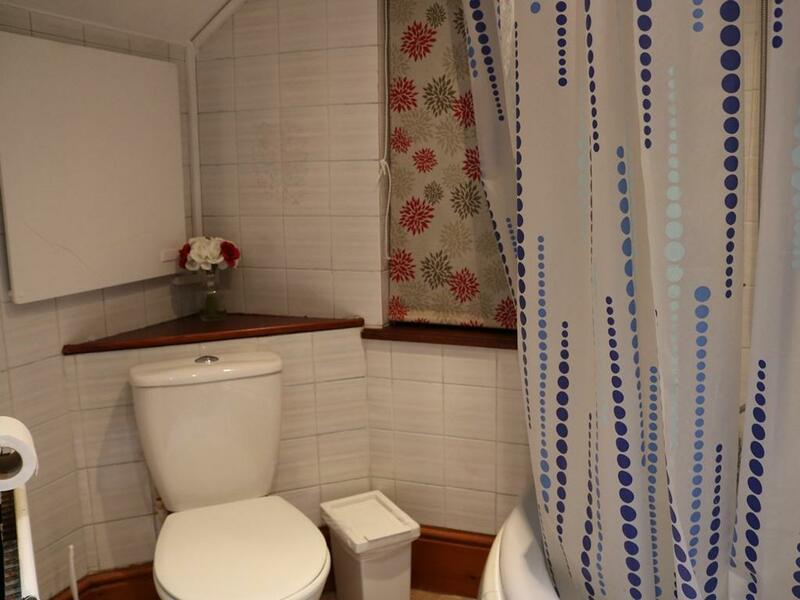 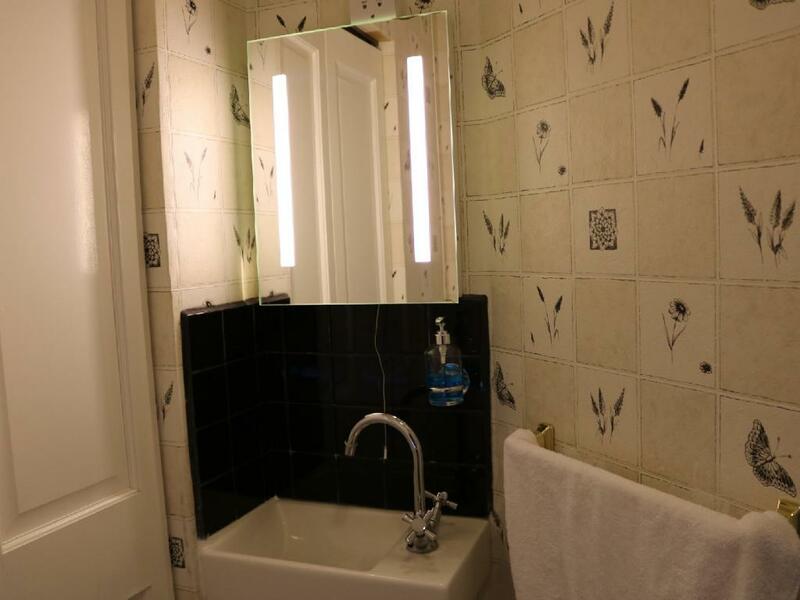 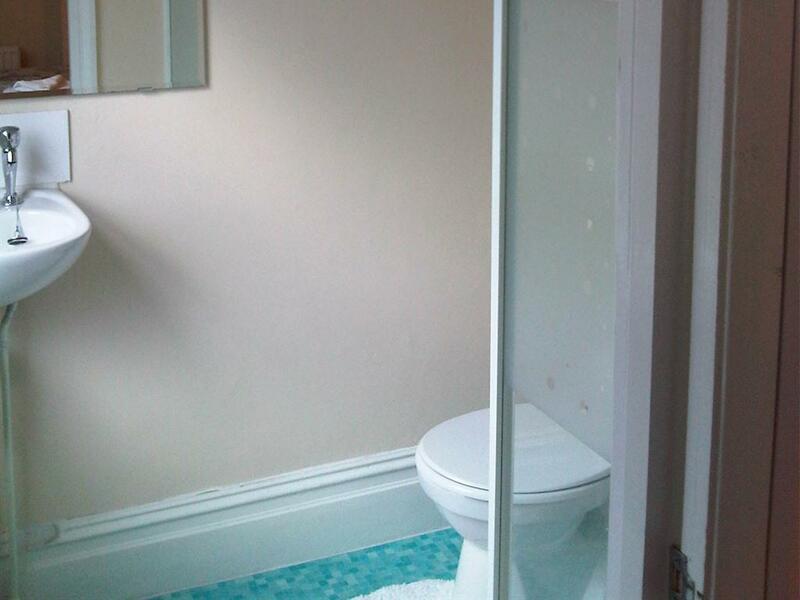 This room only shared the en-suite bathroom with one room. 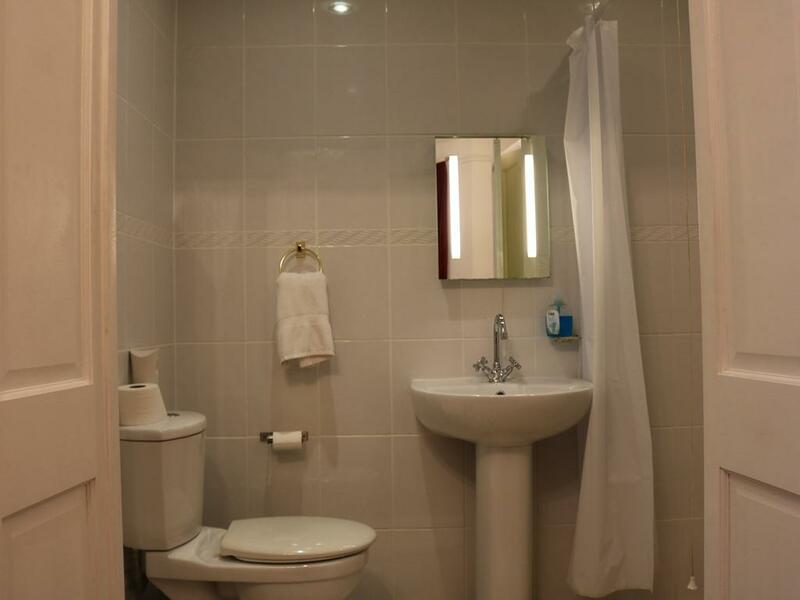 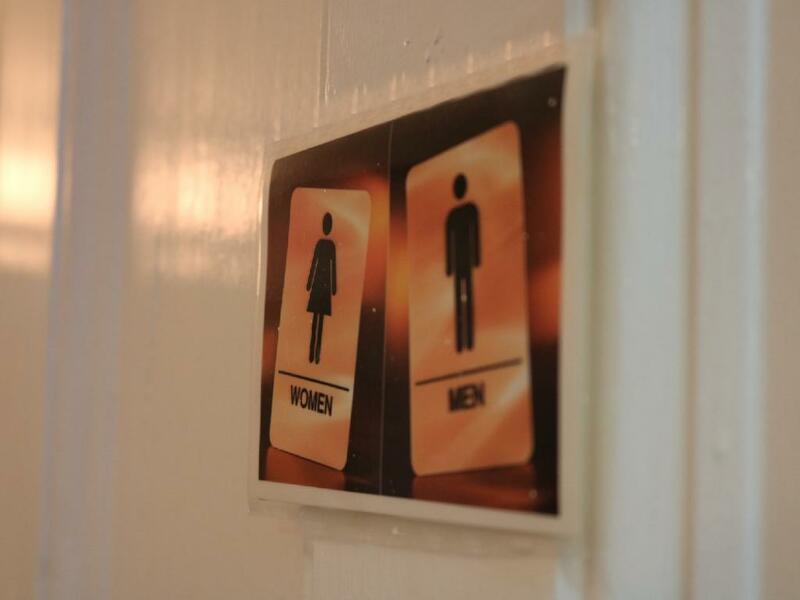 But for convenience of toilet facilities, there is an additional cloak room on the ground floor attached to the room. 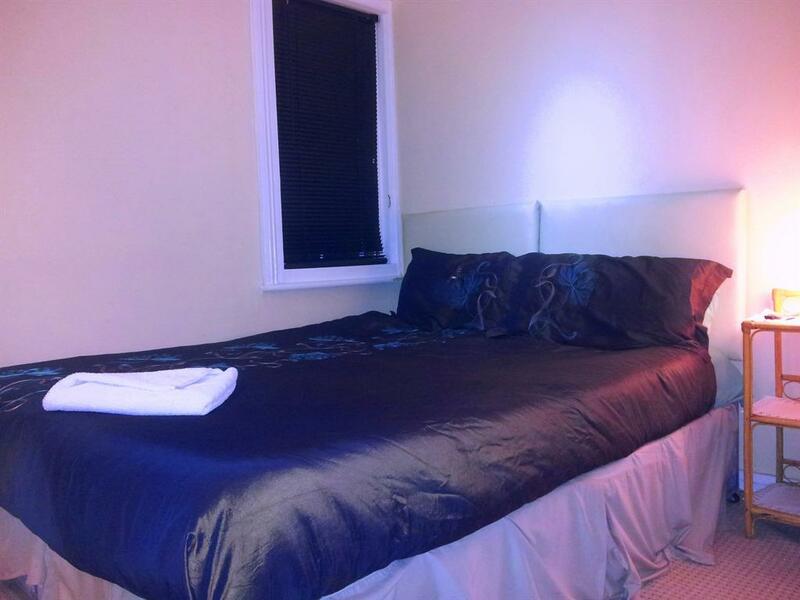 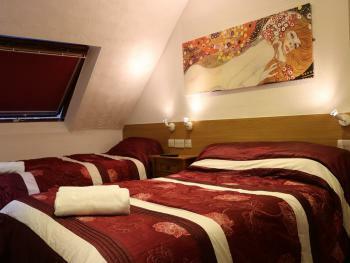 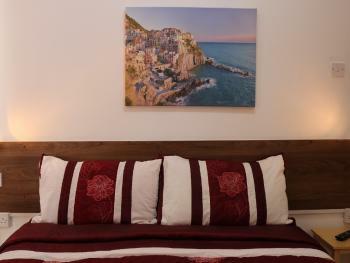 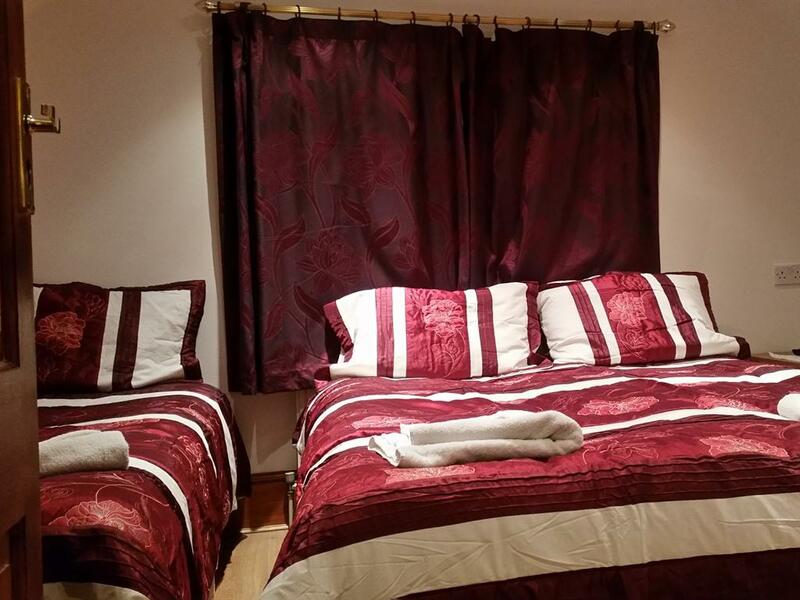 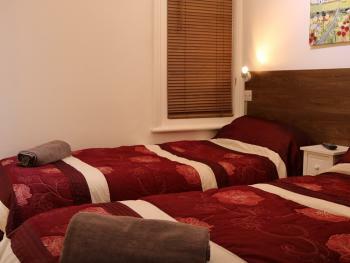 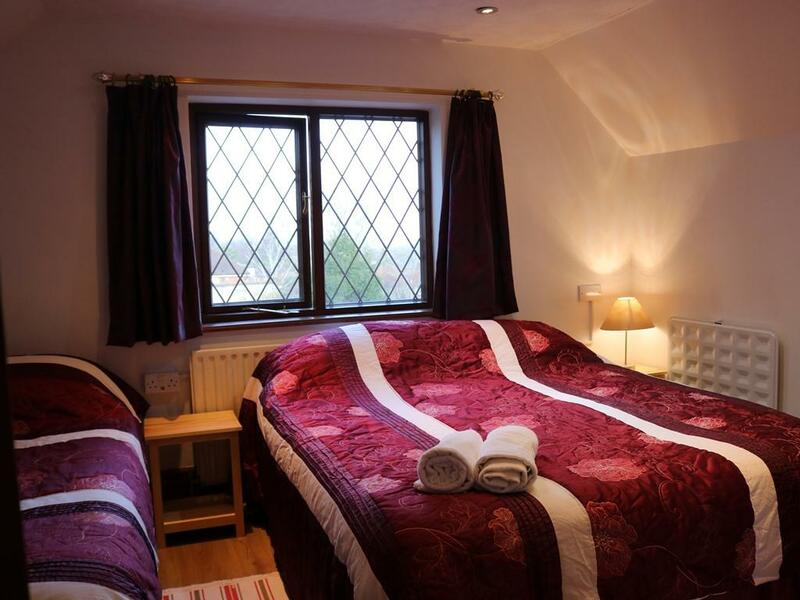 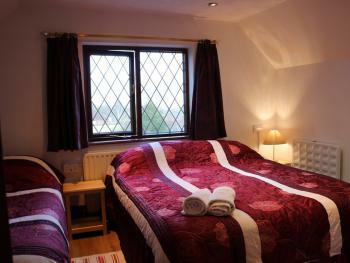 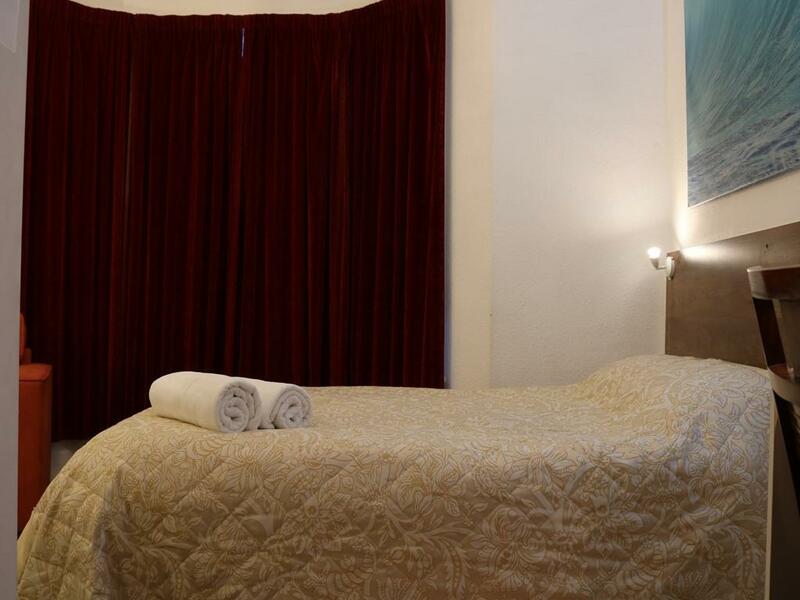 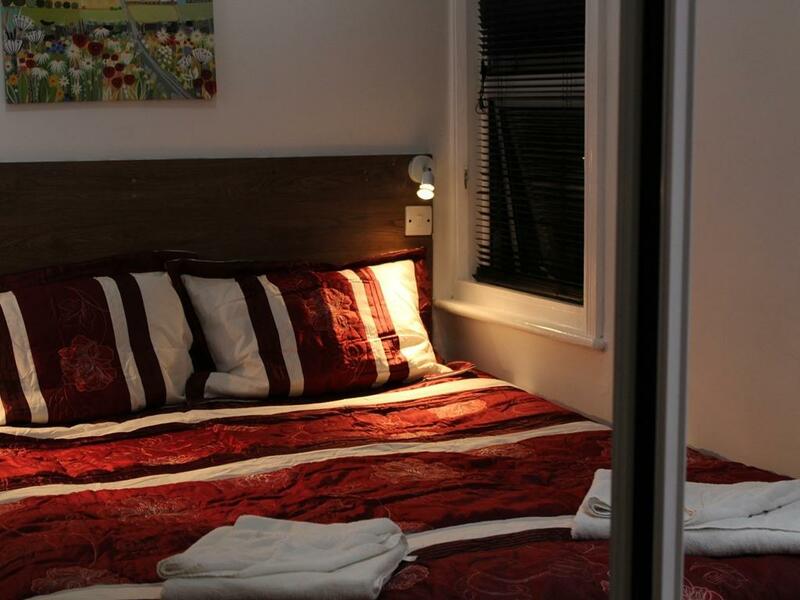 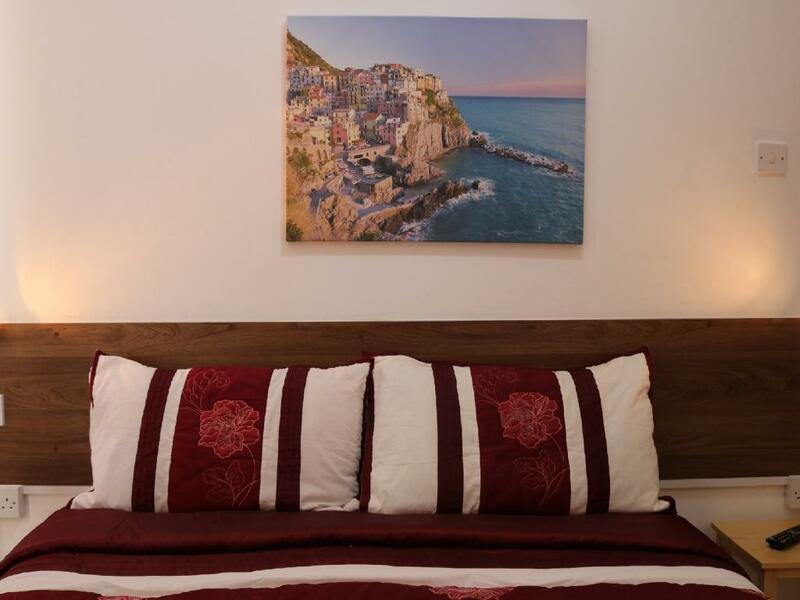 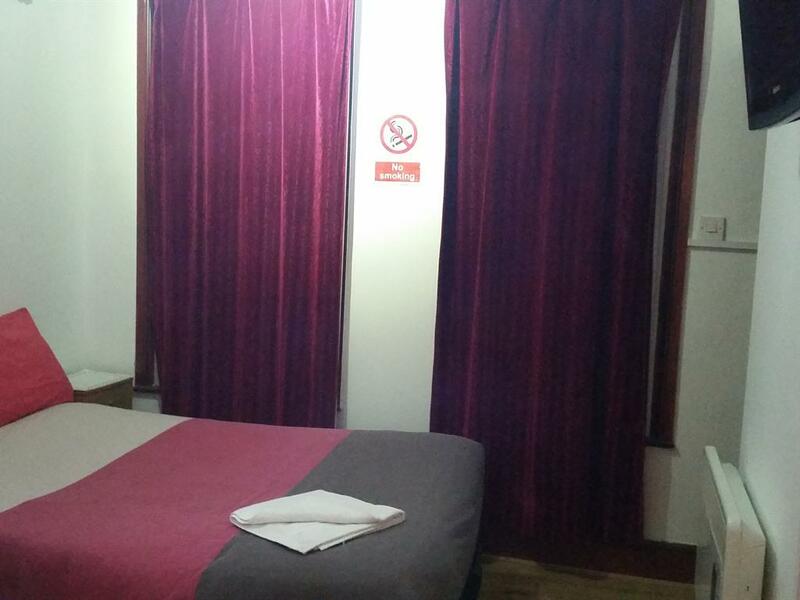 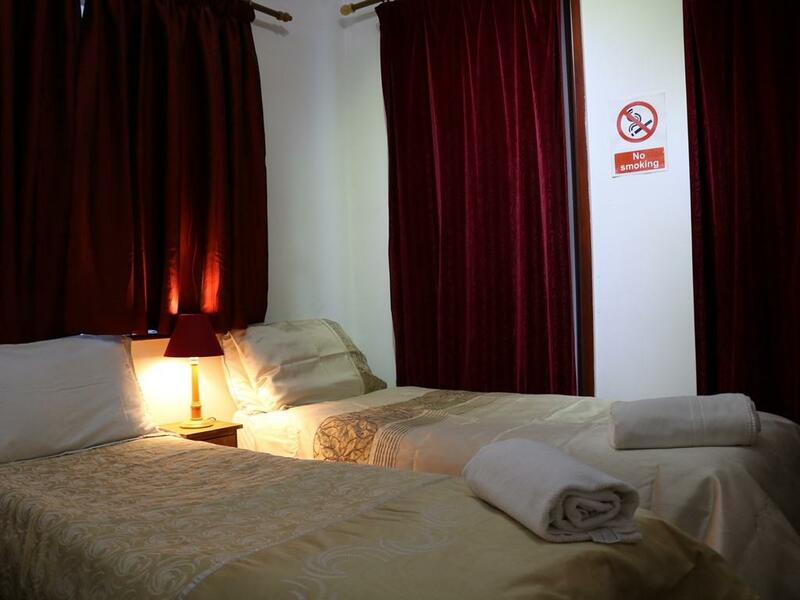 A comfortable twin room or king size bed, with an ensuite shower in the room. 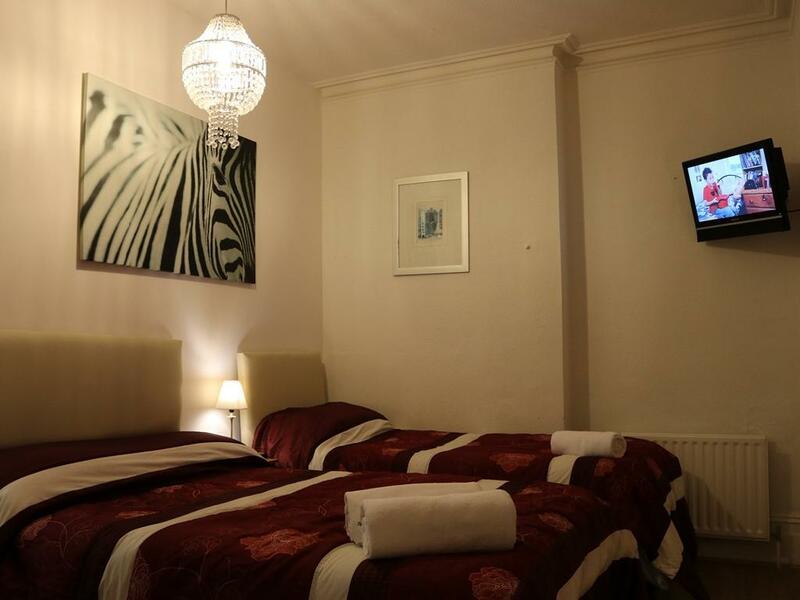 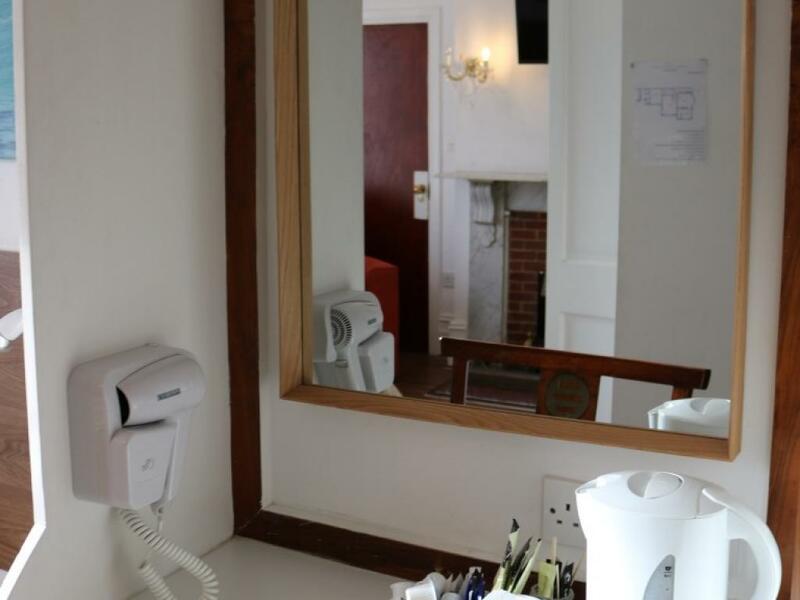 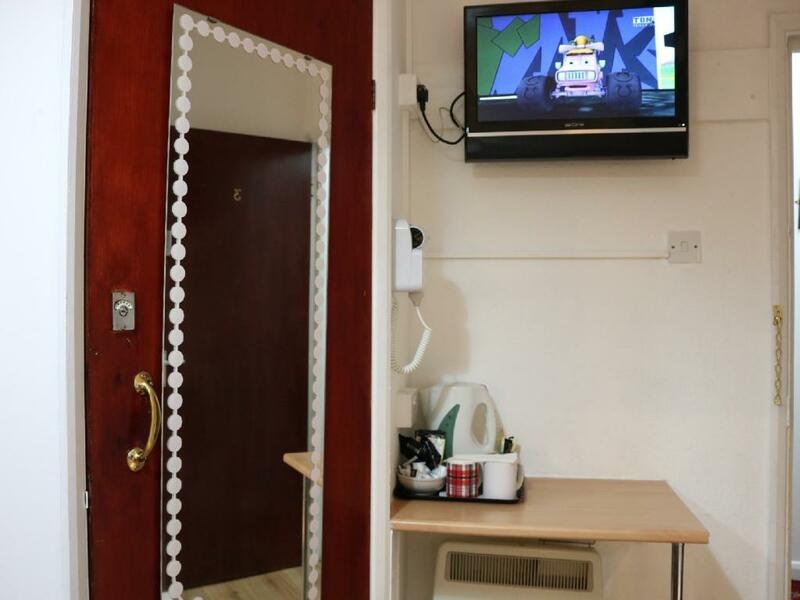 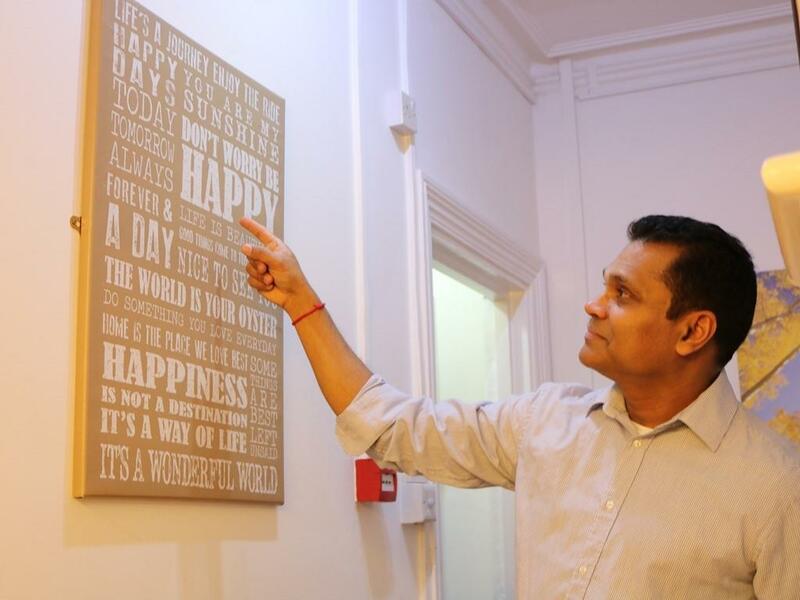 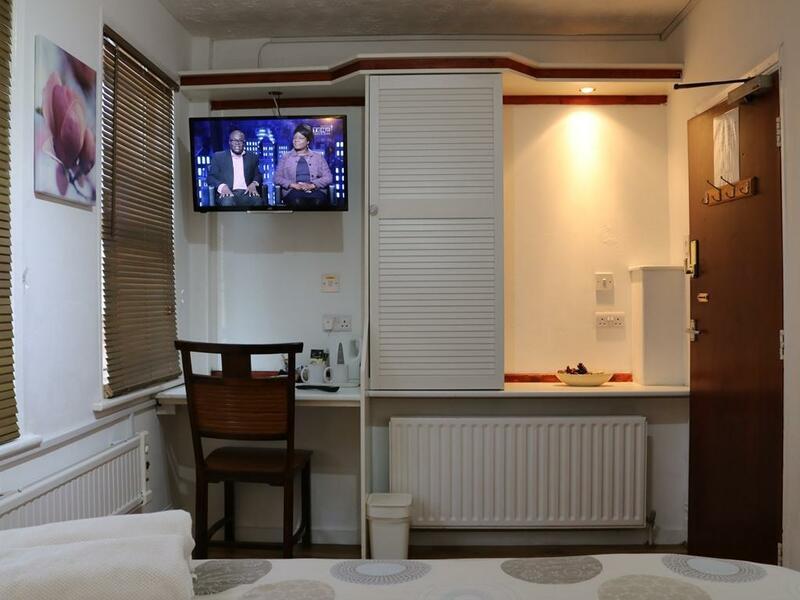 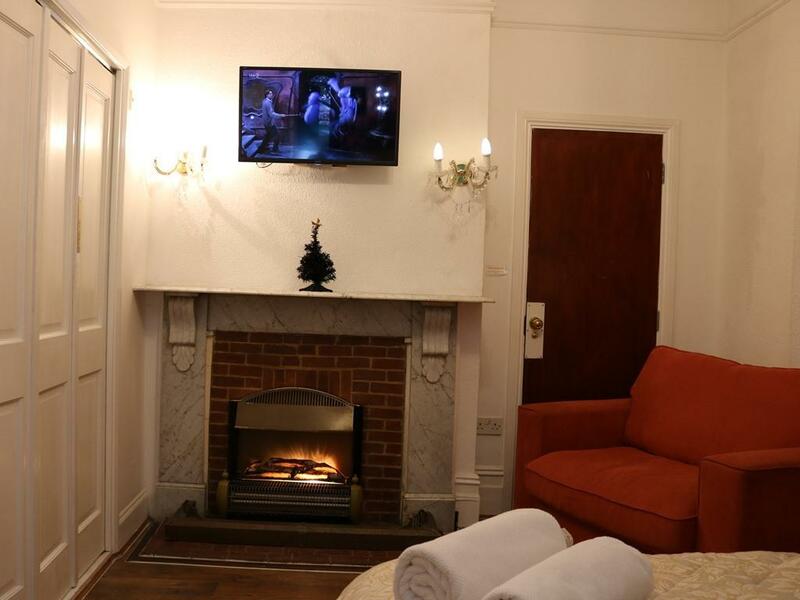 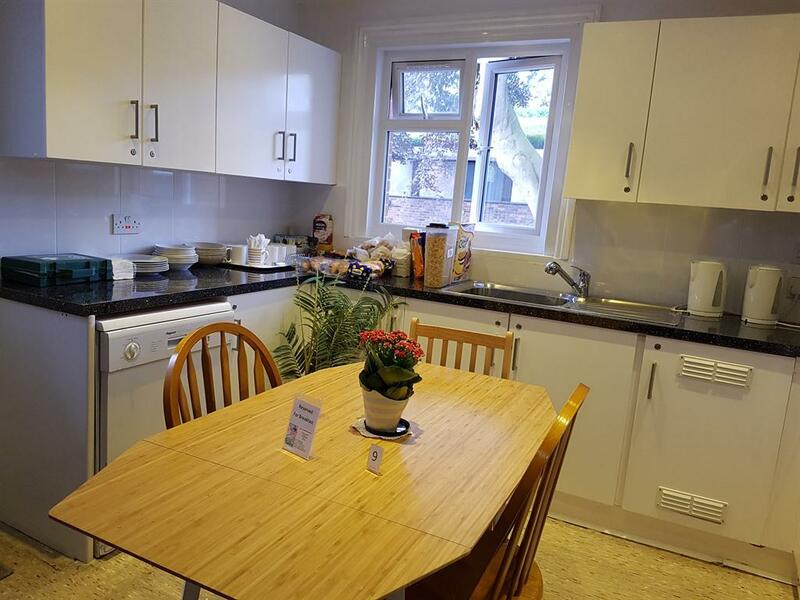 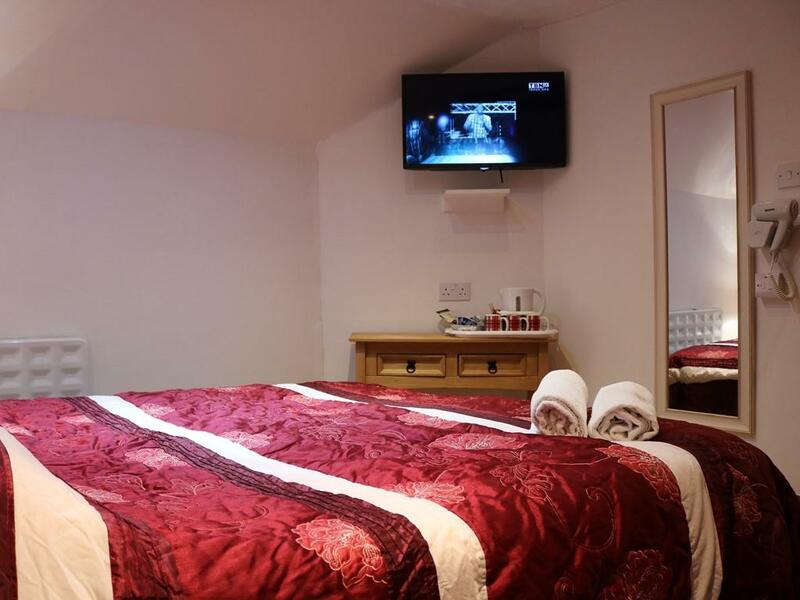 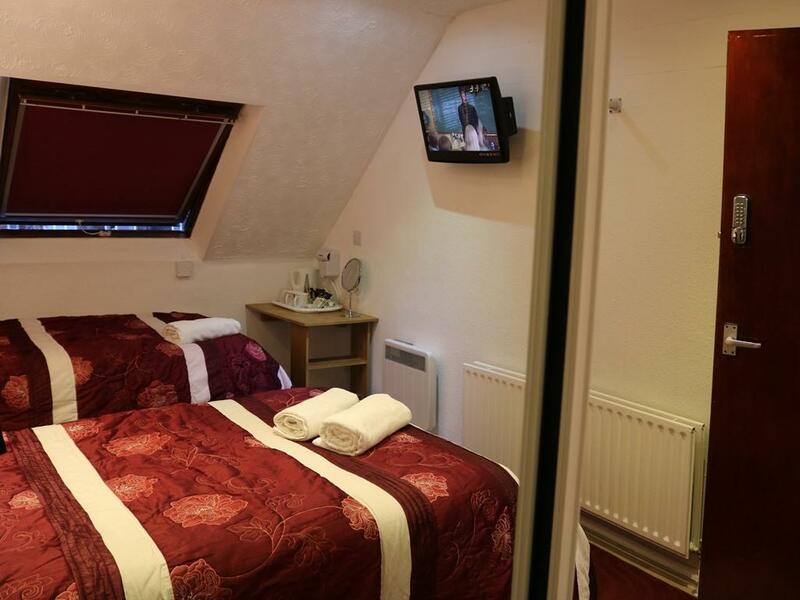 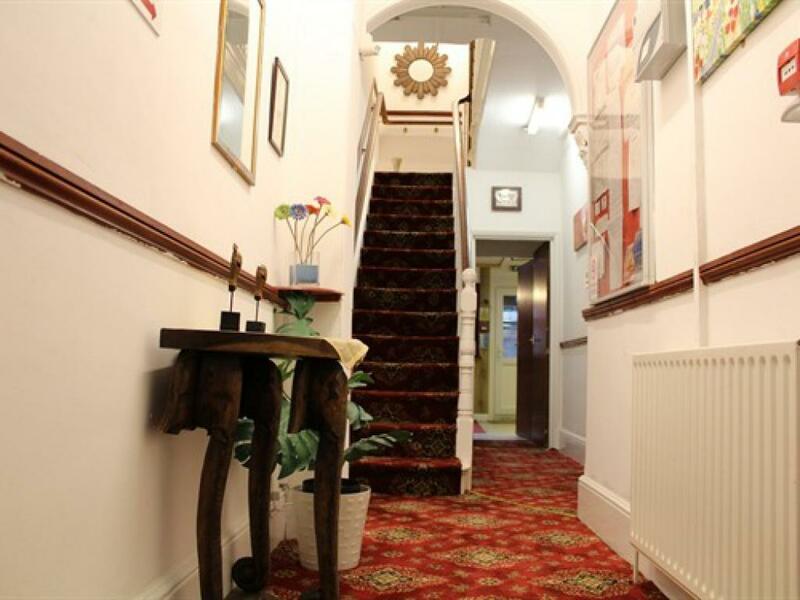 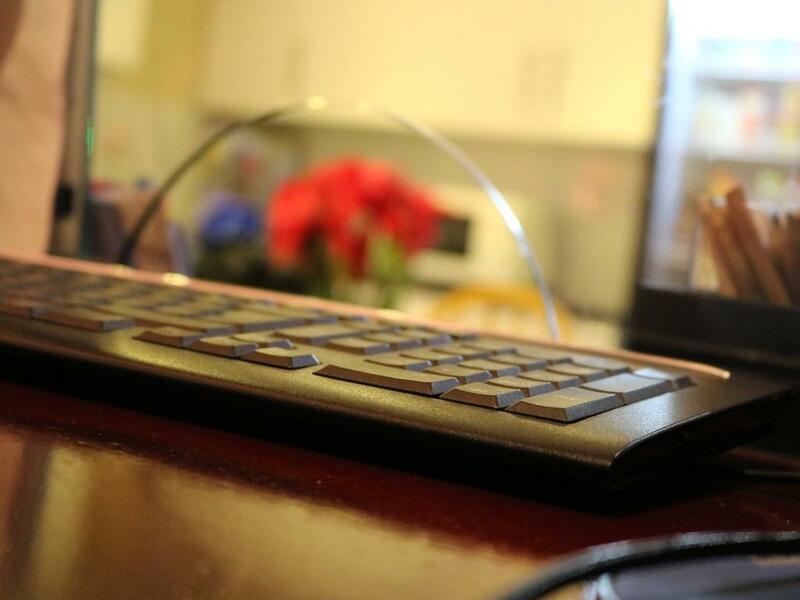 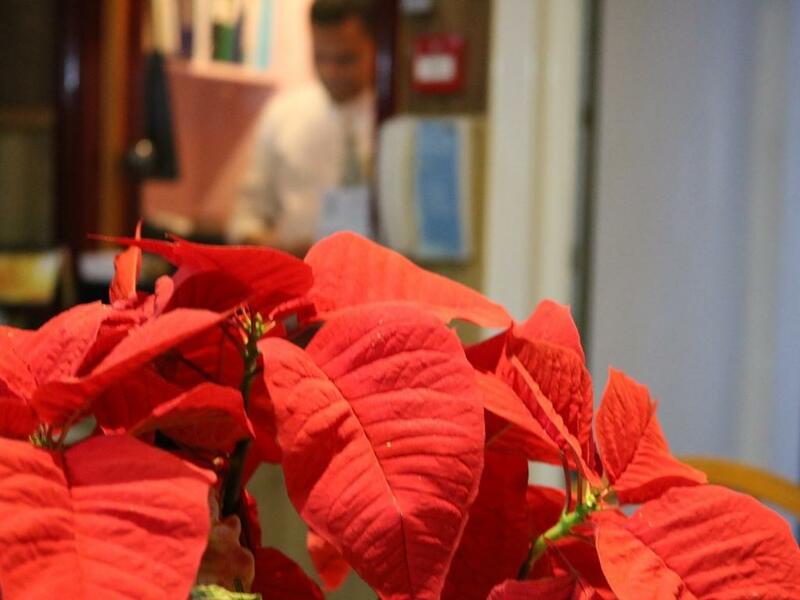 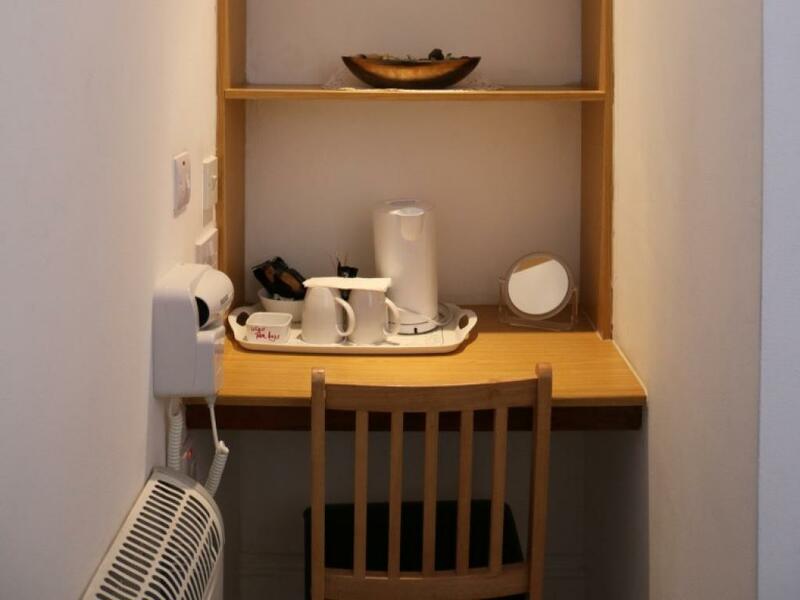 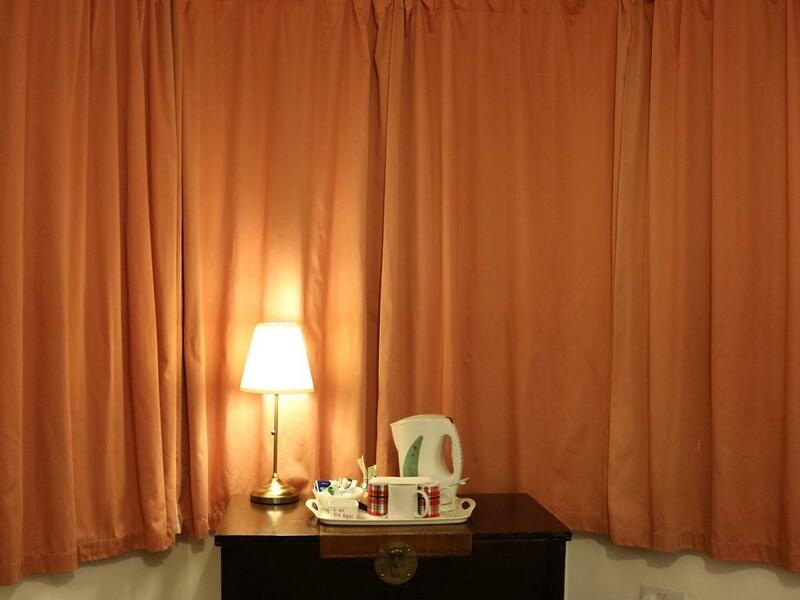 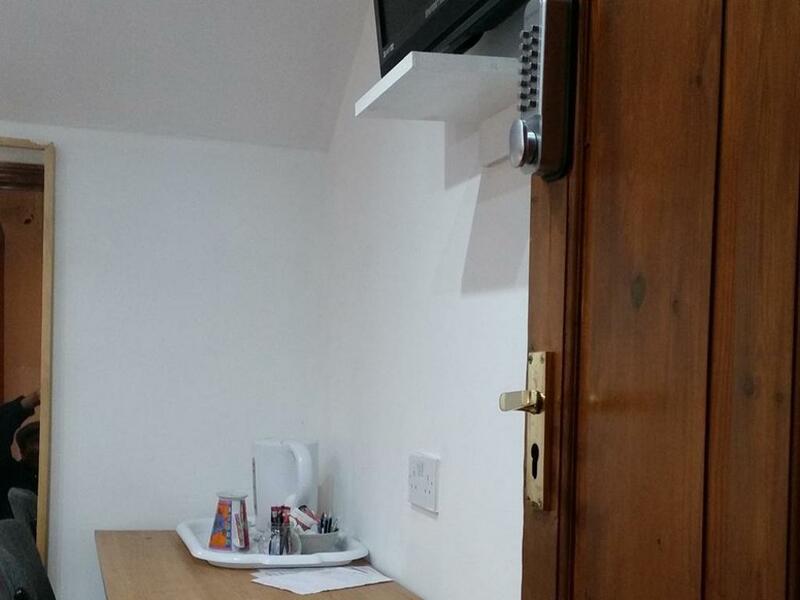 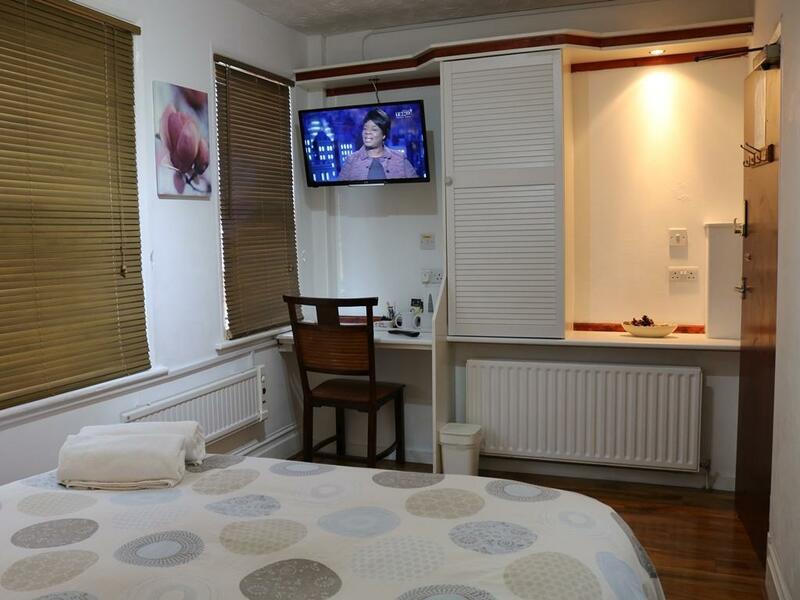 Rooms have free wifi access and have tea/coffee making facilities and TV. 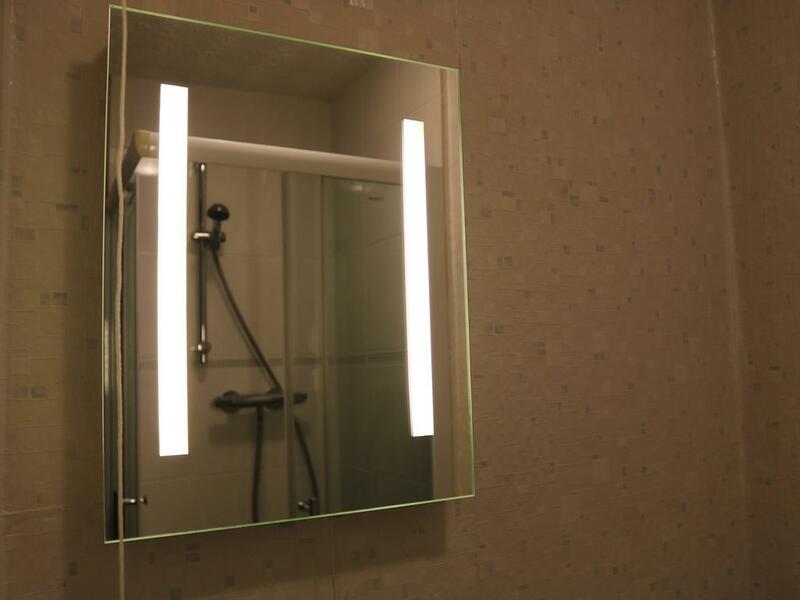 In some of the room, the shower en-suite is located behind sliding big mirrors doors. 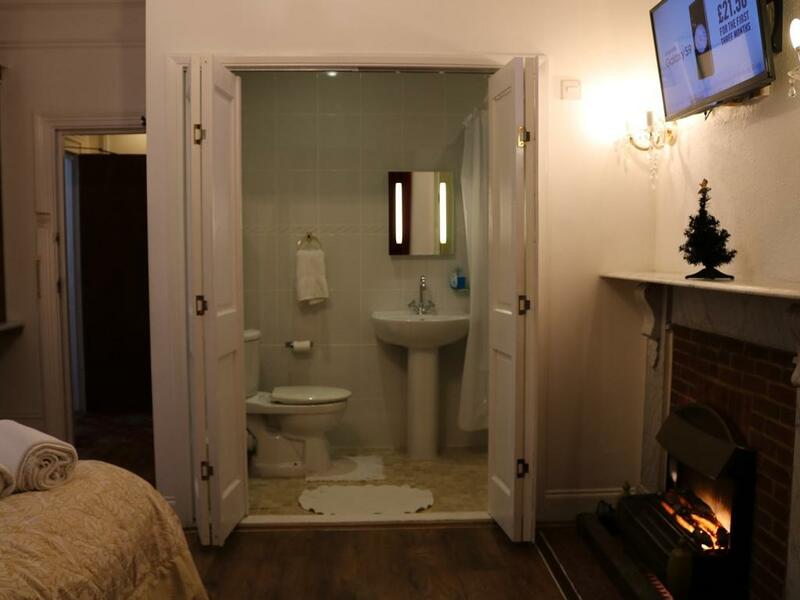 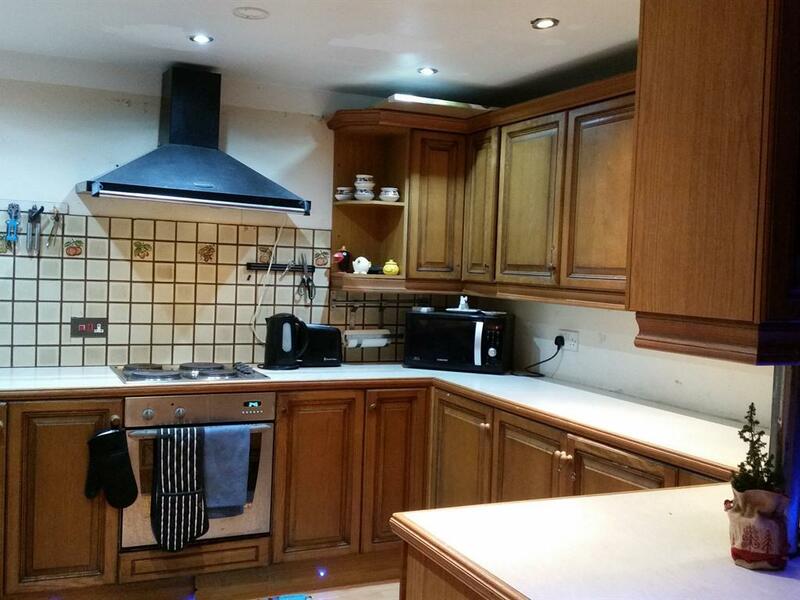 A larger family room with a double and and a single bed and ensuite shower. Rooms have free wifi access and have tea/coffee making facilities and TV. 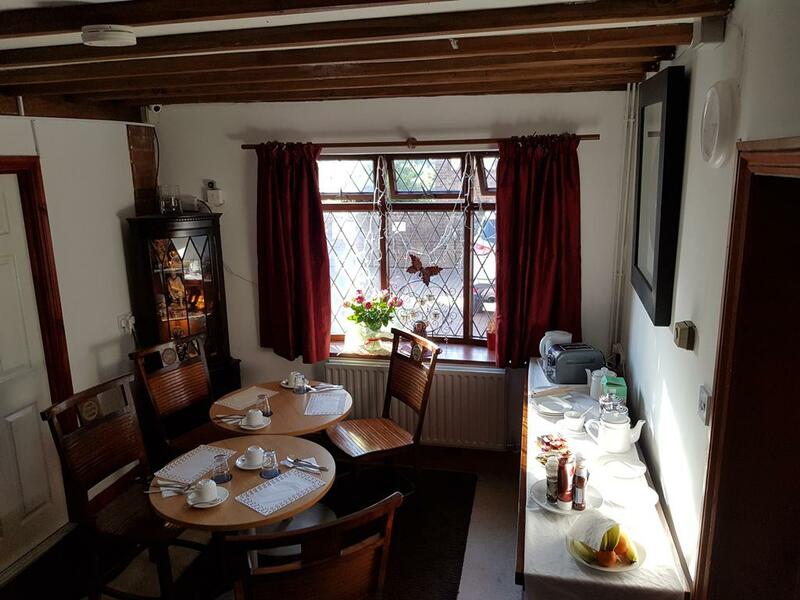 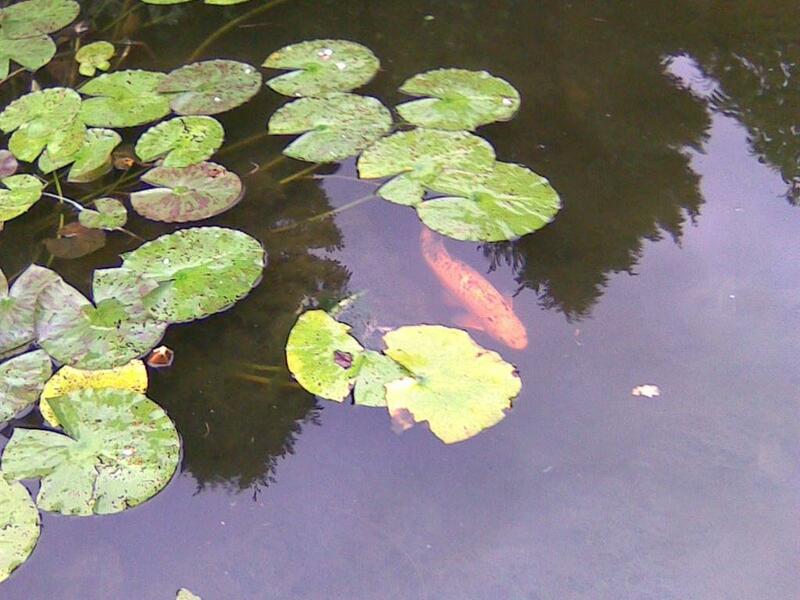 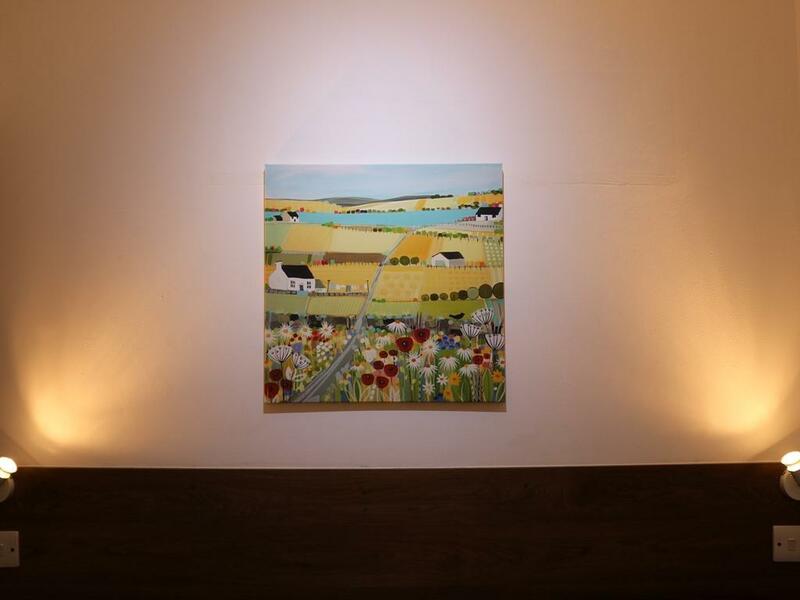 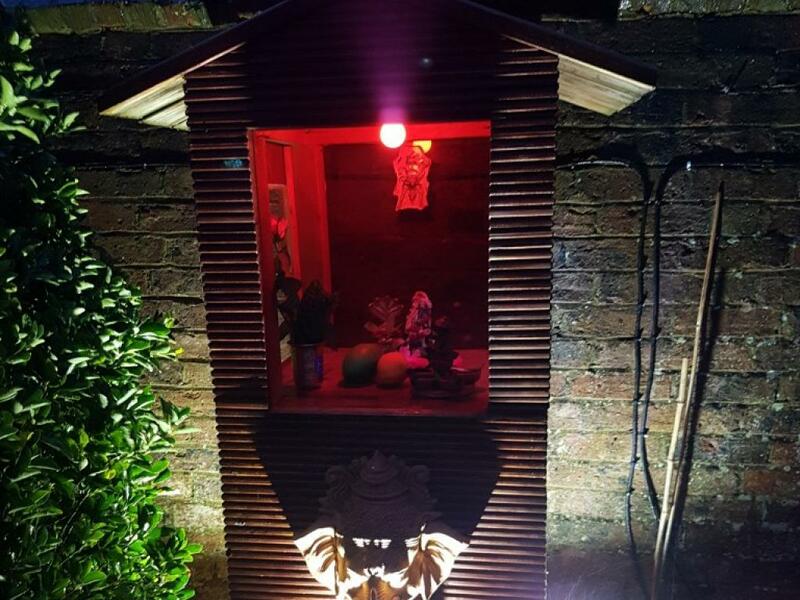 This room overlooks the beautiful garden at the back of the property and the fish pond. 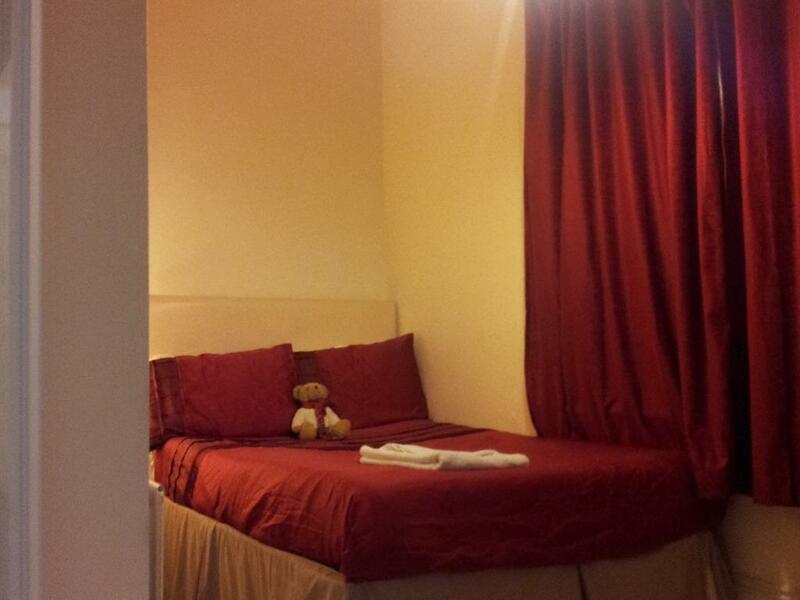 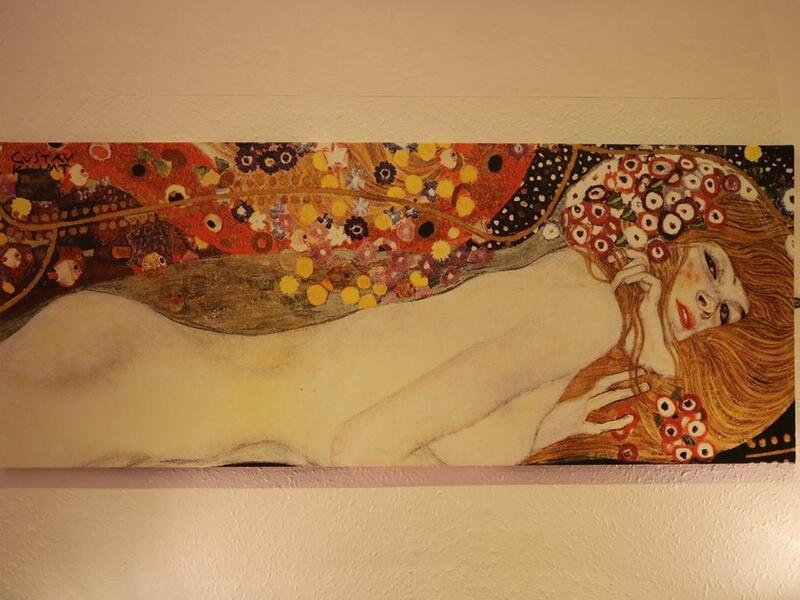 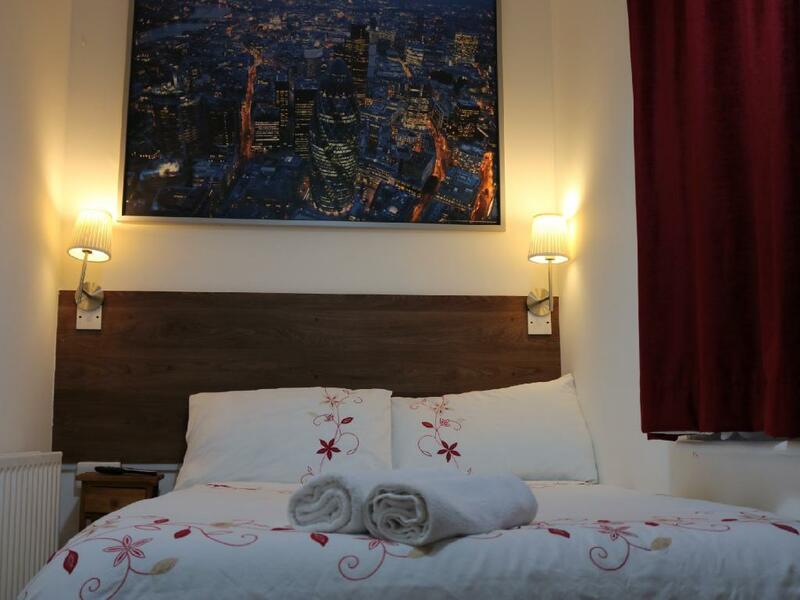 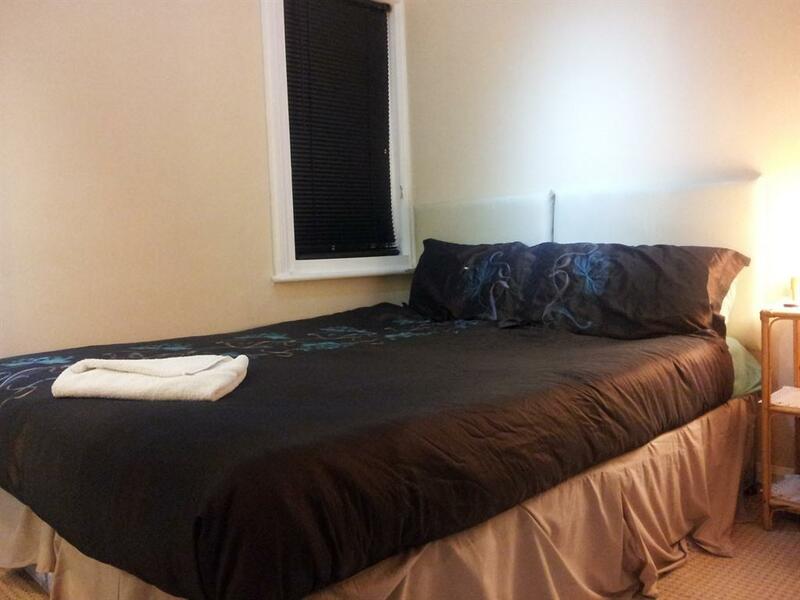 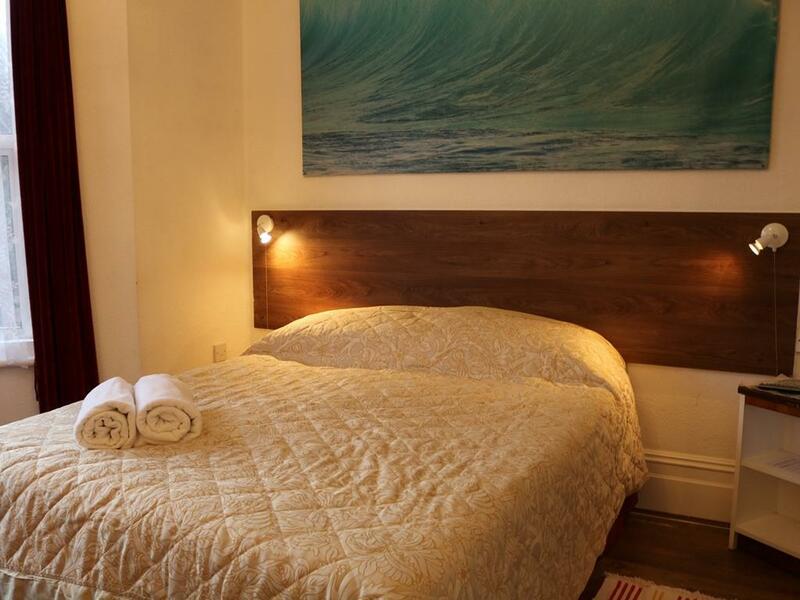 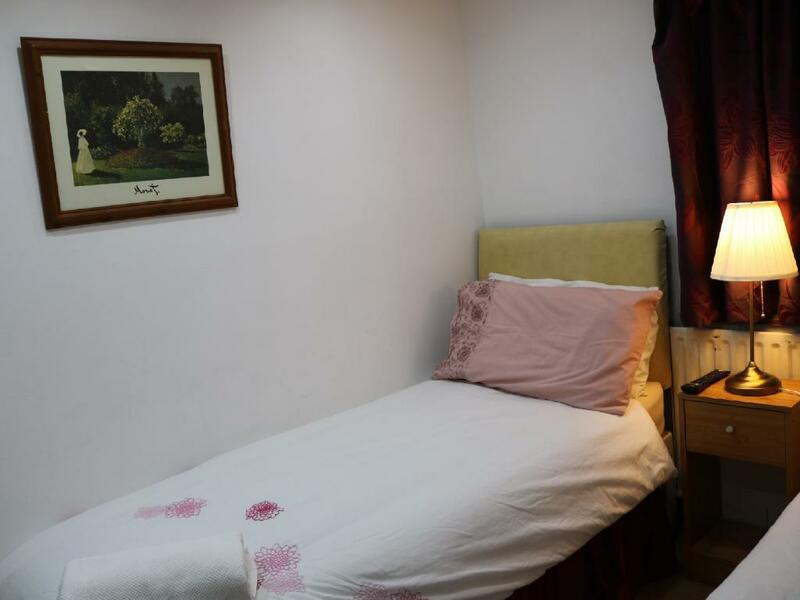 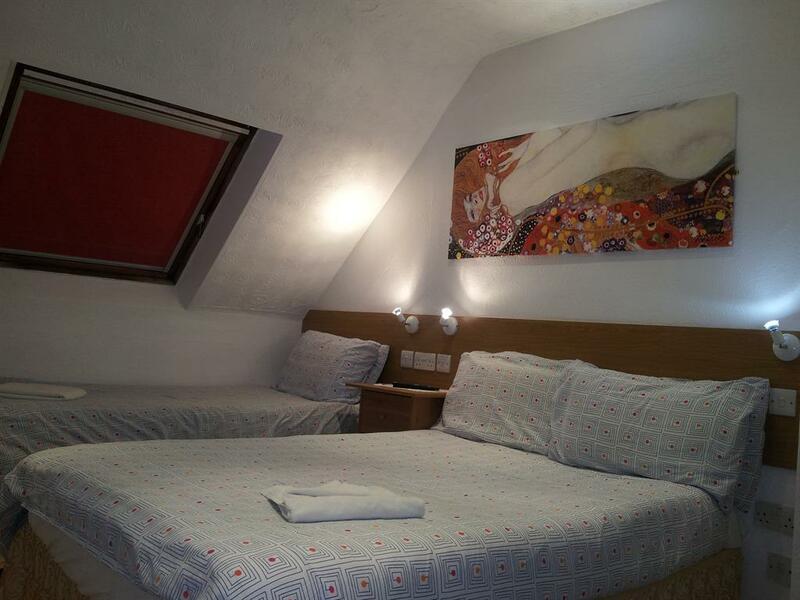 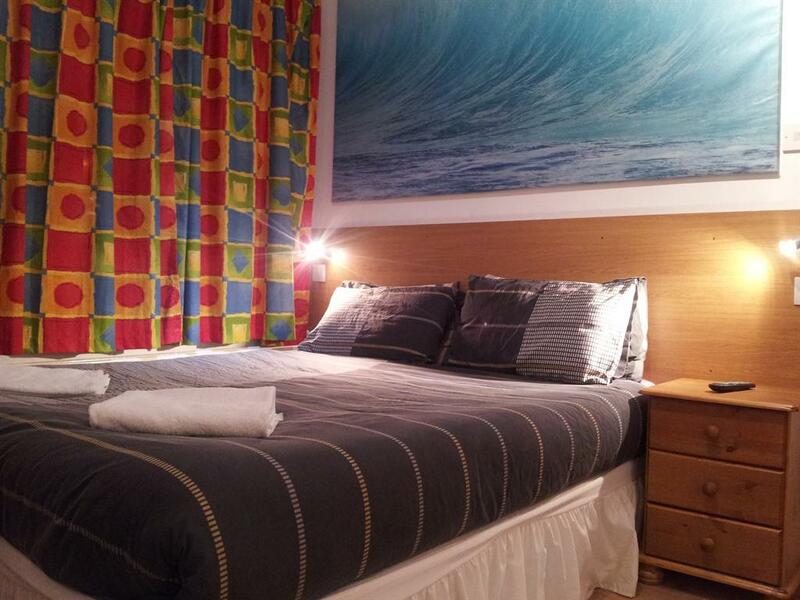 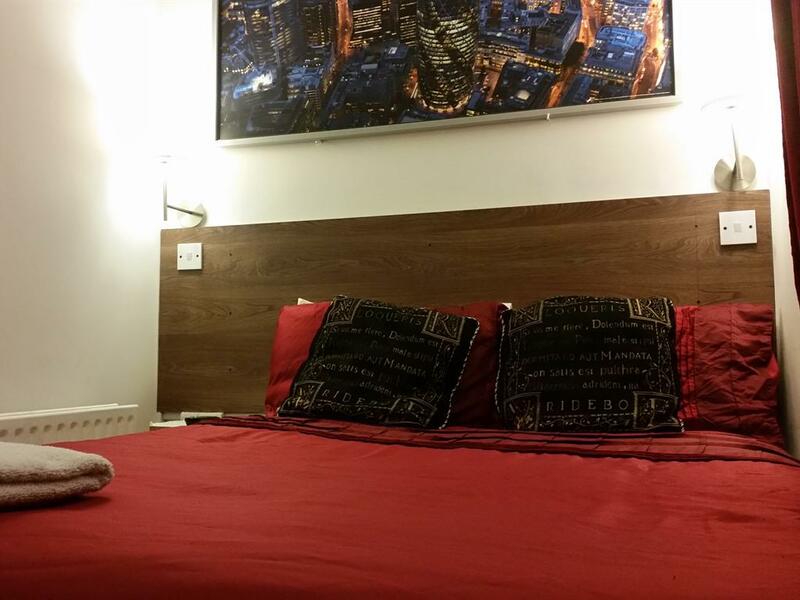 The room can be set up as a king bed and single bed or three single bed. 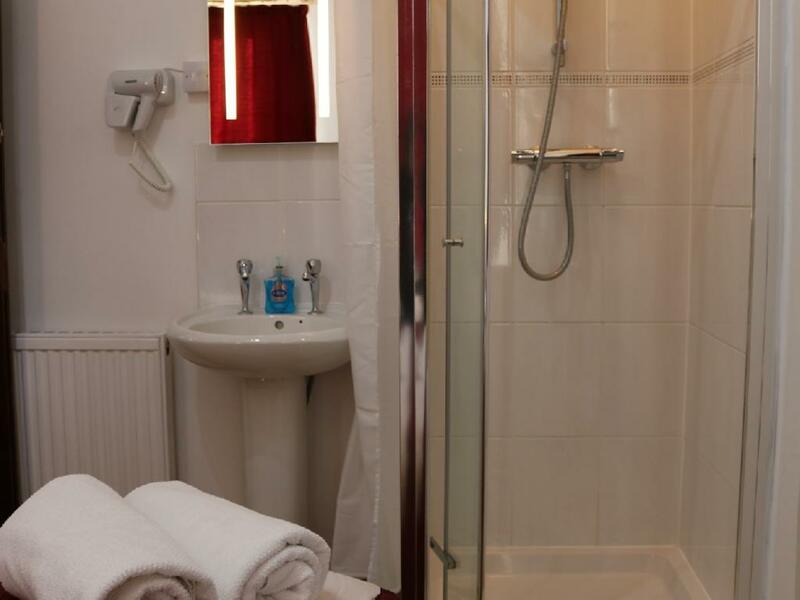 The bathroom / shower en-suite is only shared with one room. 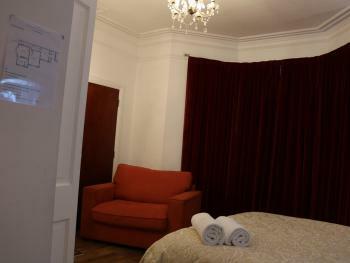 There is an extra cloak room attached to this room on the ground floor. 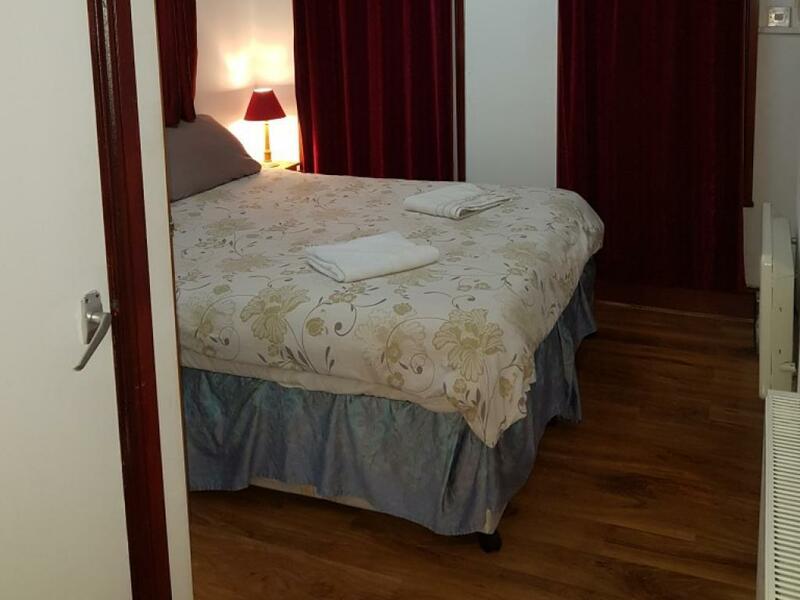 This is a ground floor family room and can be extended by opening the middle door to lead to another room ( to be paid separately ), which can be set up as a king bed or two twin, as well. 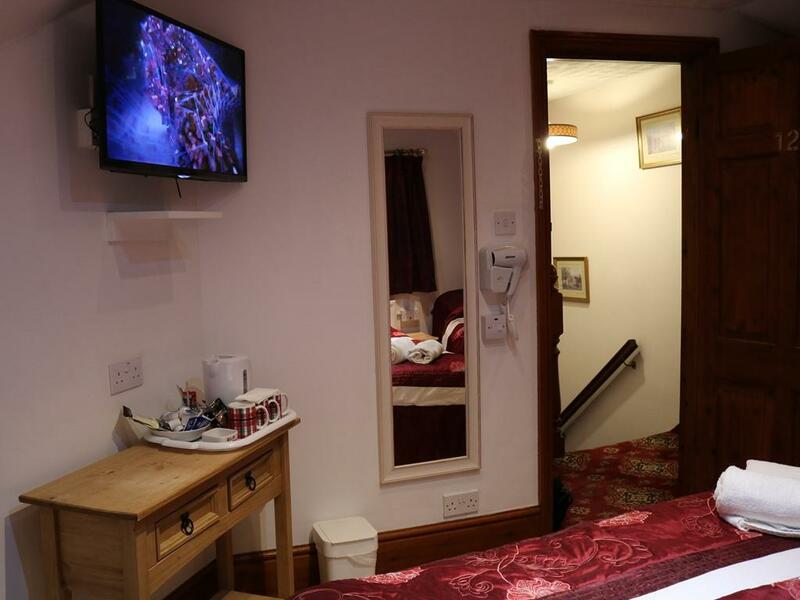 The room is also wheelchair accessed. 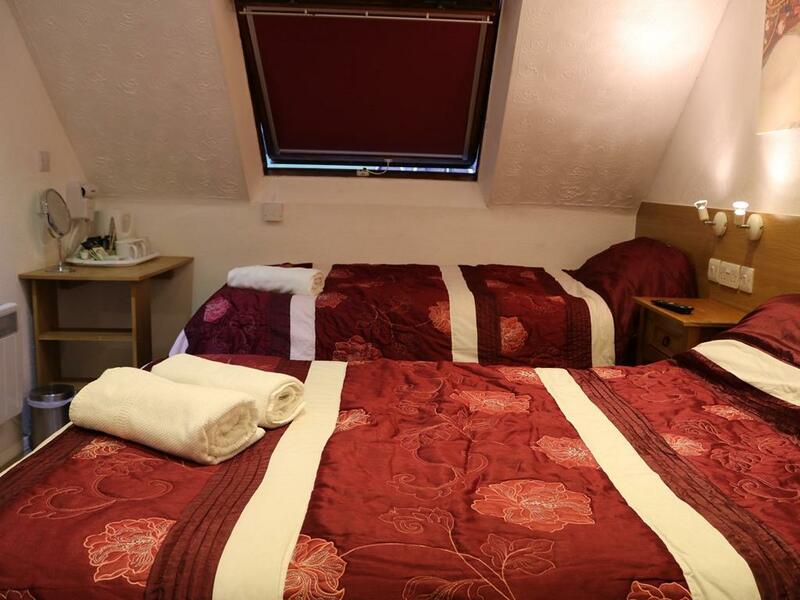 It also has a sofa bed; therefore three adult can sleep either on three single or kingsize bed and a sofa bed. 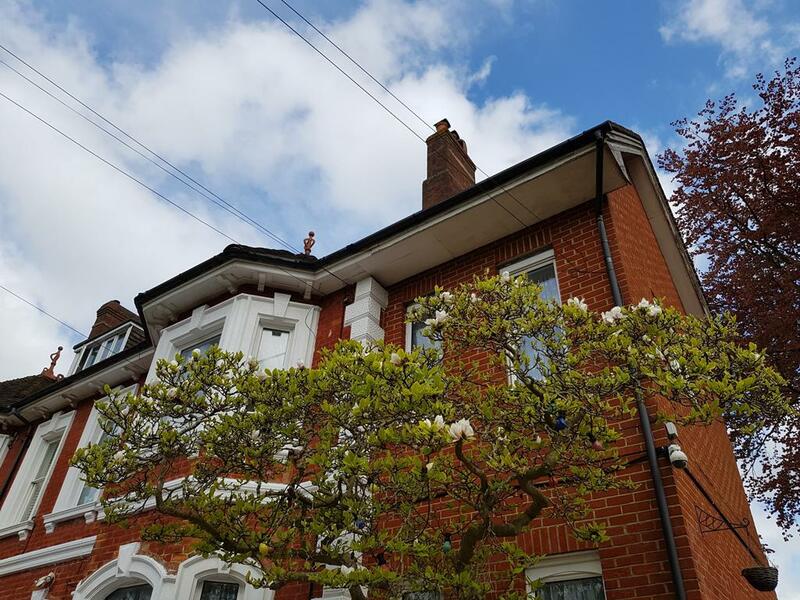 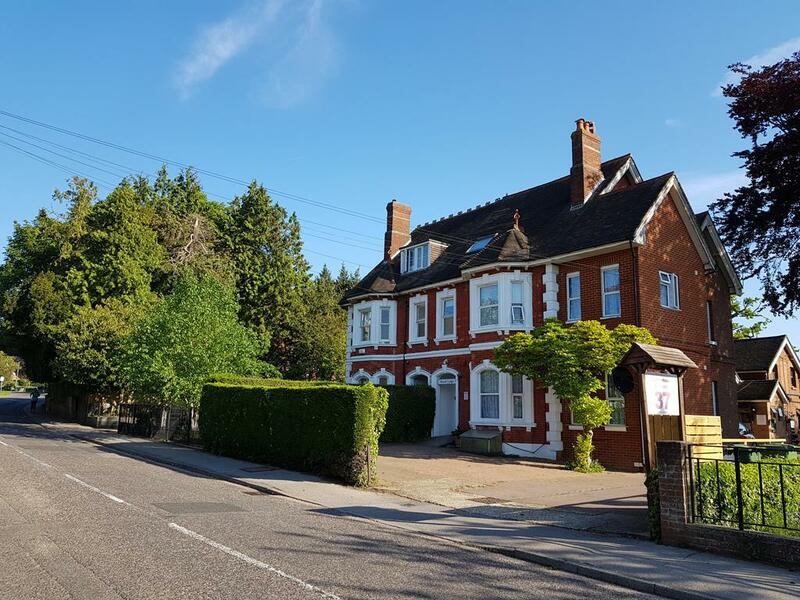 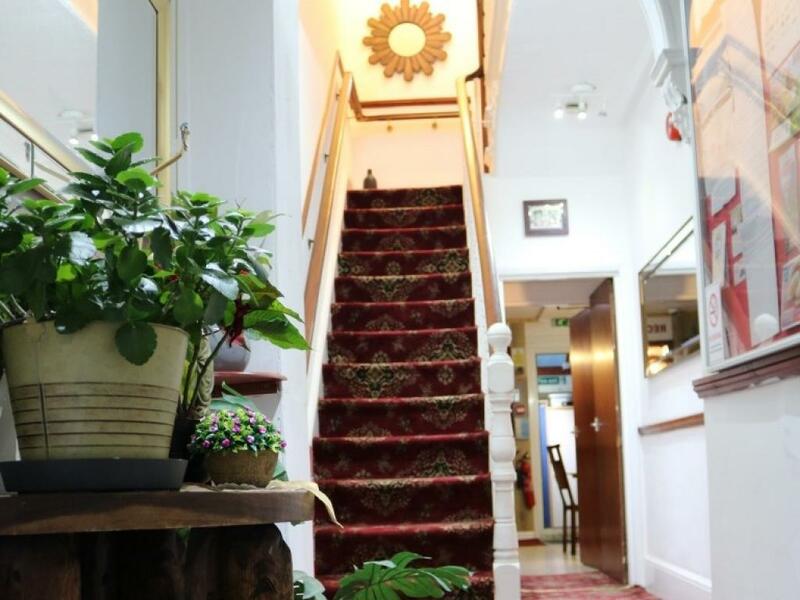 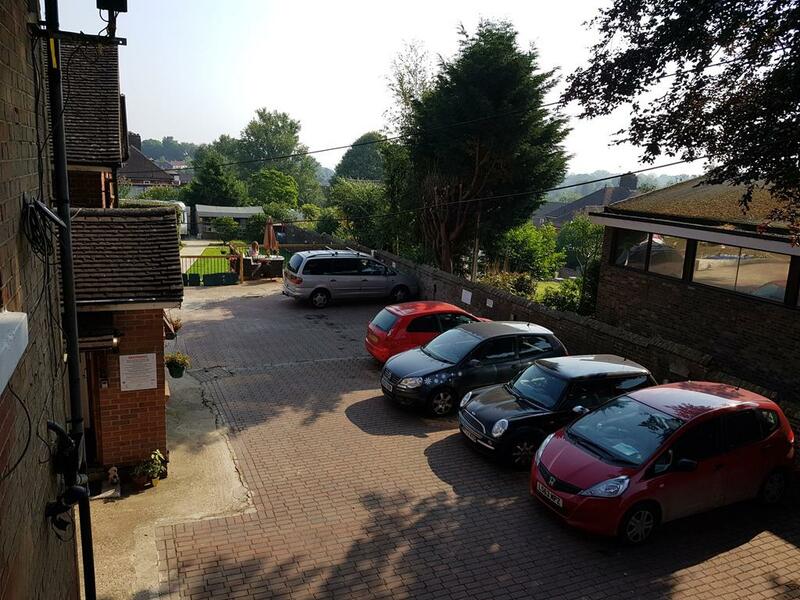 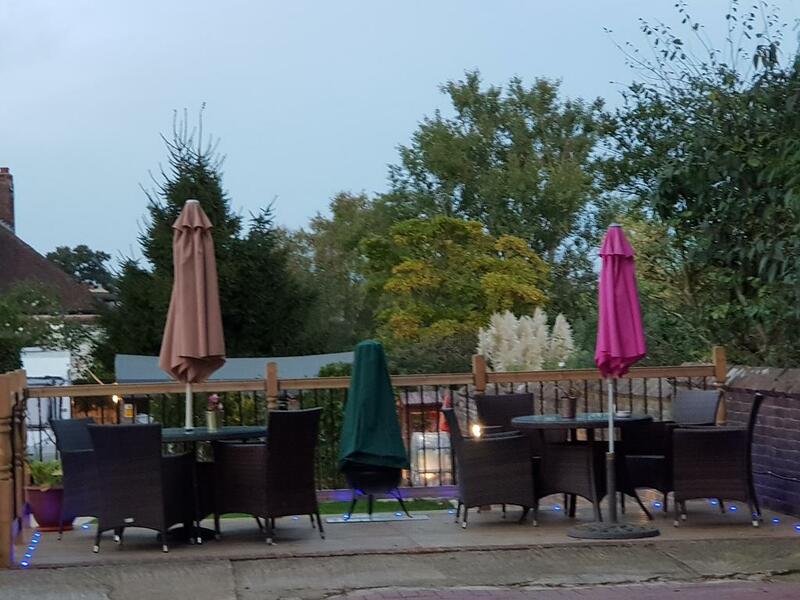 Within walking distance to the shops, 24hr supermarket, bank, post office, off-license and take-away restaurants.Access to Westfield’s Tunbridge Wells Shopping Centre is by bus routes. 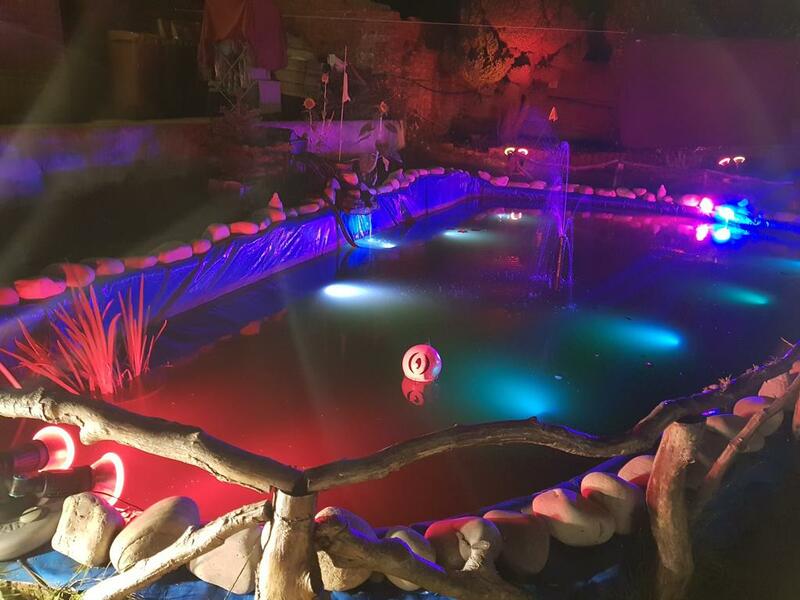 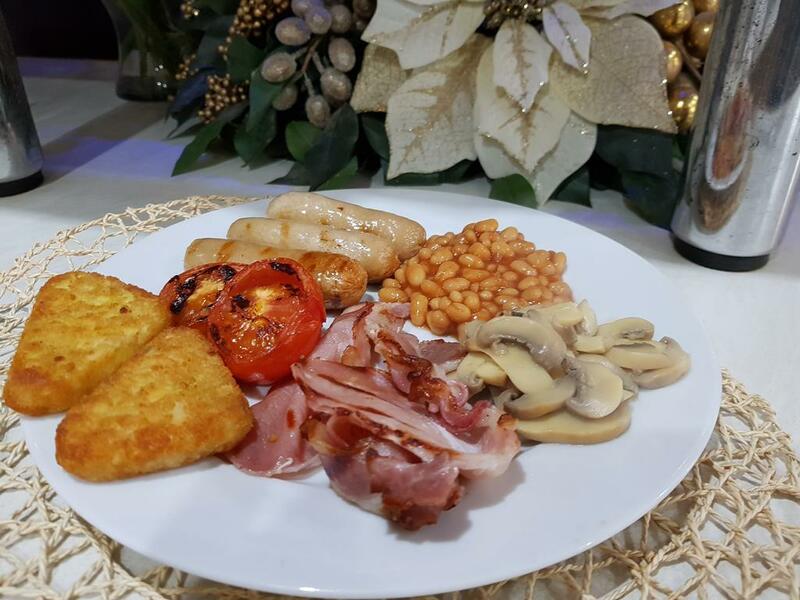 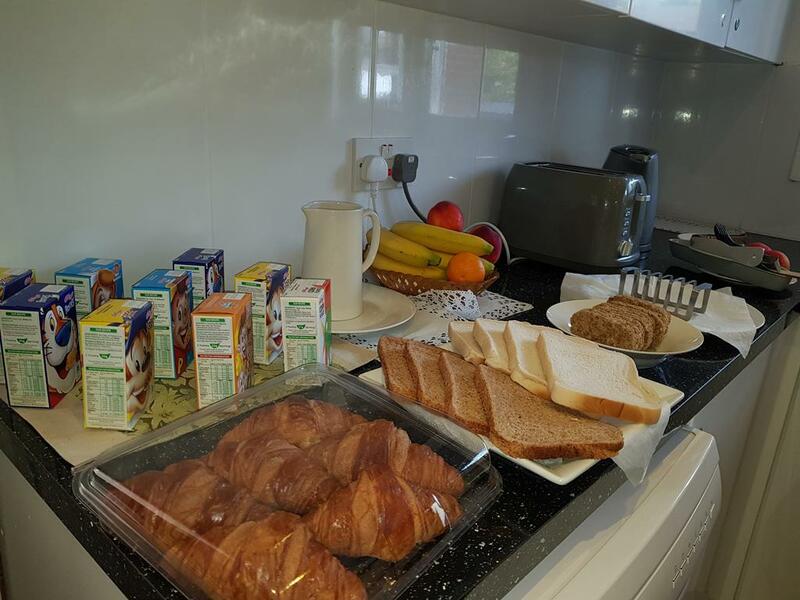 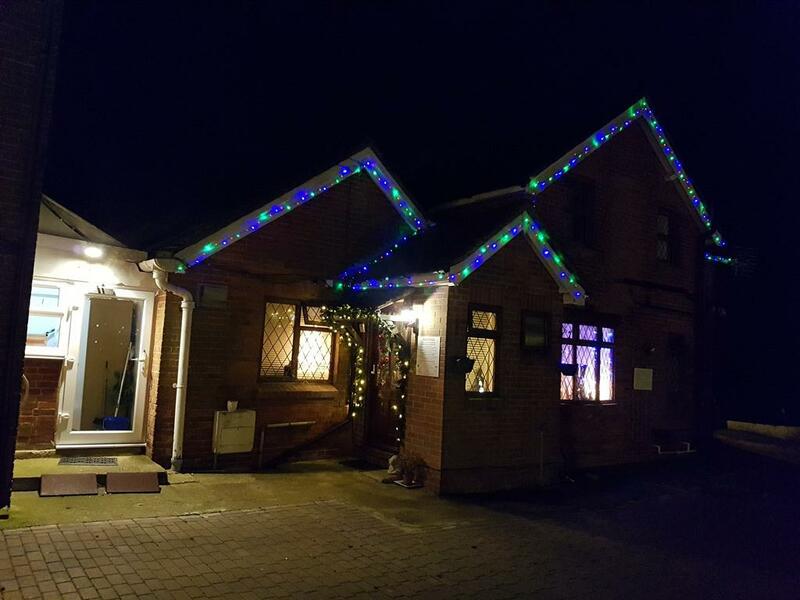 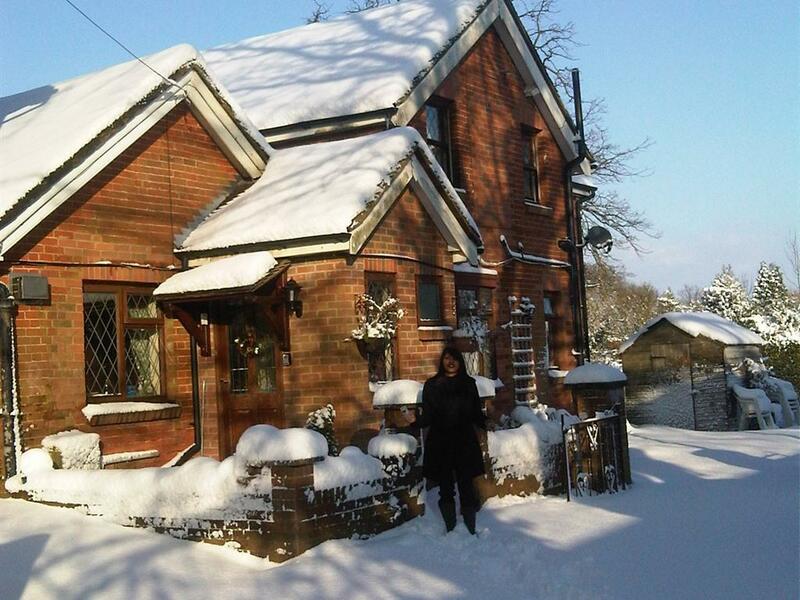 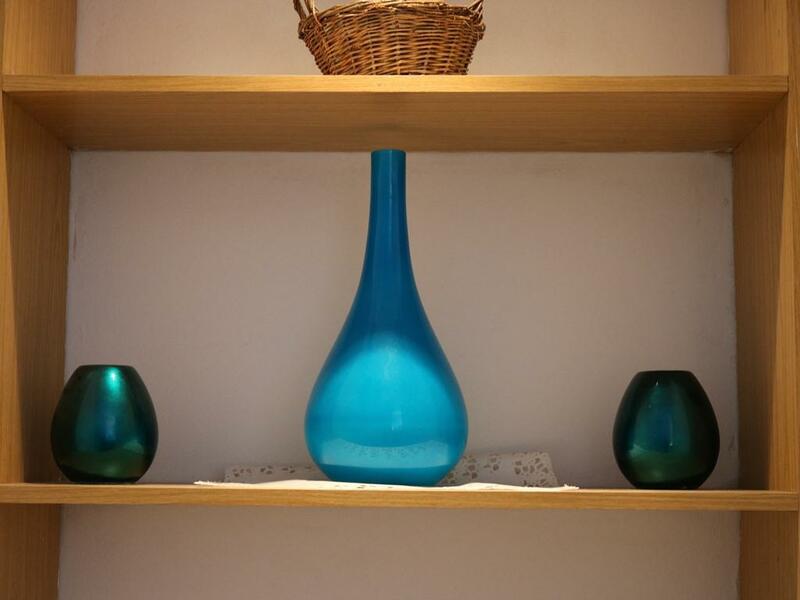 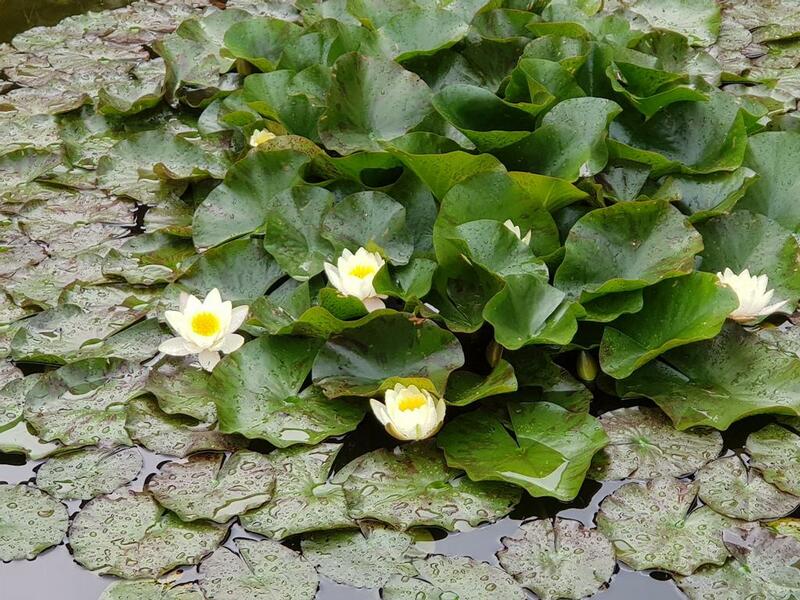 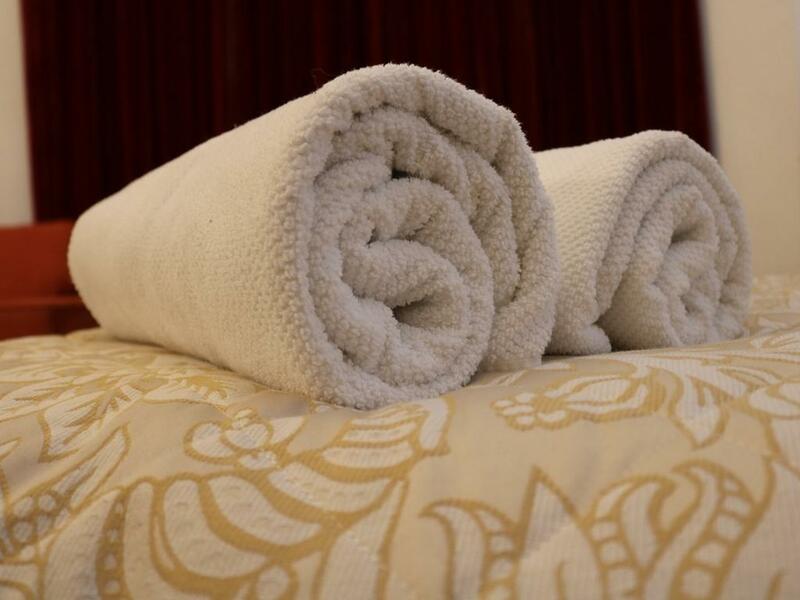 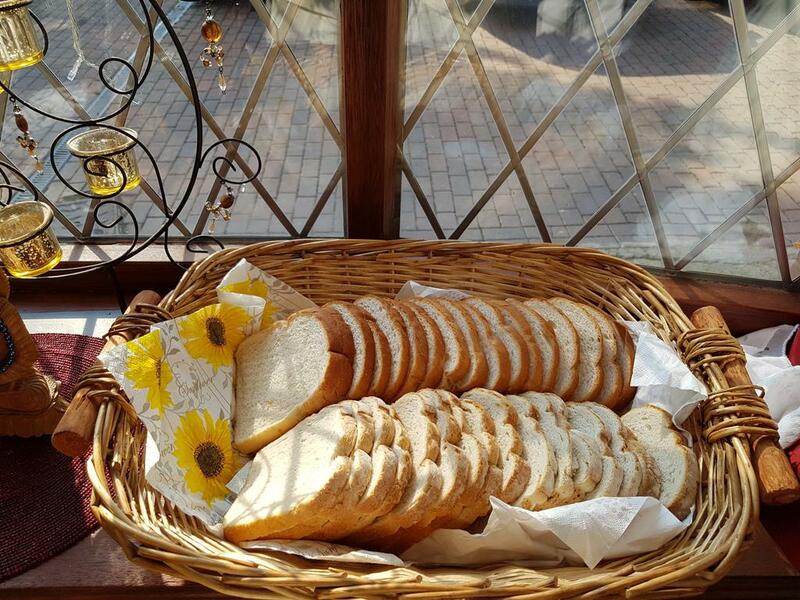 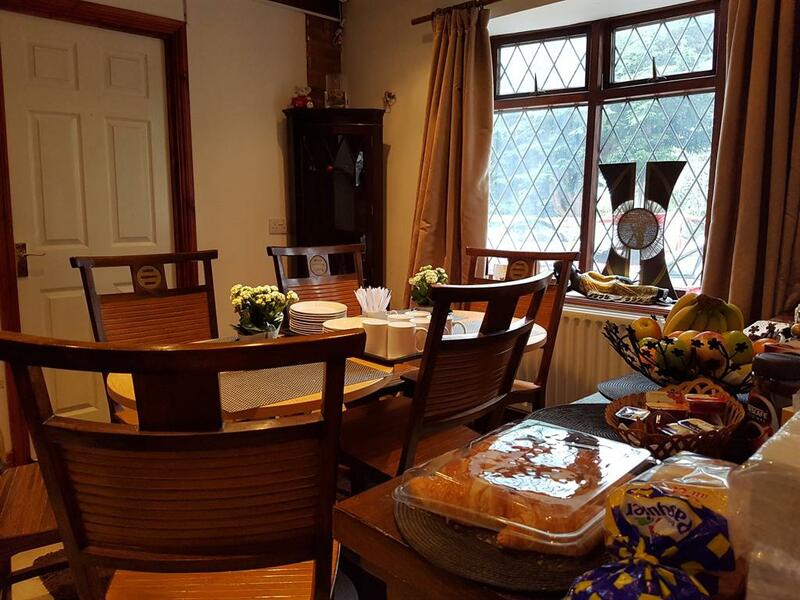 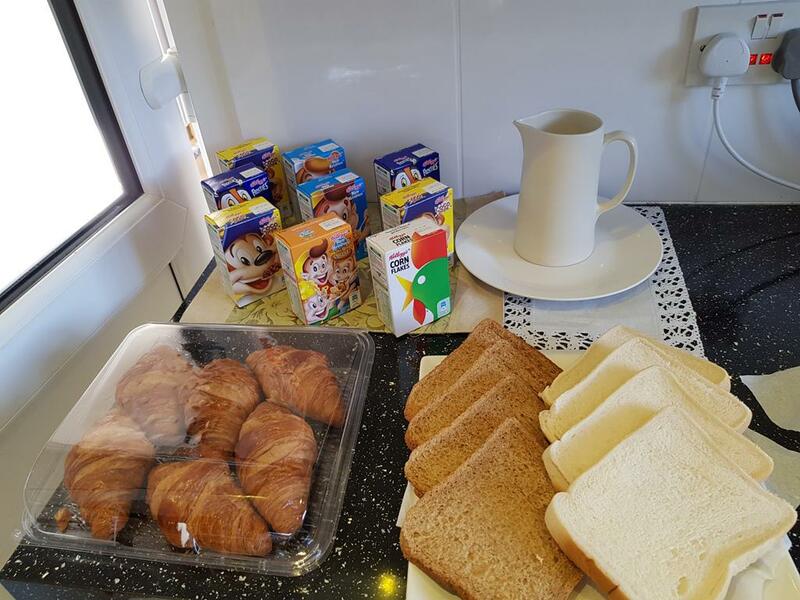 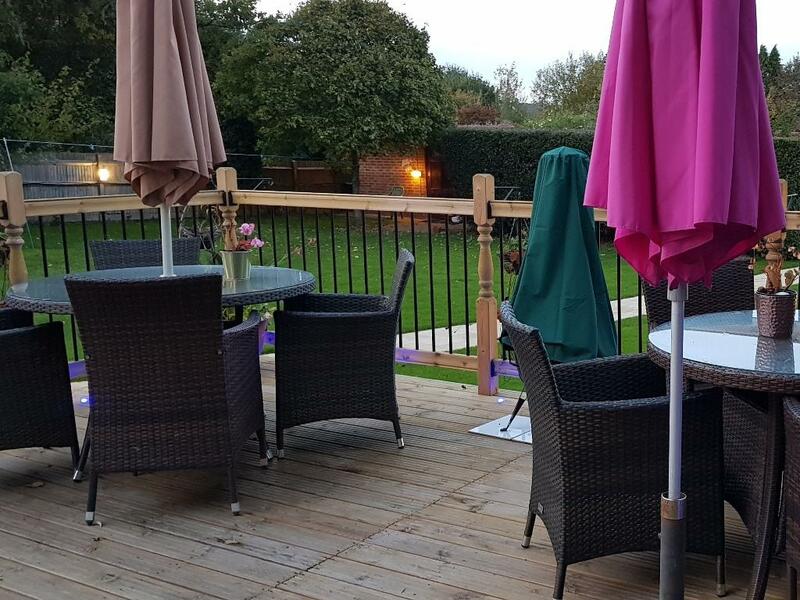 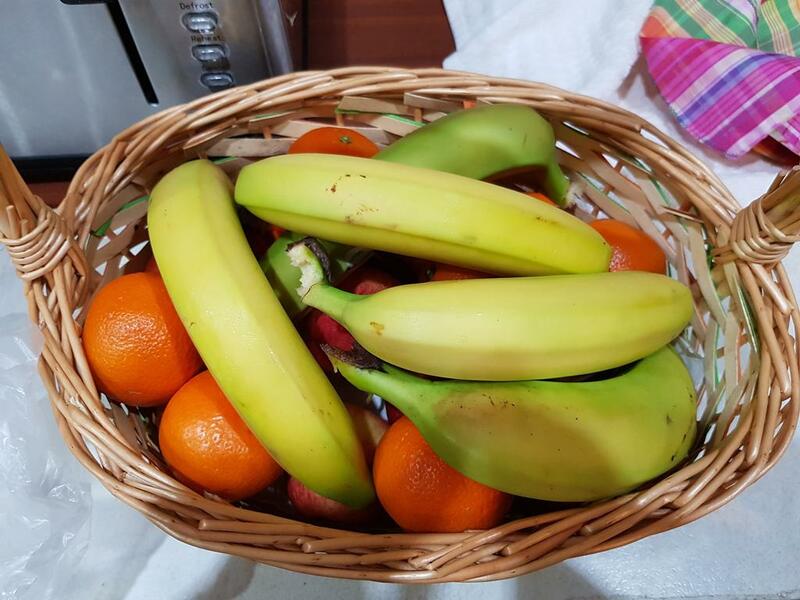 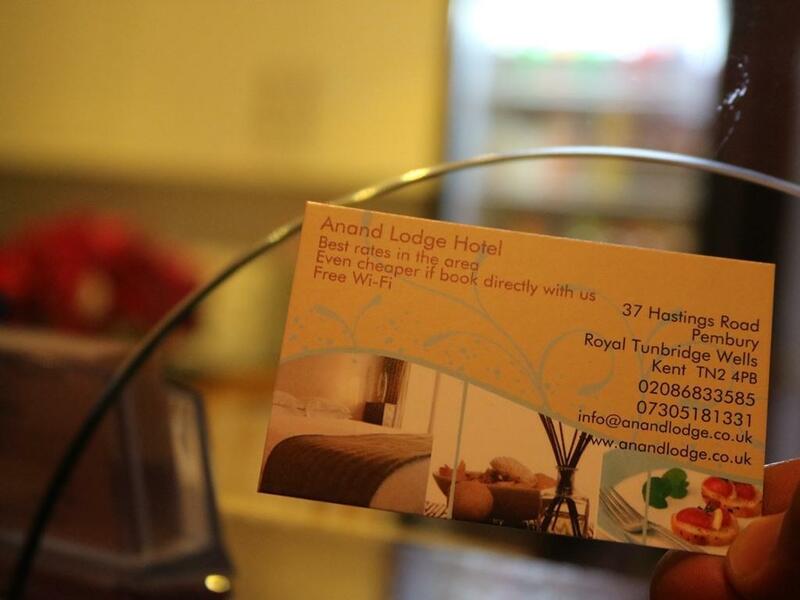 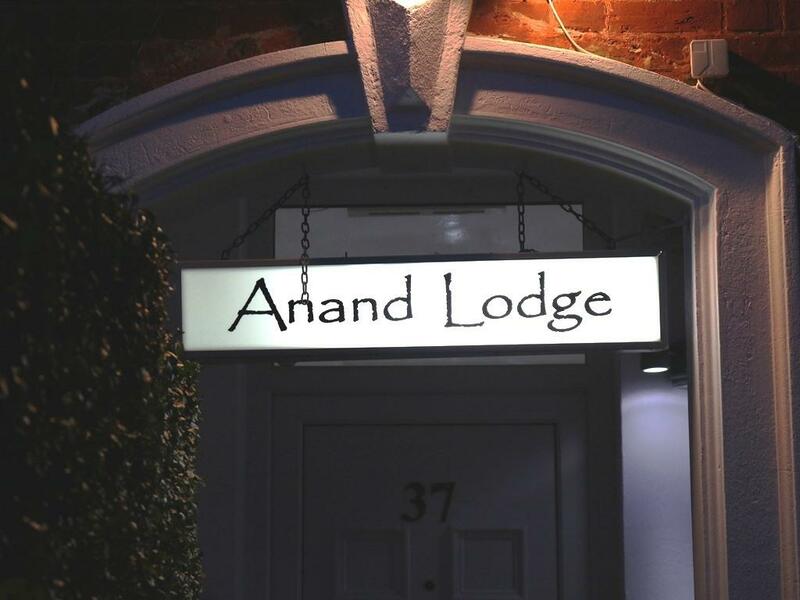 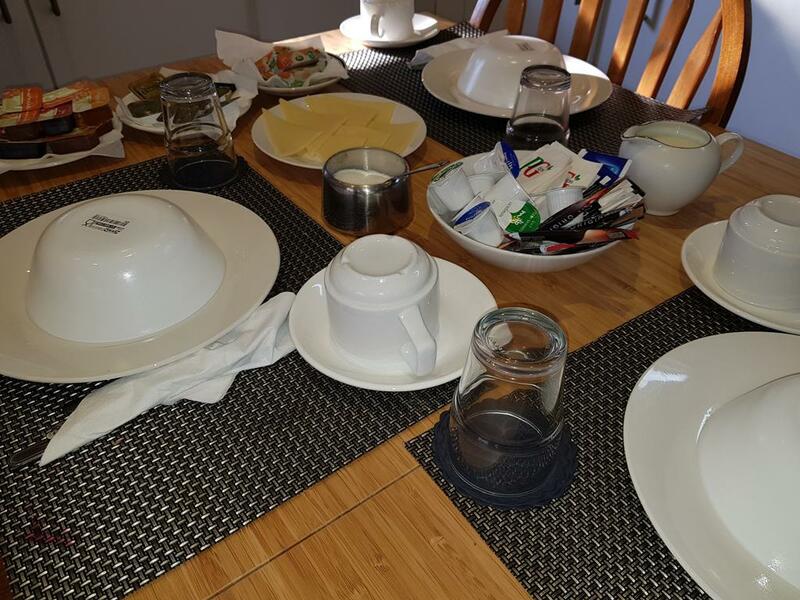 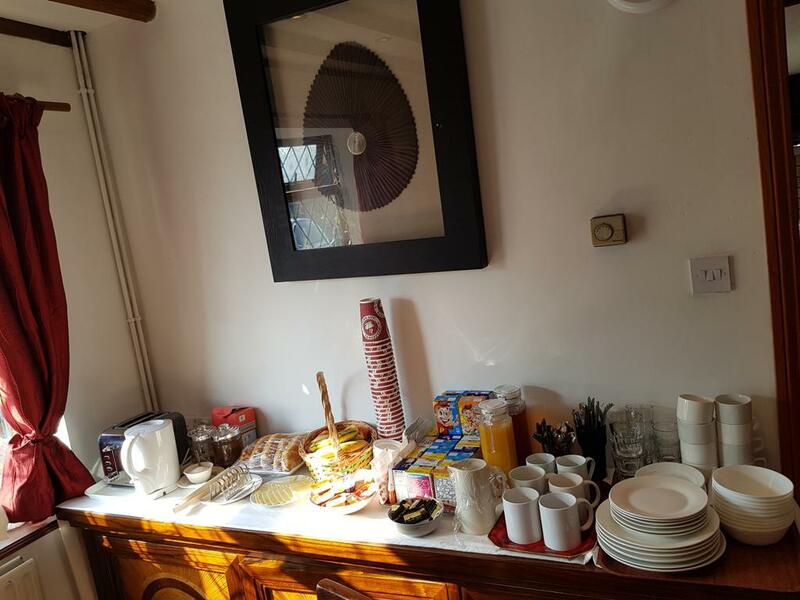 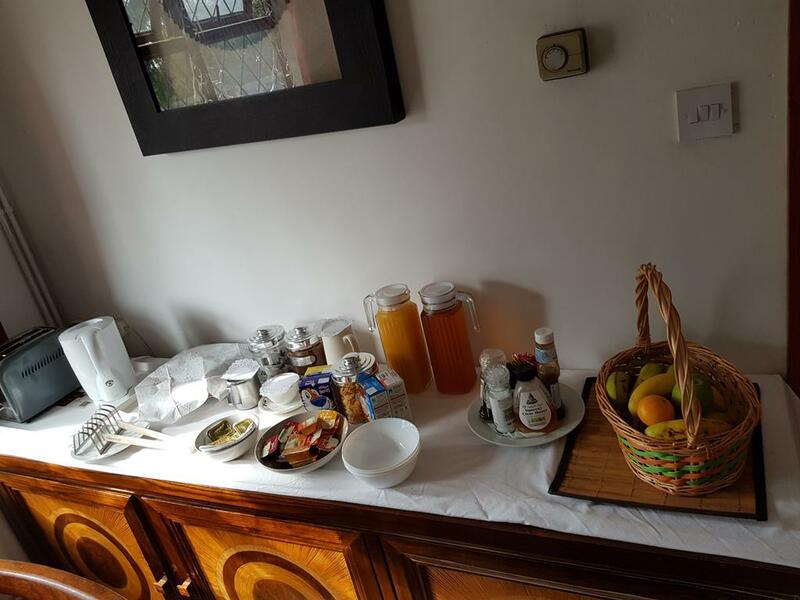 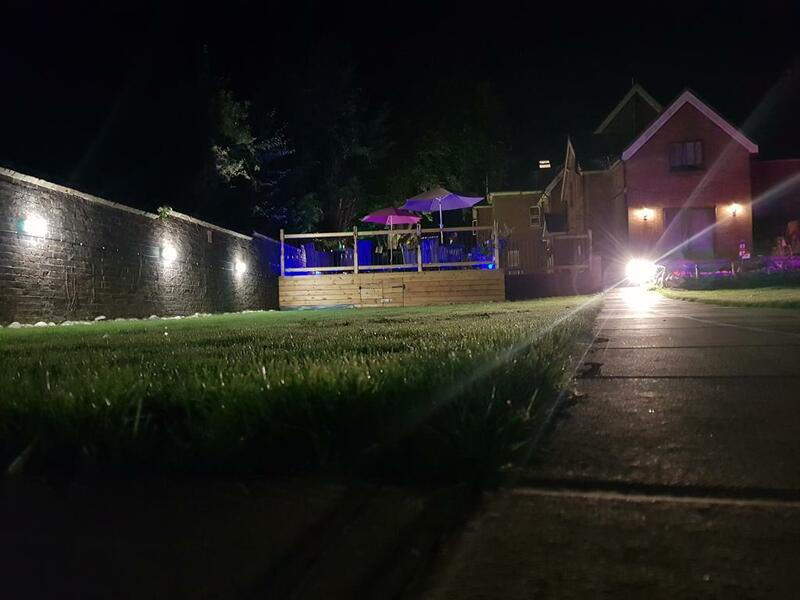 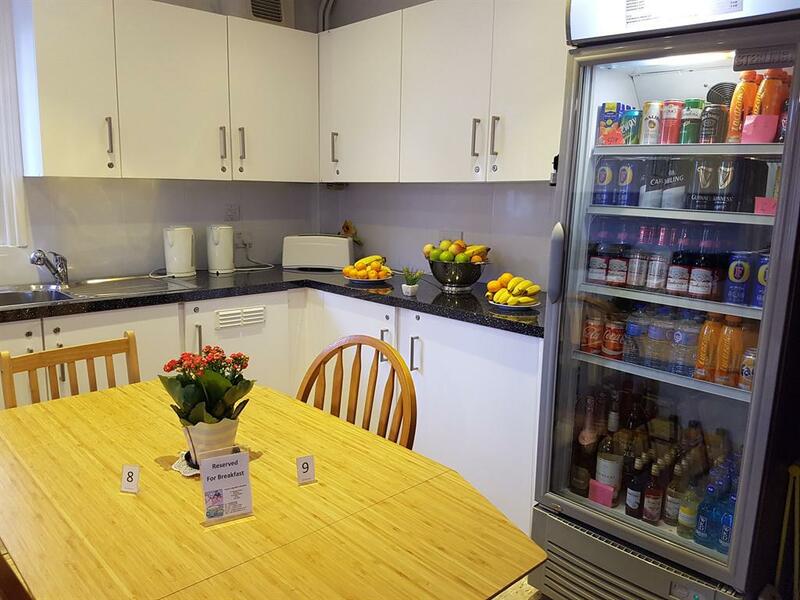 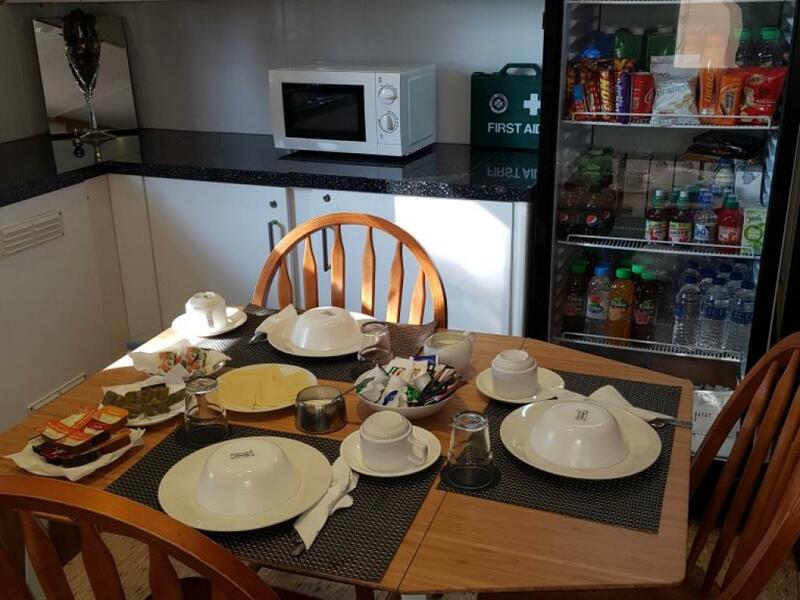 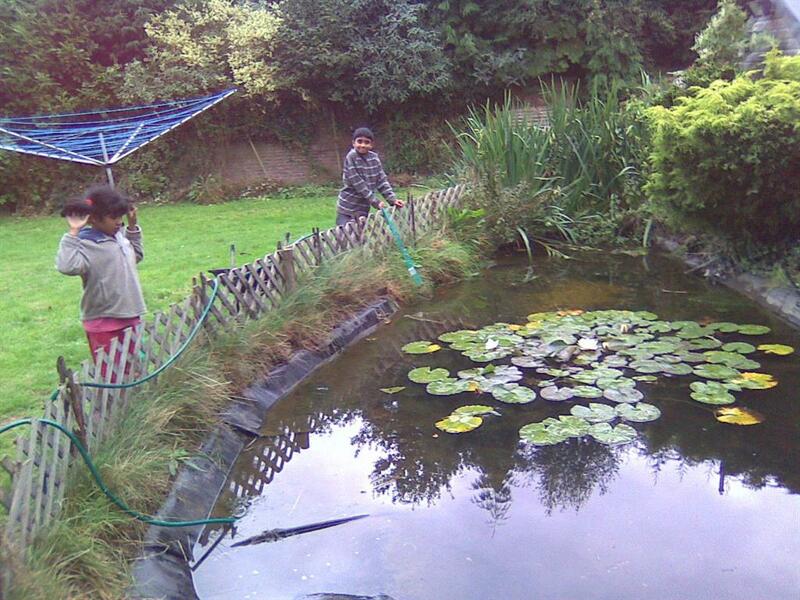 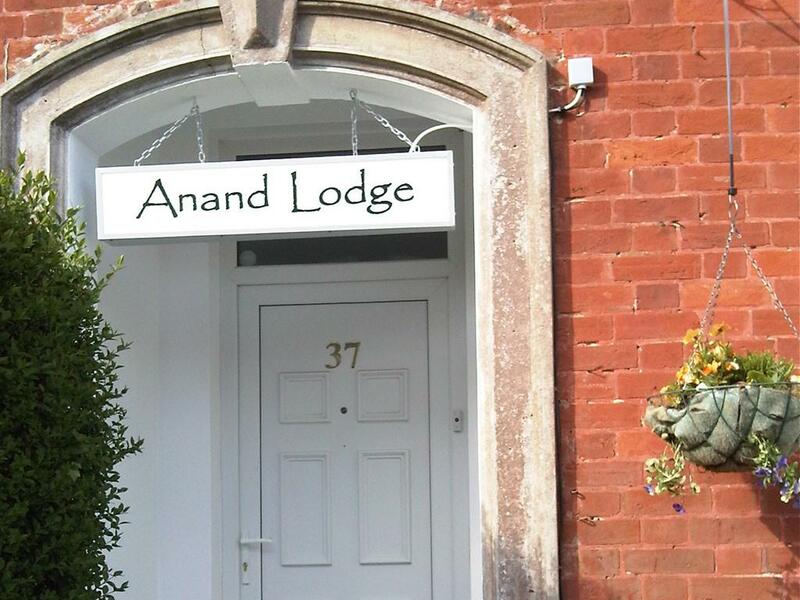 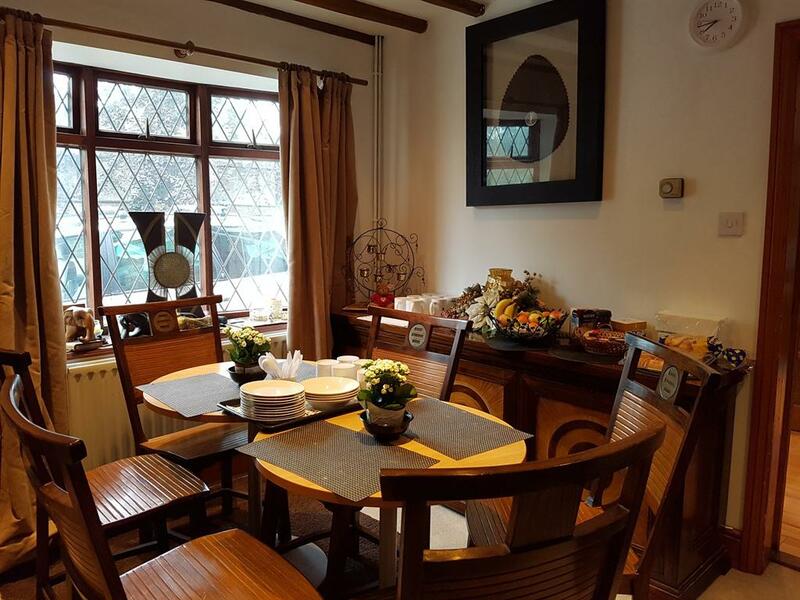 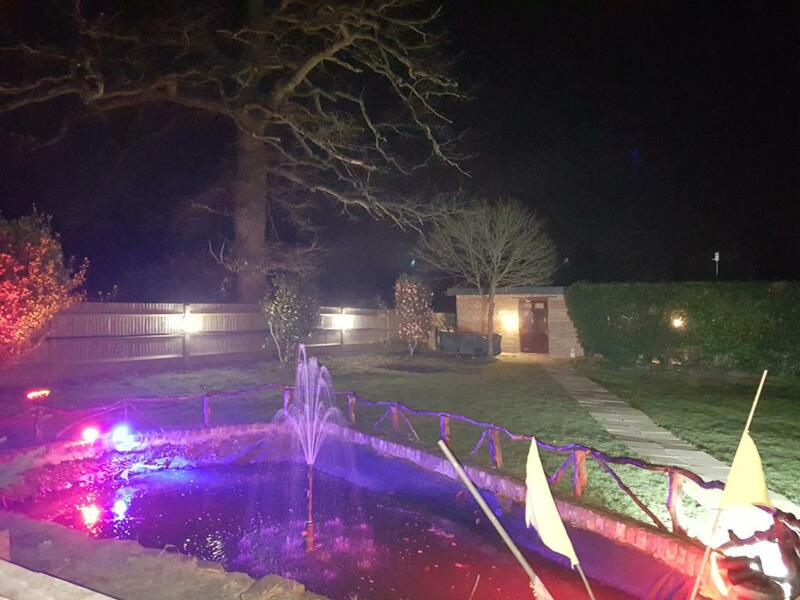 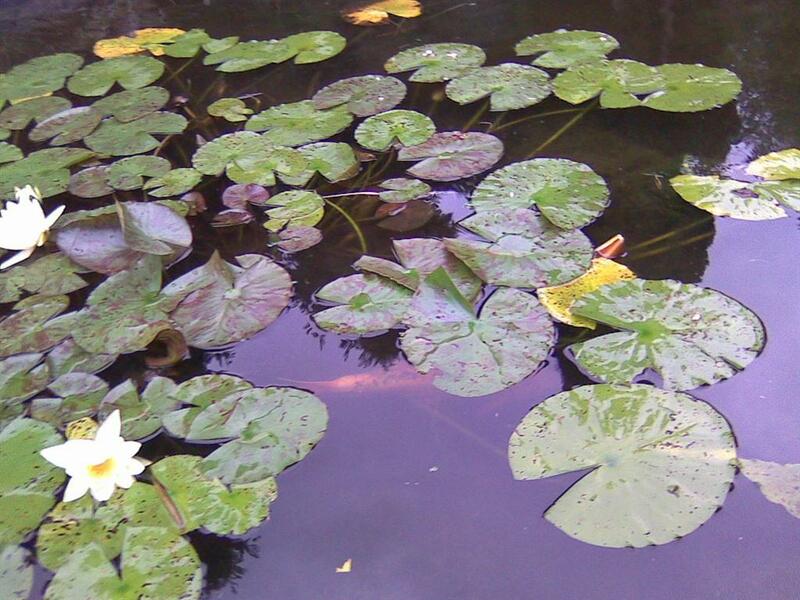 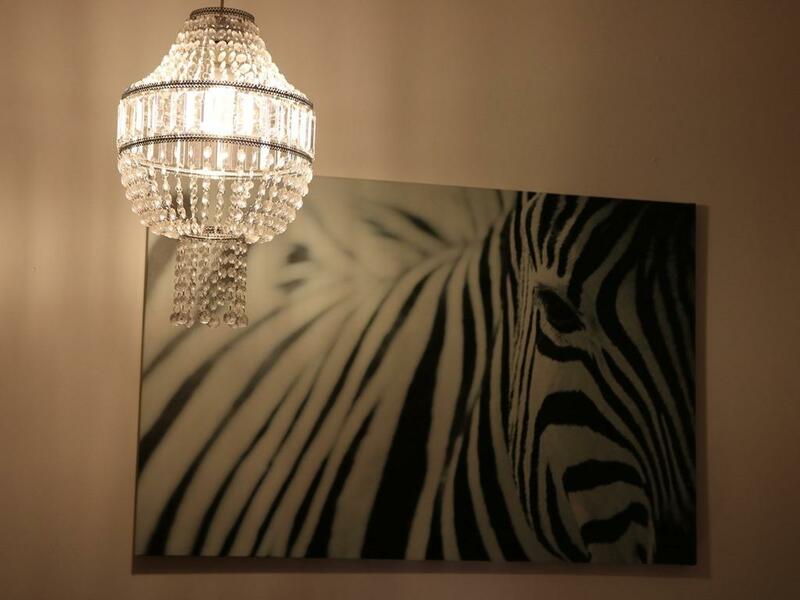 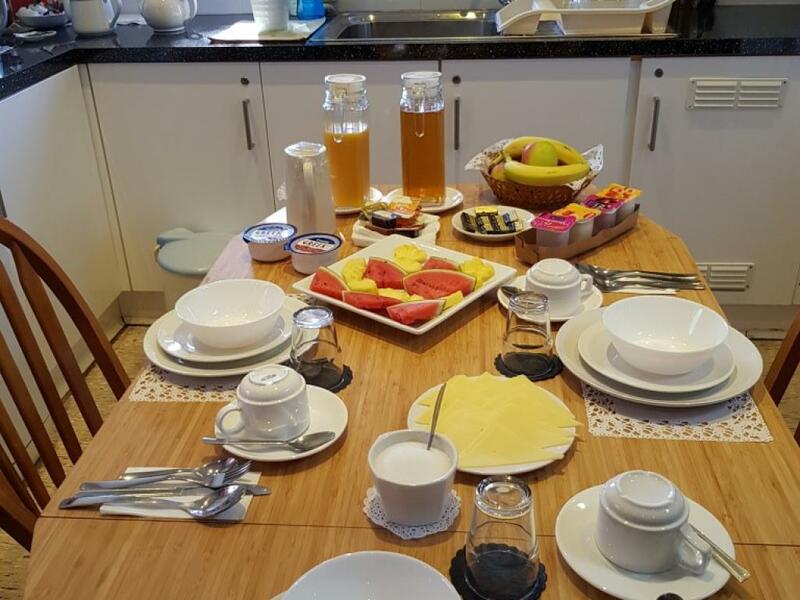 Anand Lodge also provides self-catering facilities on request. 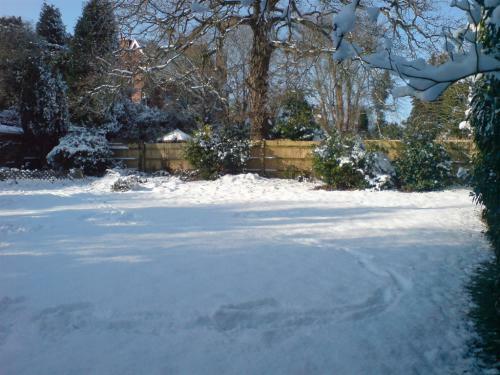 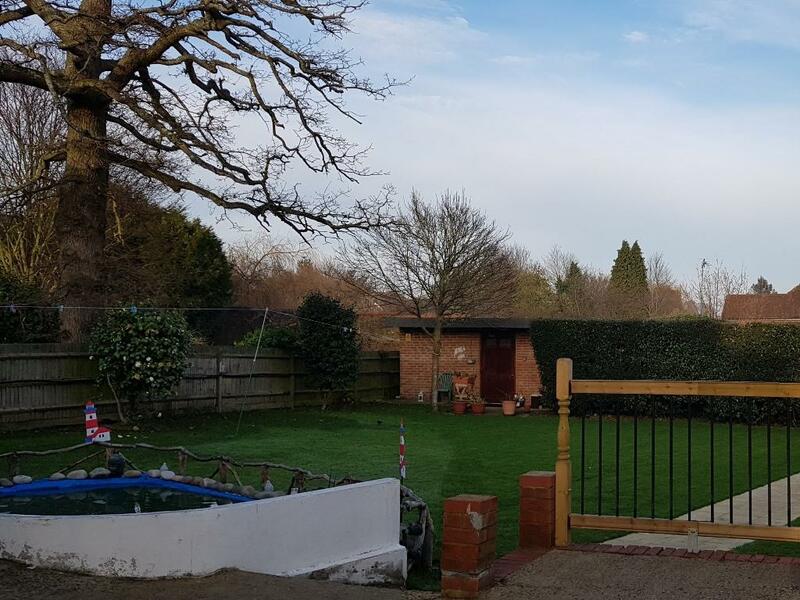 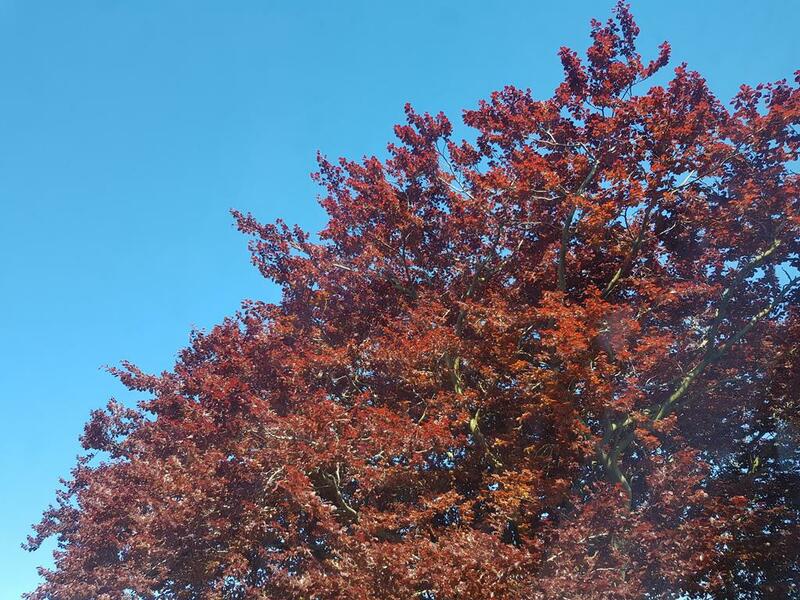 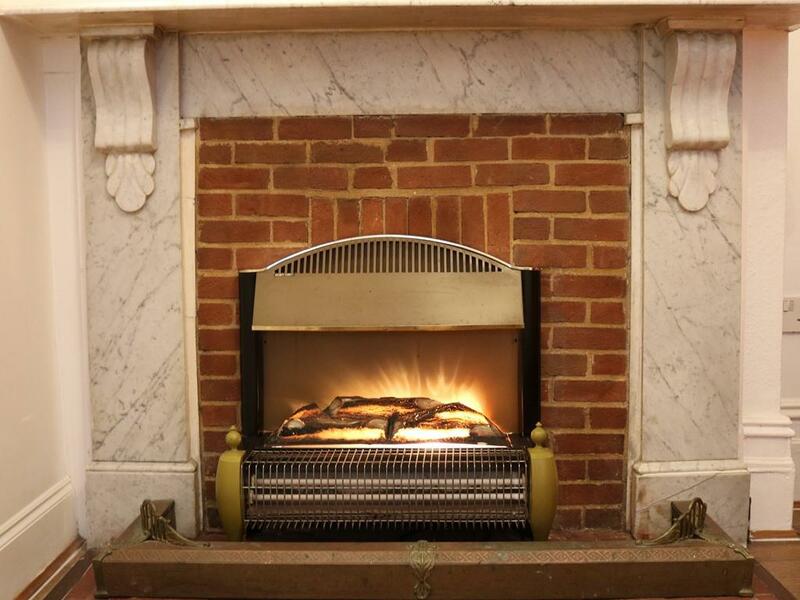 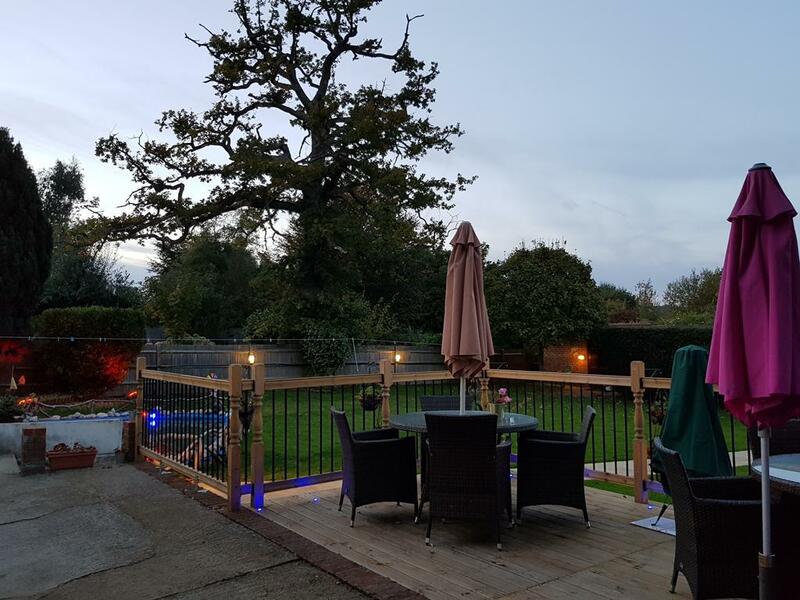 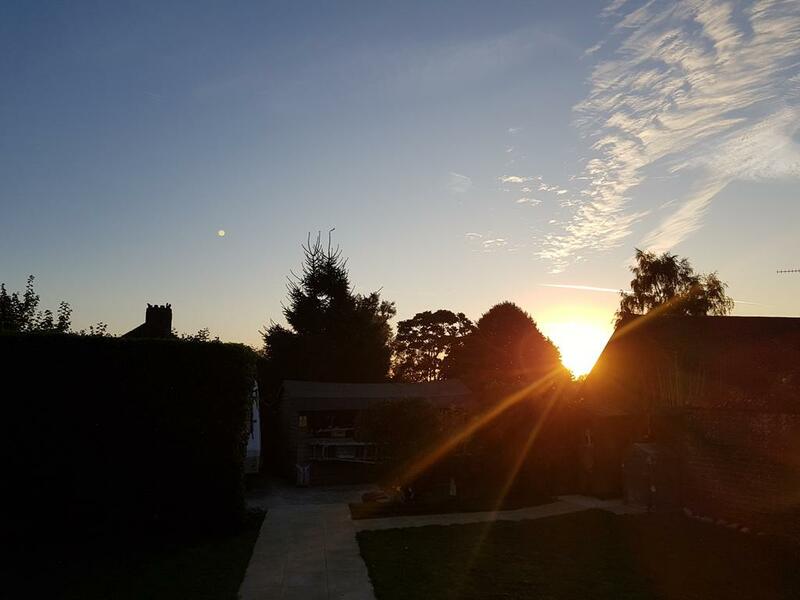 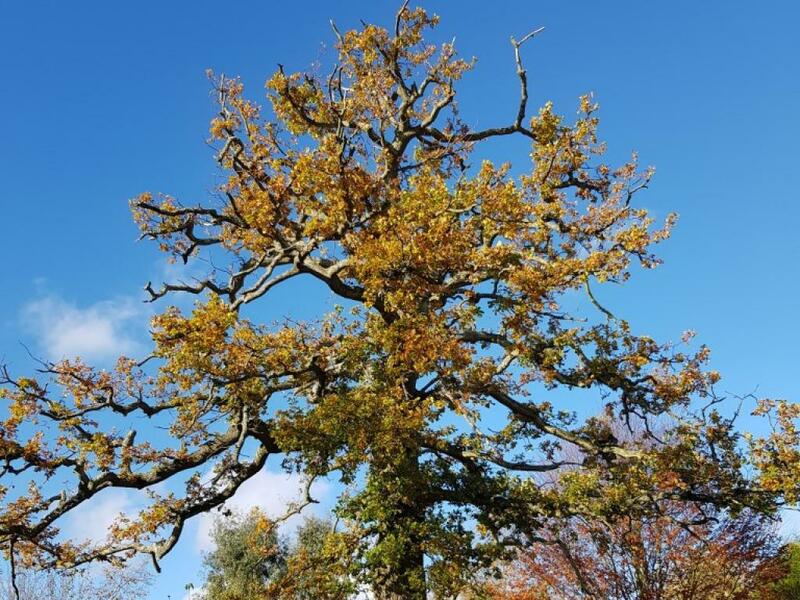 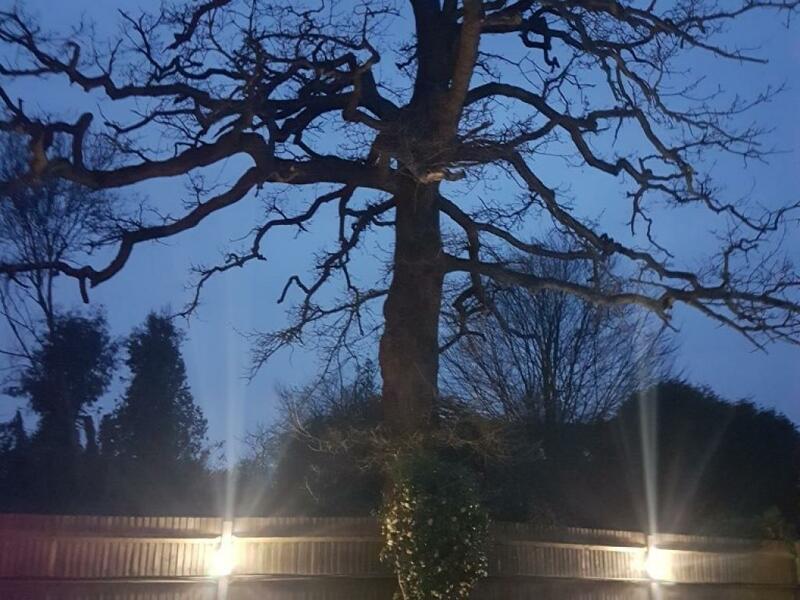 Royal Tunbridge Wells, located just 30 miles south of London, is surrounded by glorious Kent countryside. 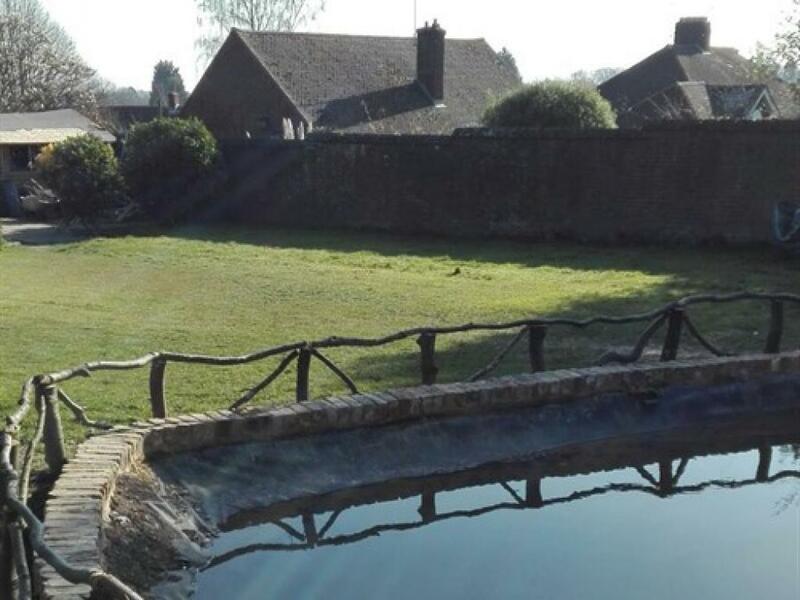 In Georgian times, this historic spa town gained a reputation as the place to see and be seen. 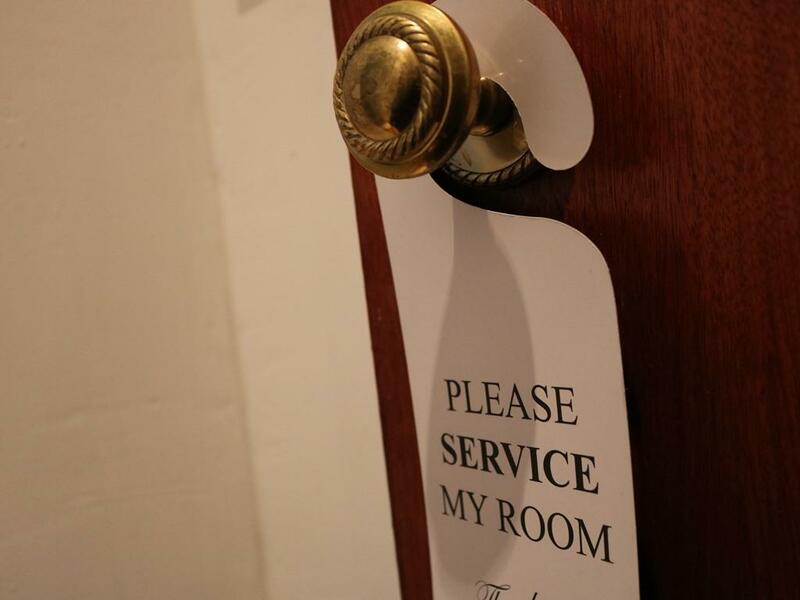 Today visitors to Tunbridge Wells in Kent can enjoy a relaxing short break or day out, taking part in outdoor activities, exploring the many gardens, castles and historic houses, shopping in Royal Tunbridge Wells Surrounded by beautiful Wealden countryside and just a short train journey from London's Charing Cross and easily accessible by car from the coast and the main road routes in the South East, Royal Tunbridge Wells makes an ideal base for a short break or a pleasant day out - either just exploring the town and the historic Pantiles walkway, discovering the seven wonders of the Weald and some of the dozens of gardens, stately homes, churches, great outdoors and other places to visit in the area, relaxing in a quaint village pub, enjoying some retail therapy or unwinding in the surrounding countryside. 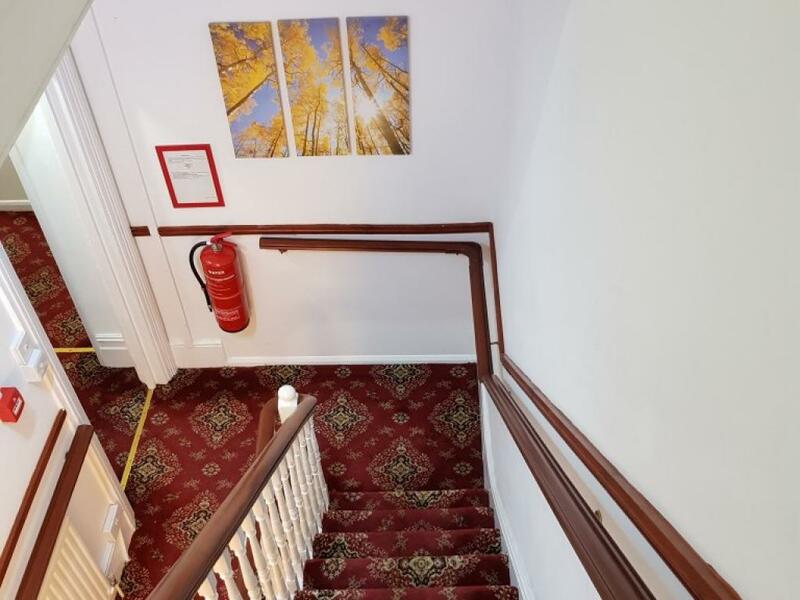 There is a ramp for wheel chair access to the reception. 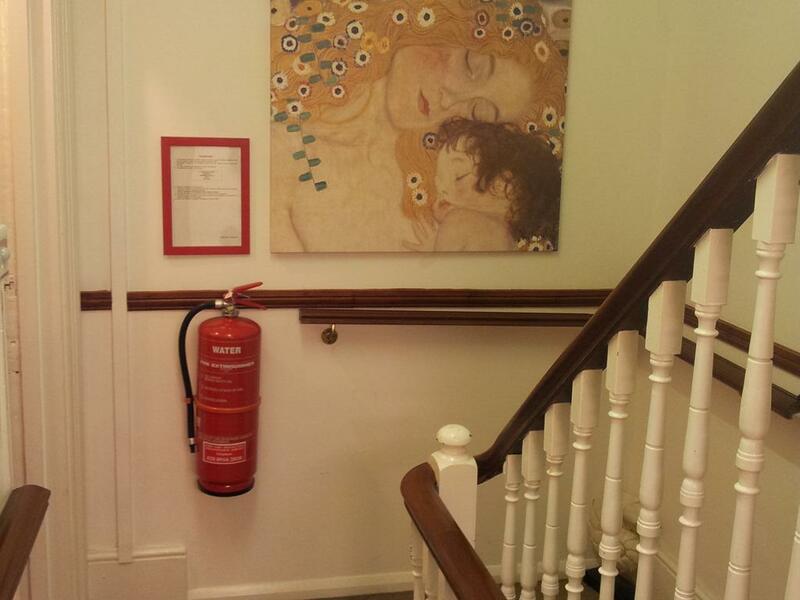 Disable access rooms are on the ground floor. 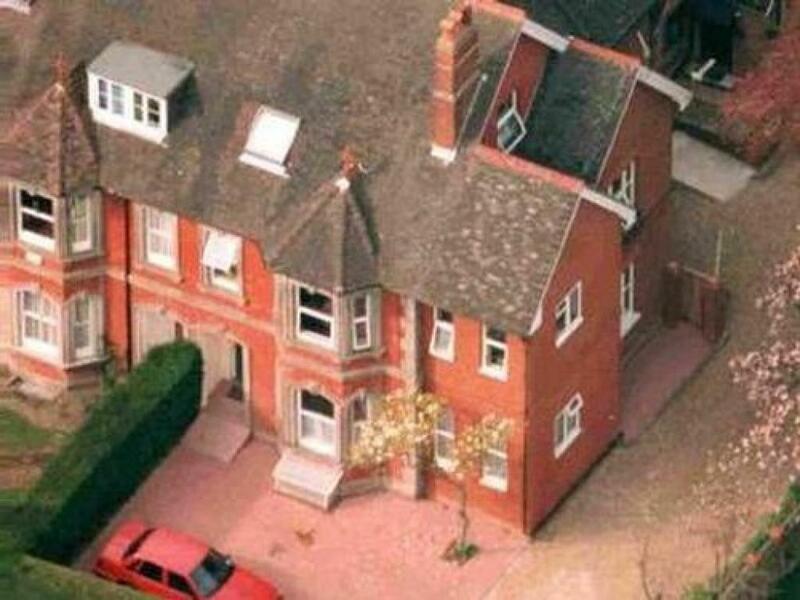 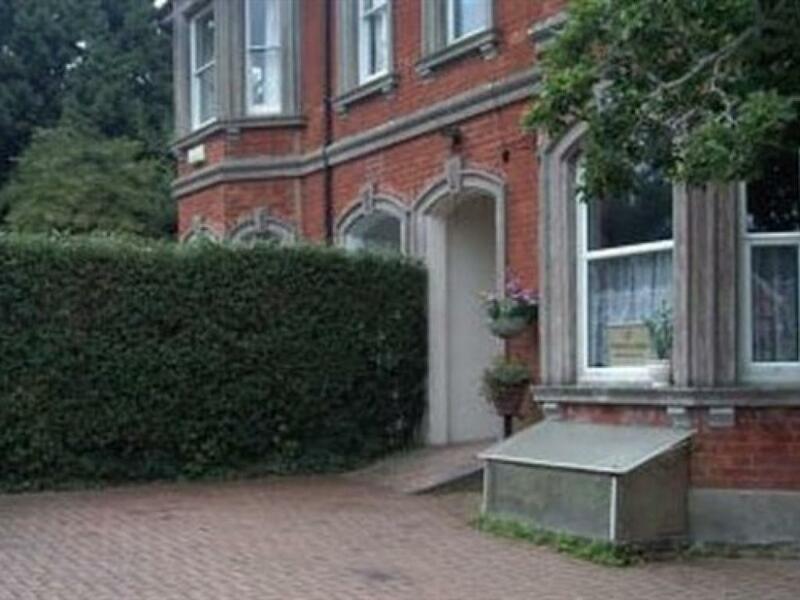 Royal Tunbridge Wells is situated on the A26 and A21 routes from London to the south coast. 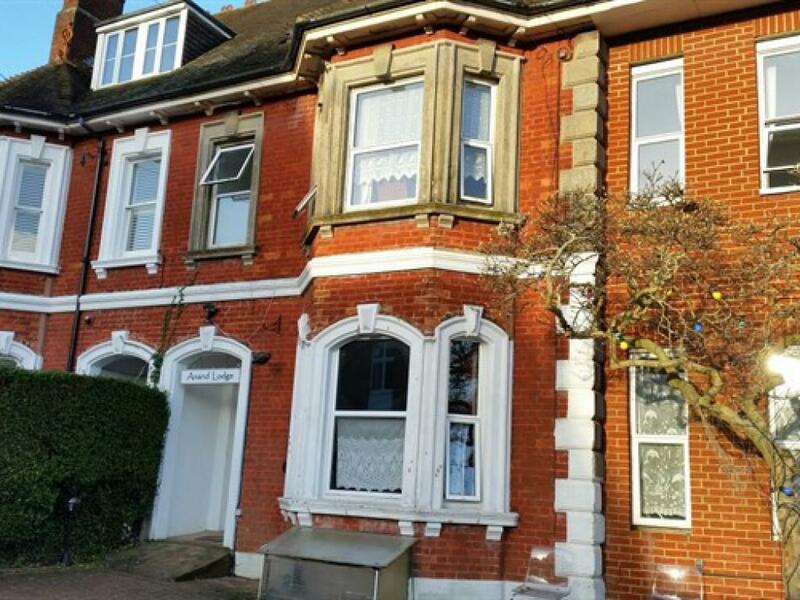 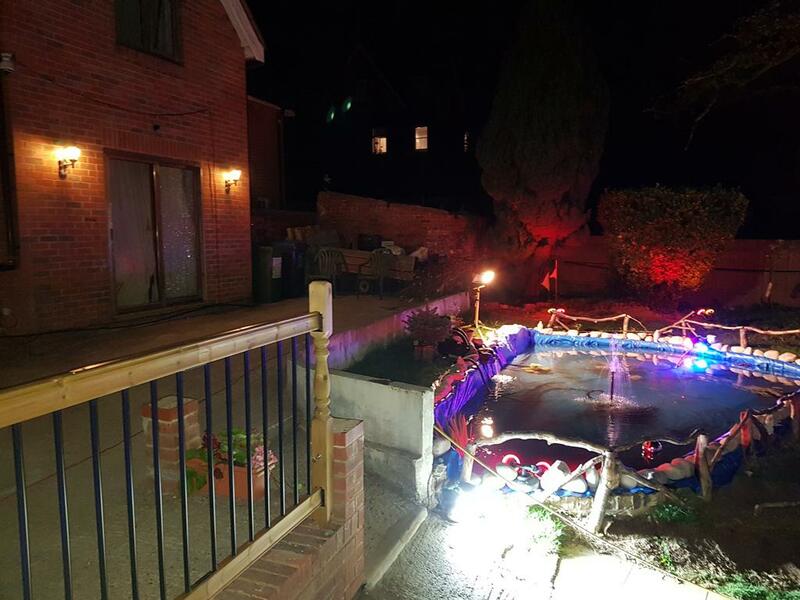 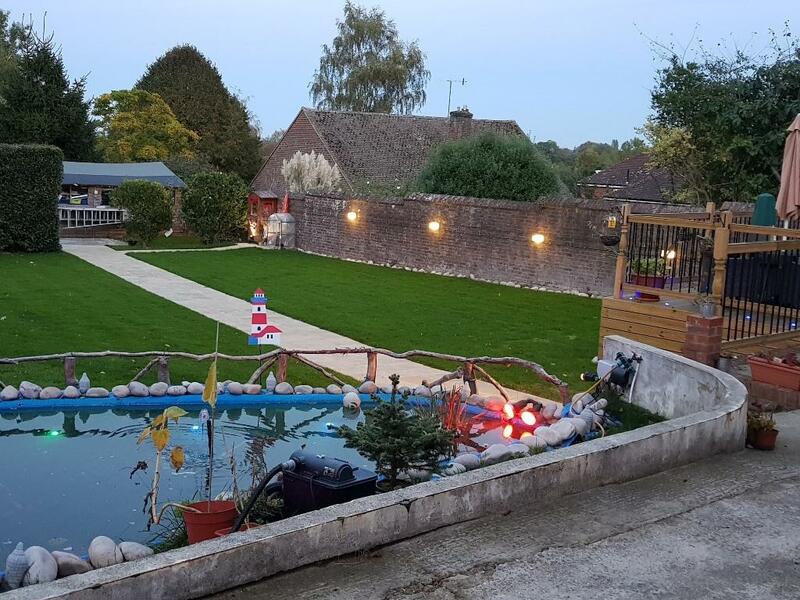 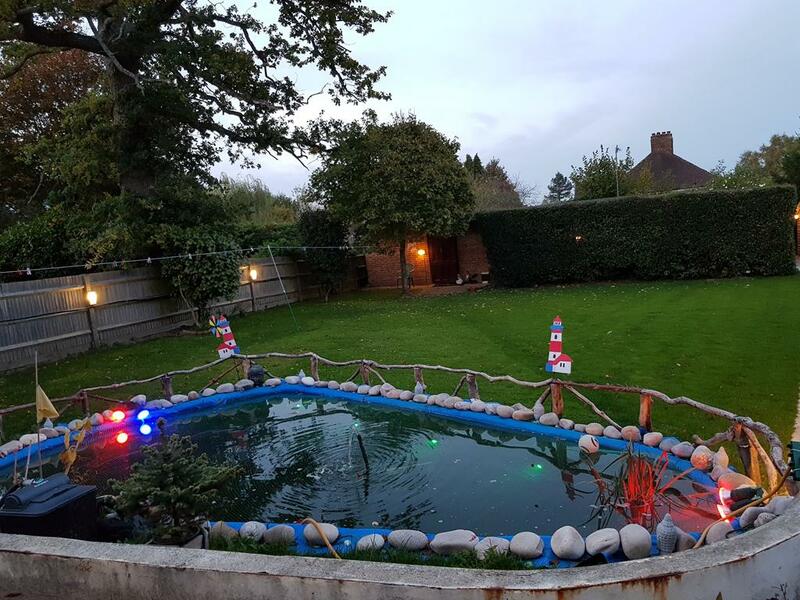 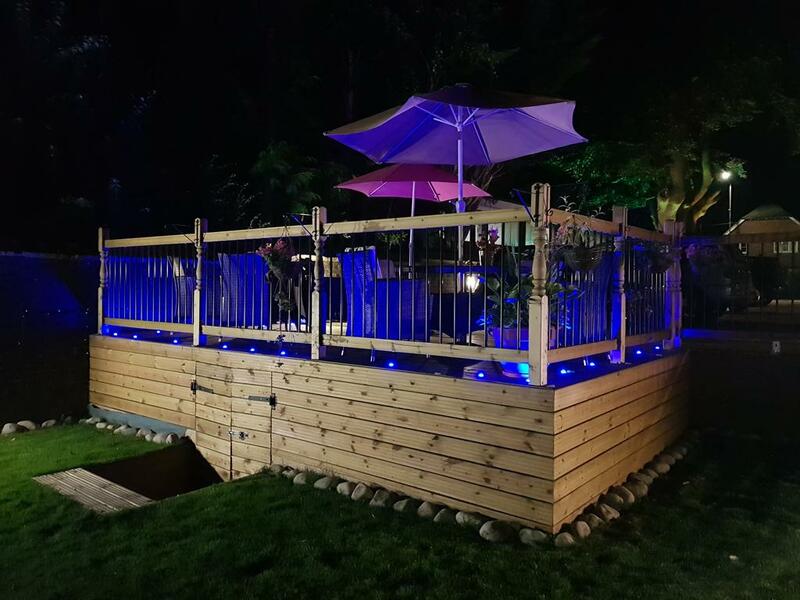 It can be reached from both the M20 and M25 motorways, within 20 minutes drive. 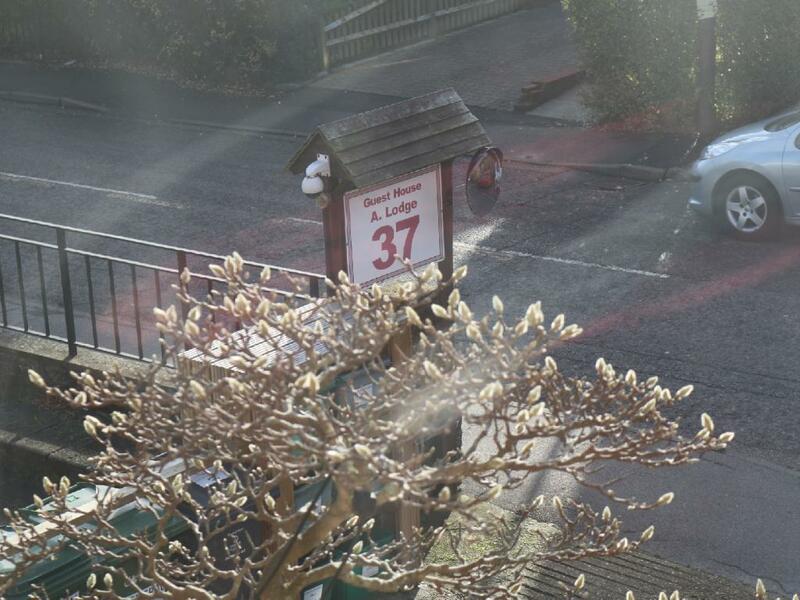 A21 meets the M25, towards the South of the town, whilst the A26 meets M20 towards the North-east.